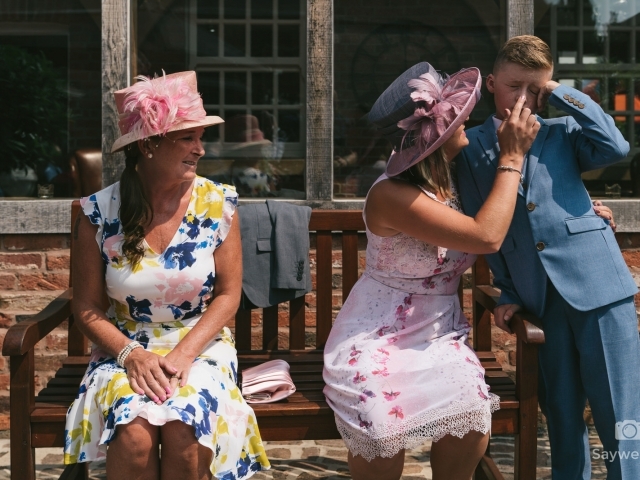 This was a really good fun wedding, despite it being the warmest wedding I’ve ever photographed! 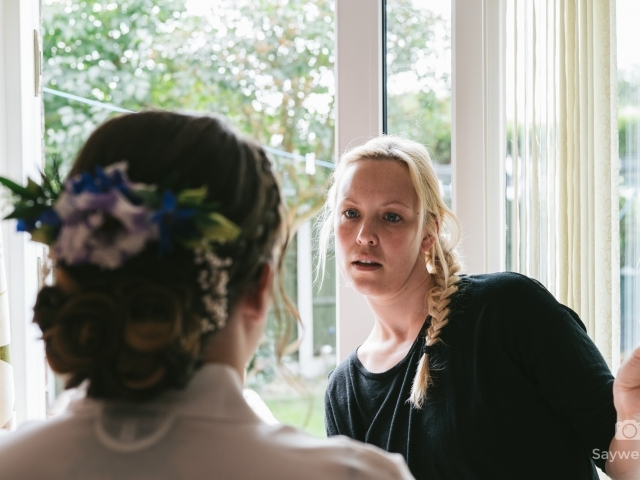 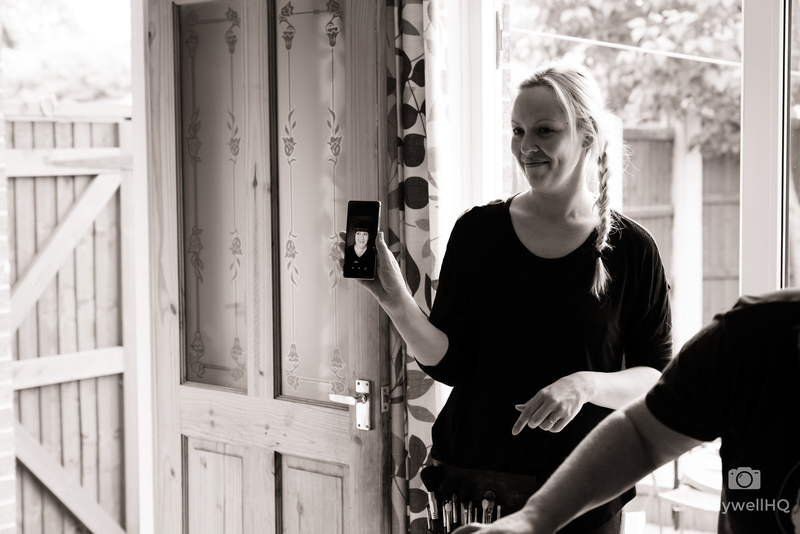 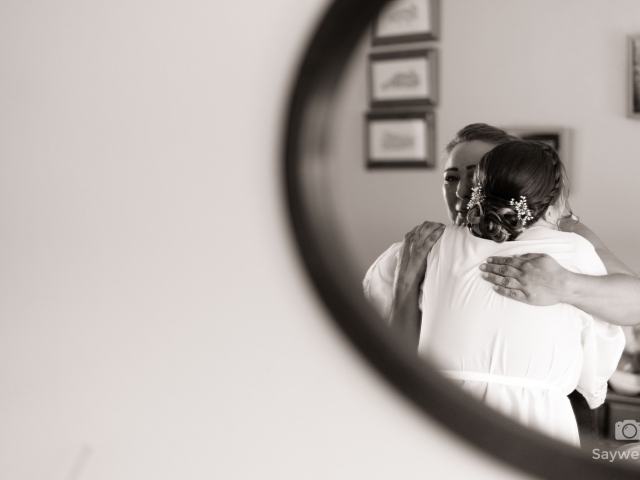 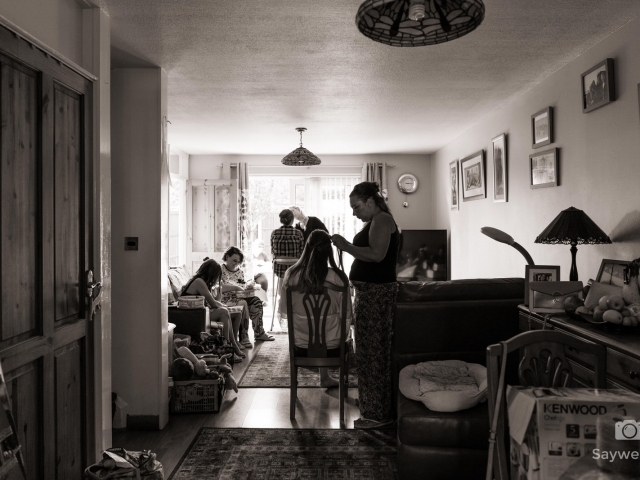 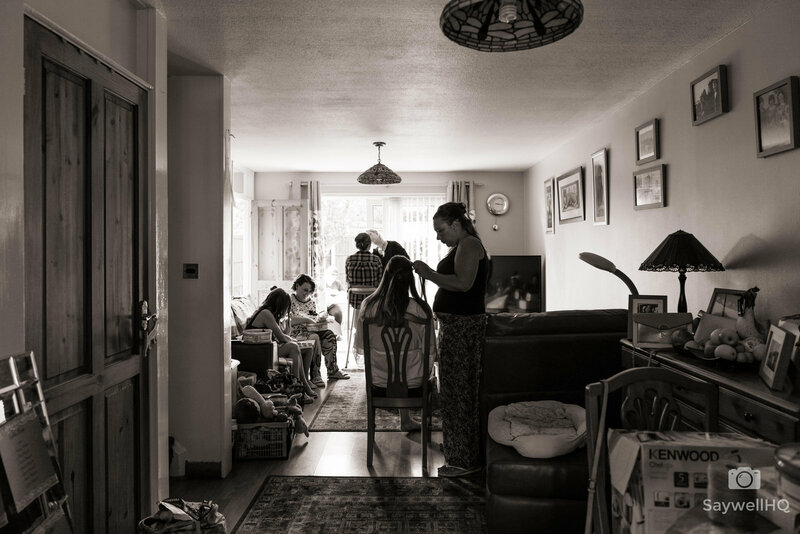 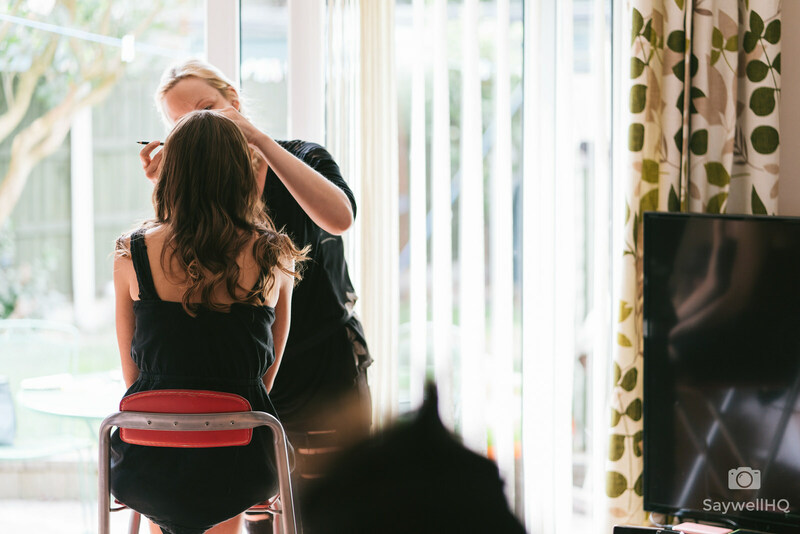 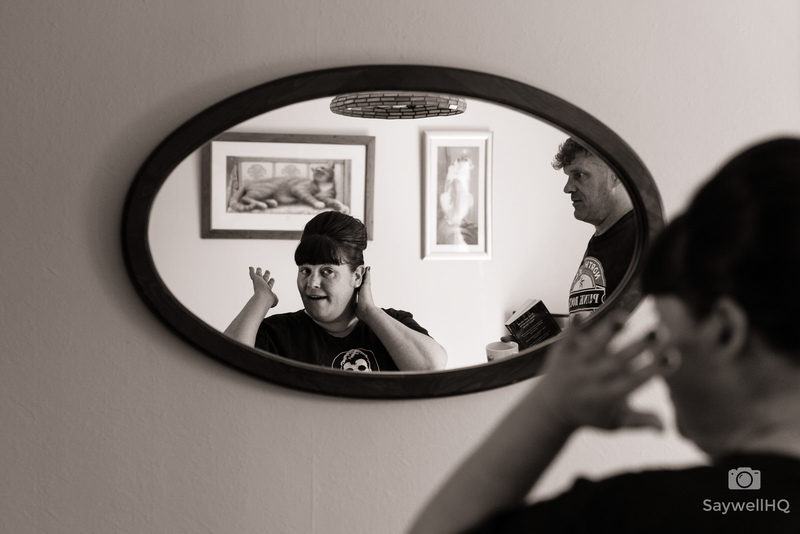 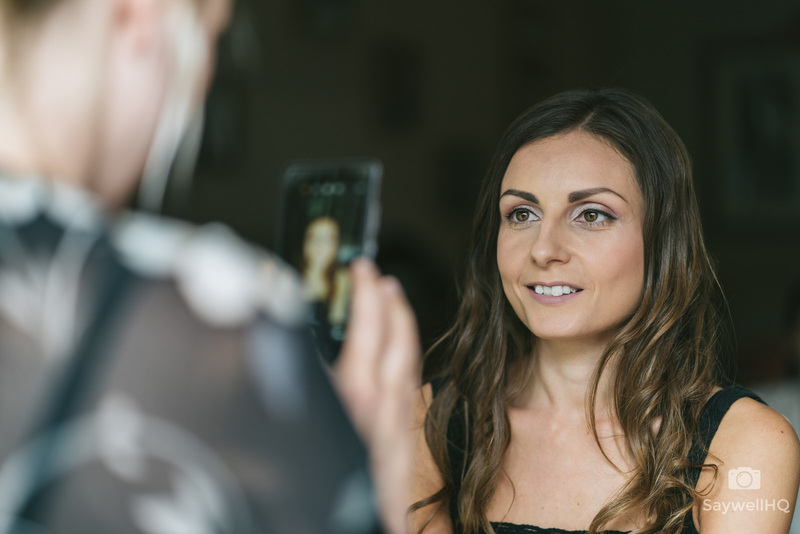 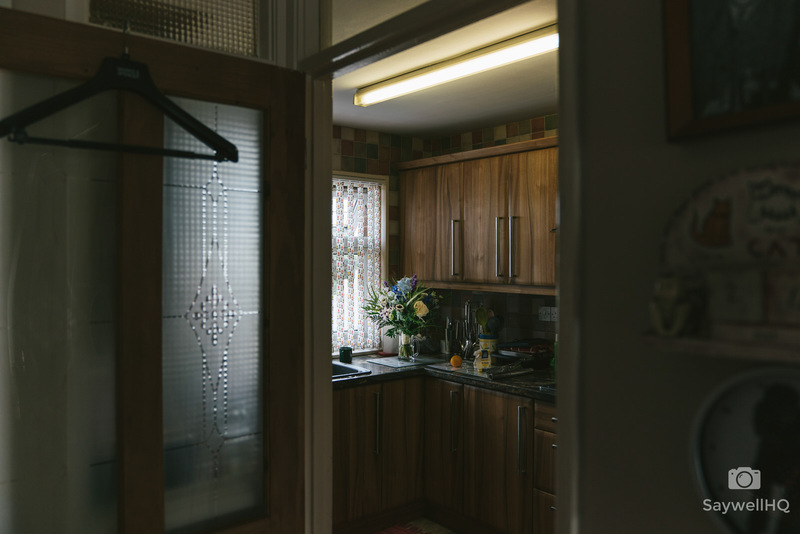 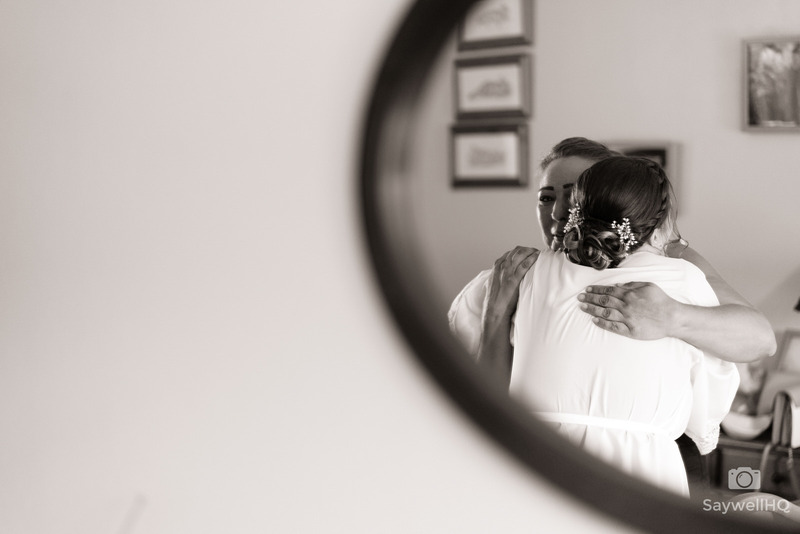 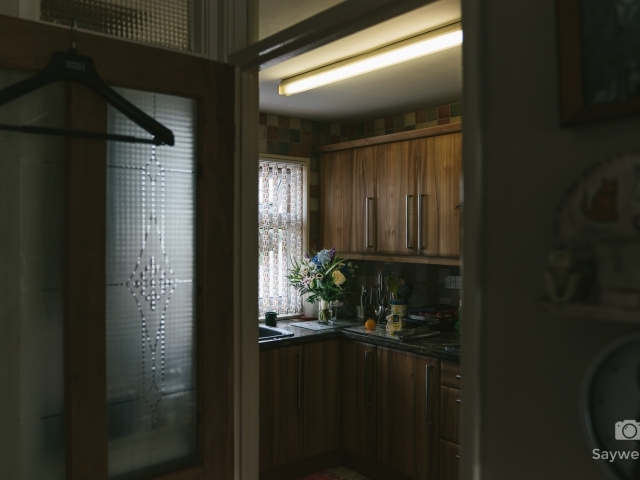 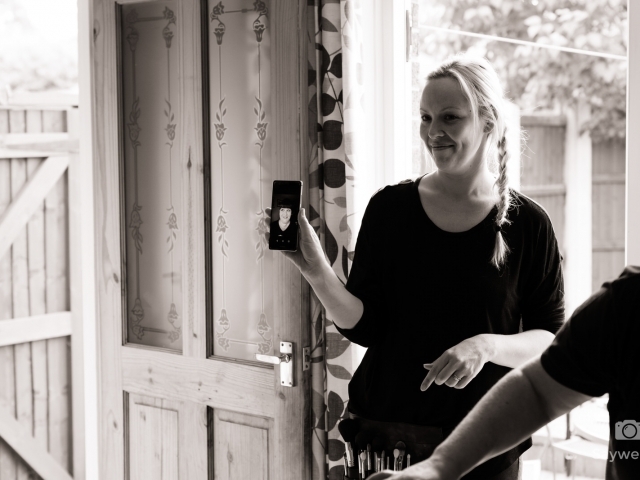 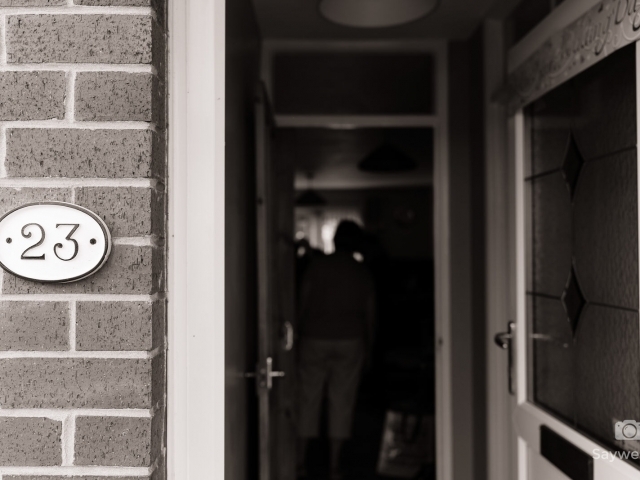 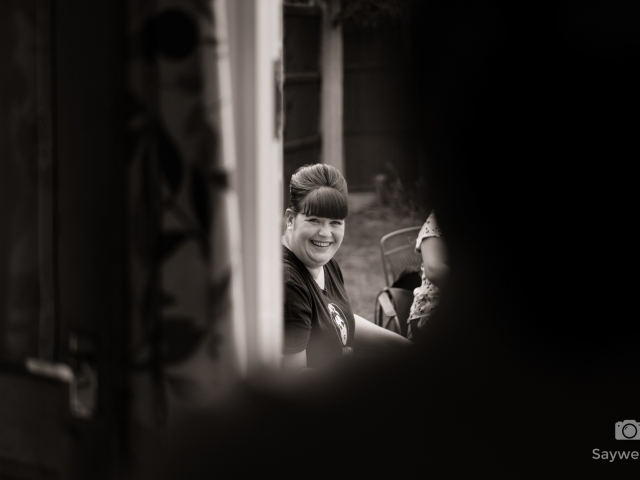 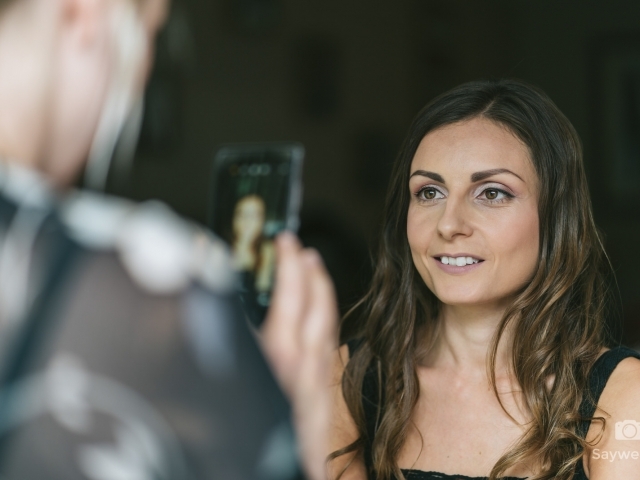 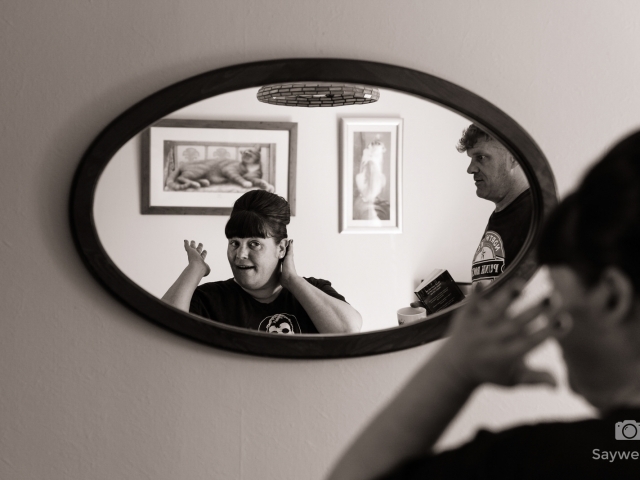 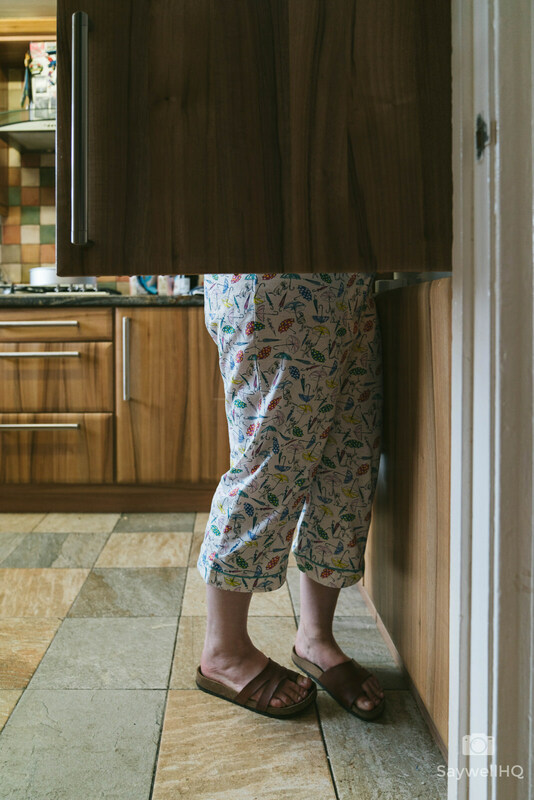 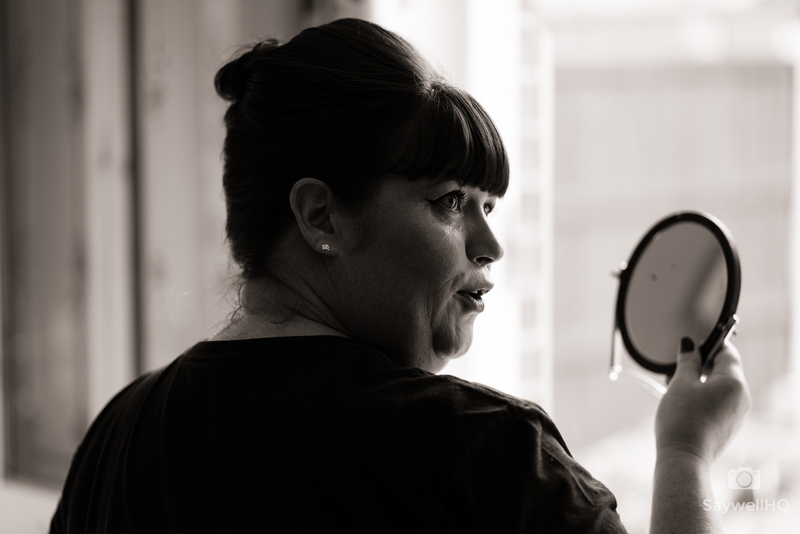 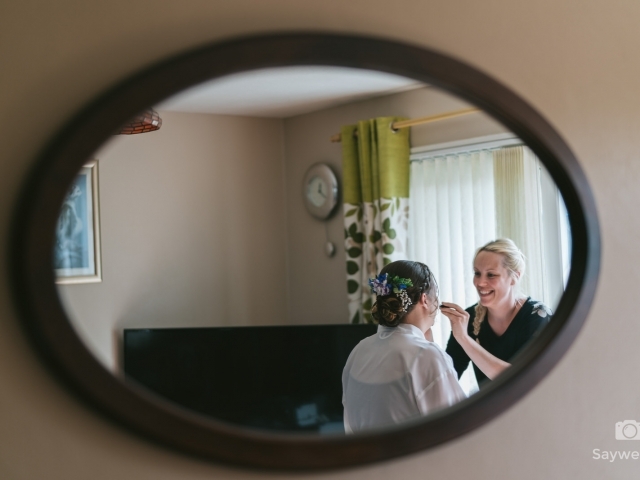 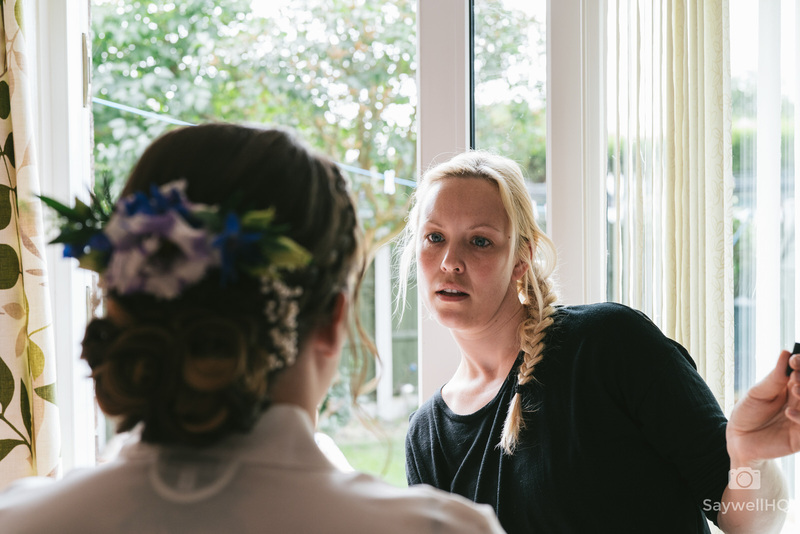 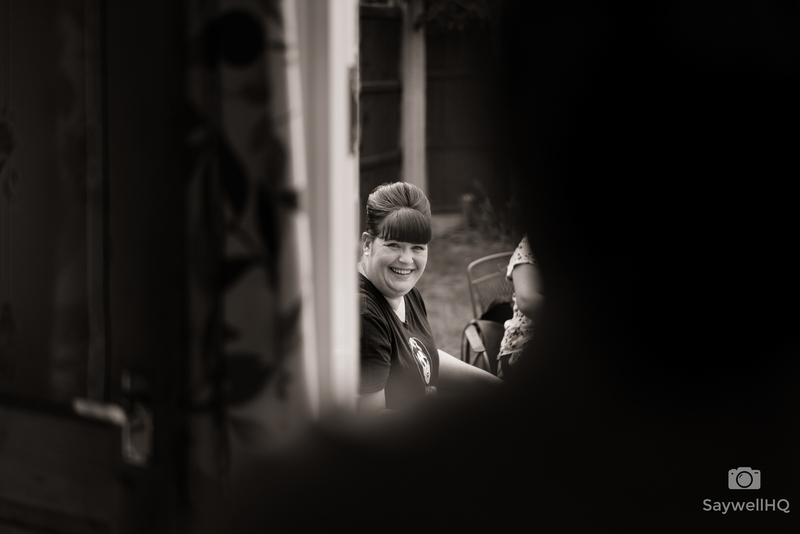 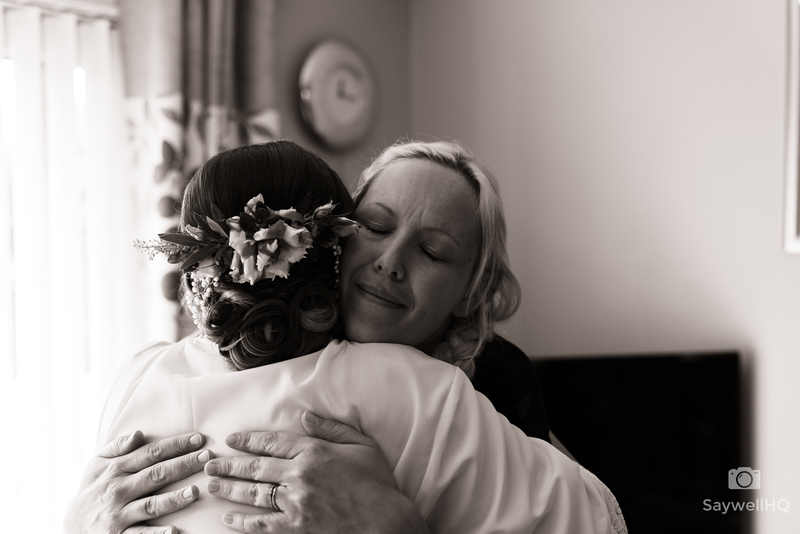 The day started with me capturing Lilli, the bridesmaids, her mum and family members getting ready at Lilli’s grandma’s house in Arnold. 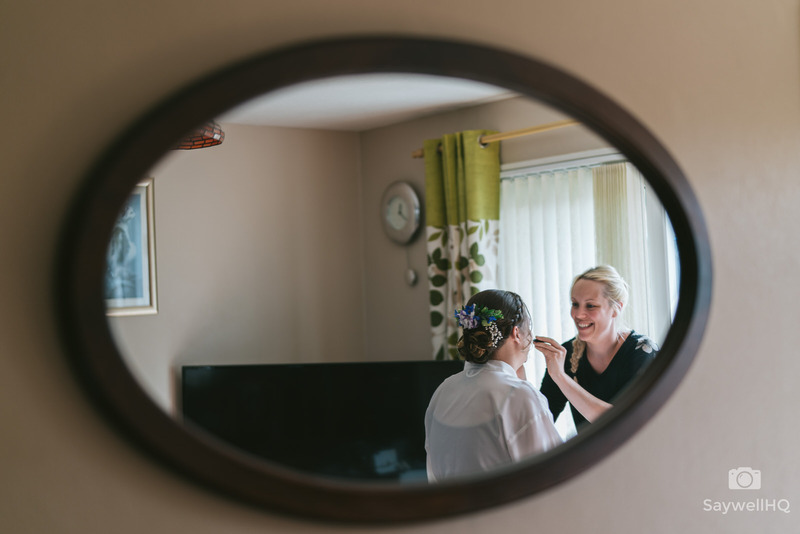 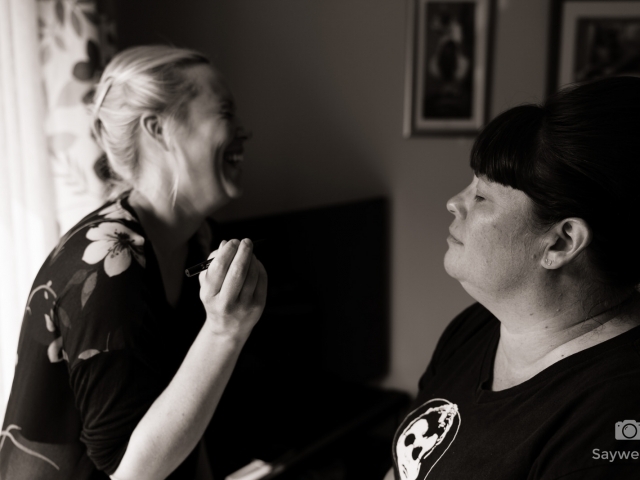 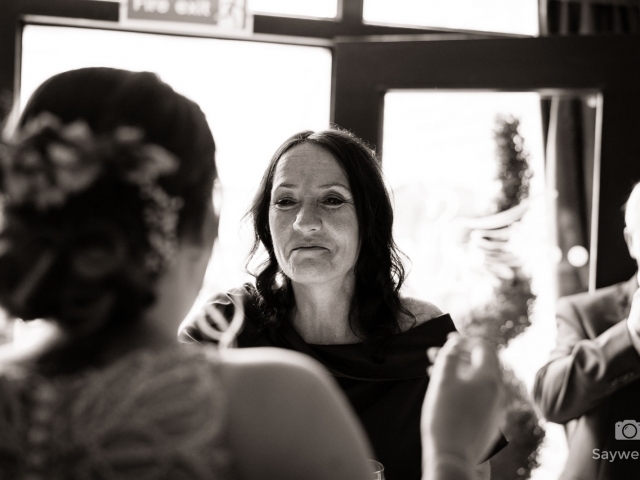 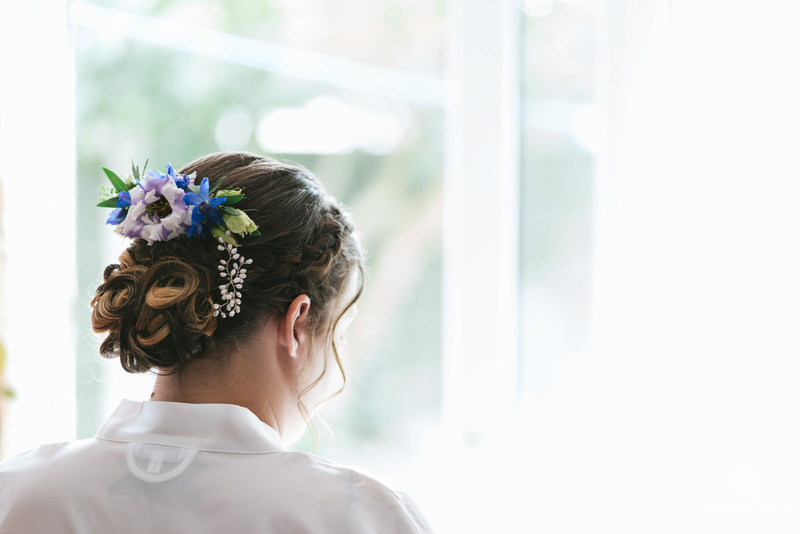 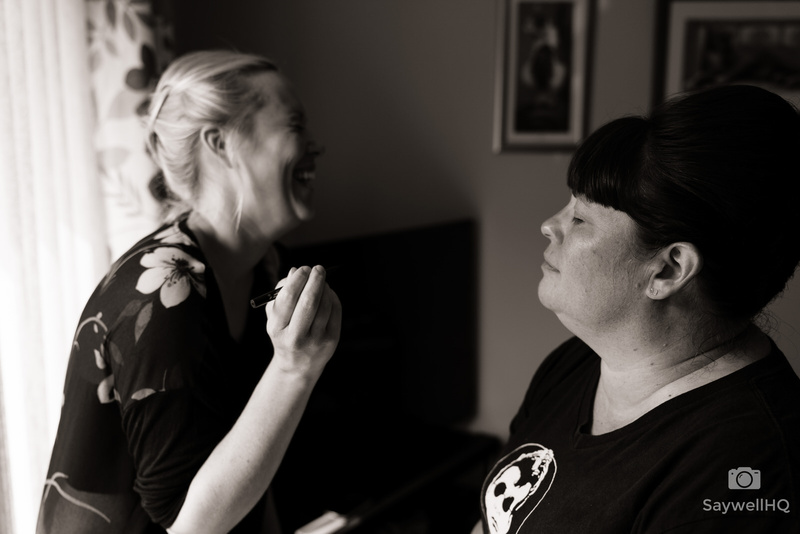 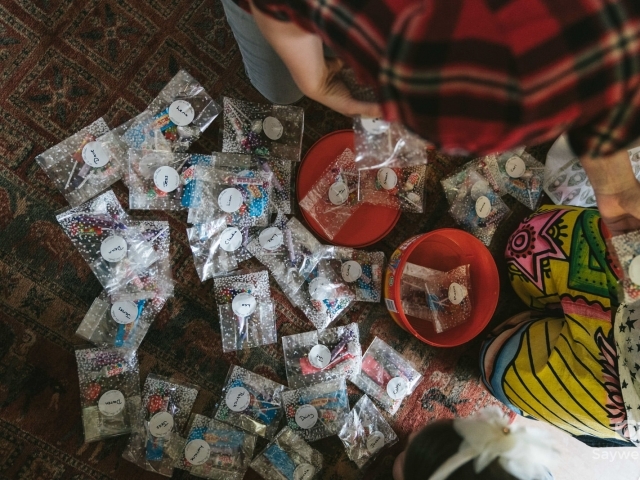 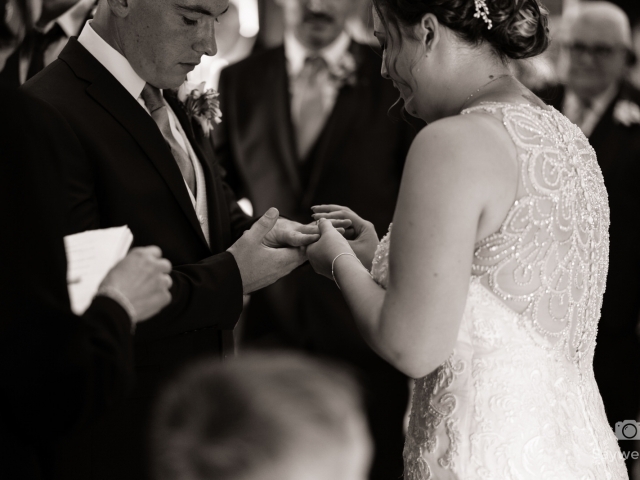 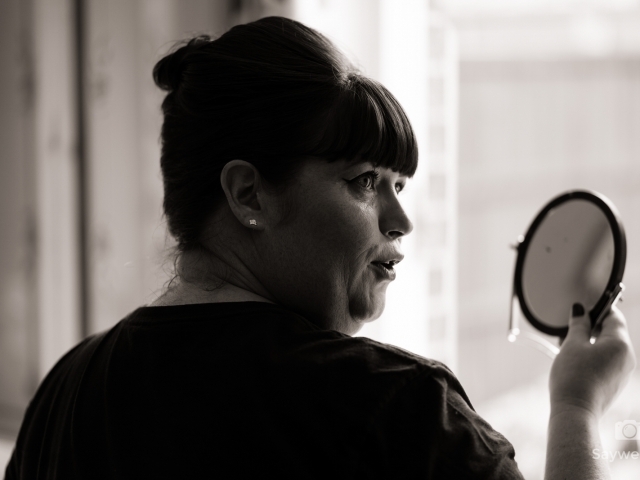 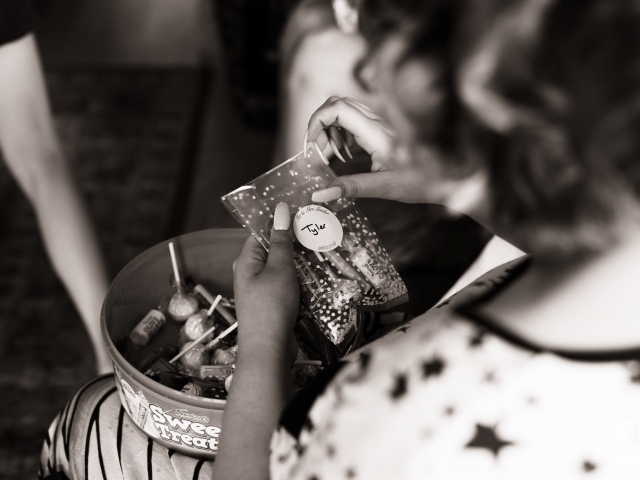 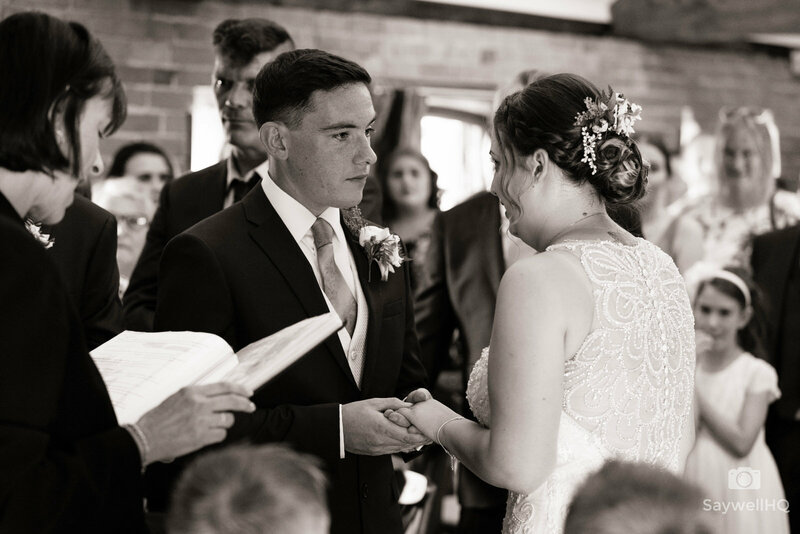 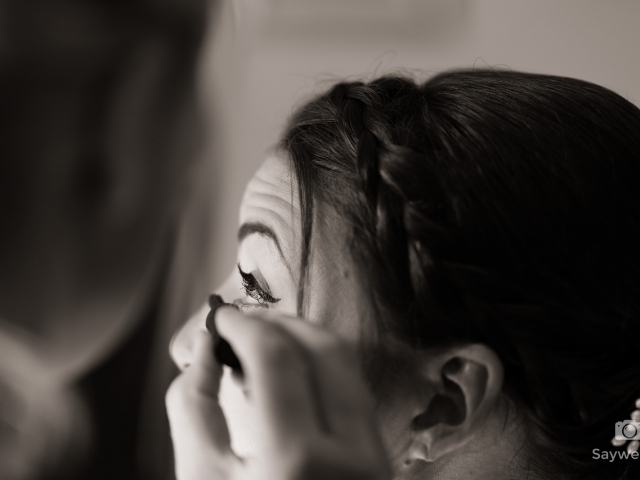 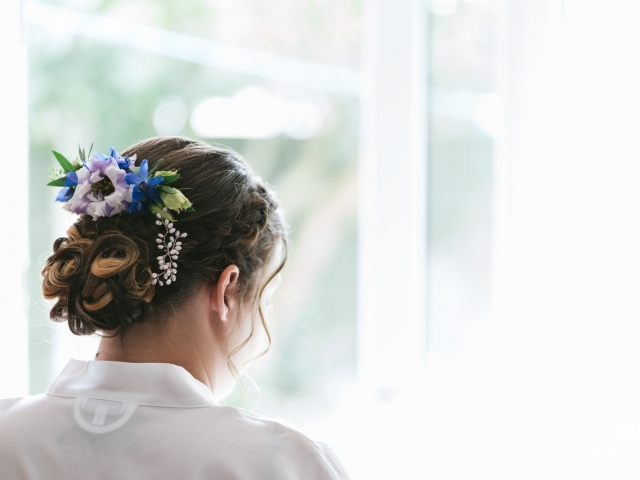 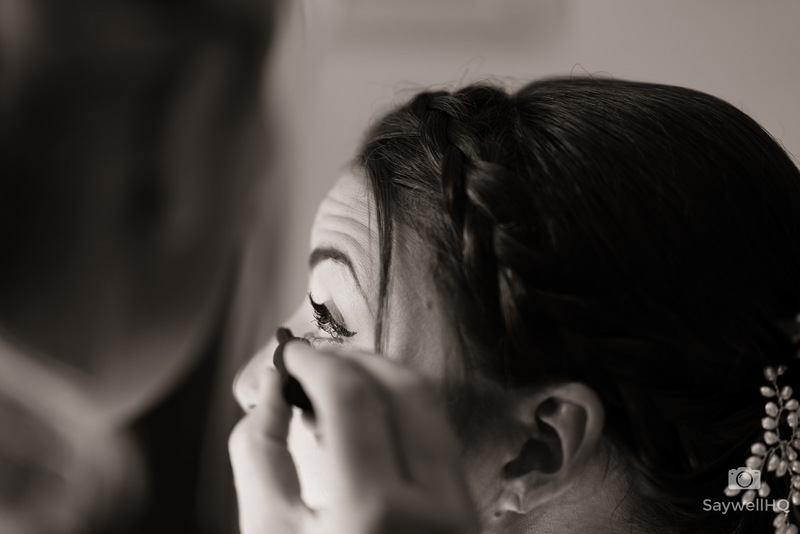 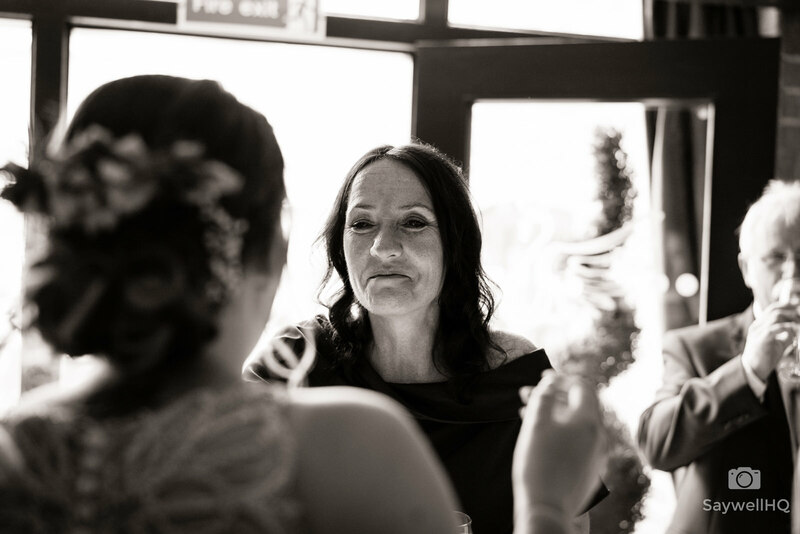 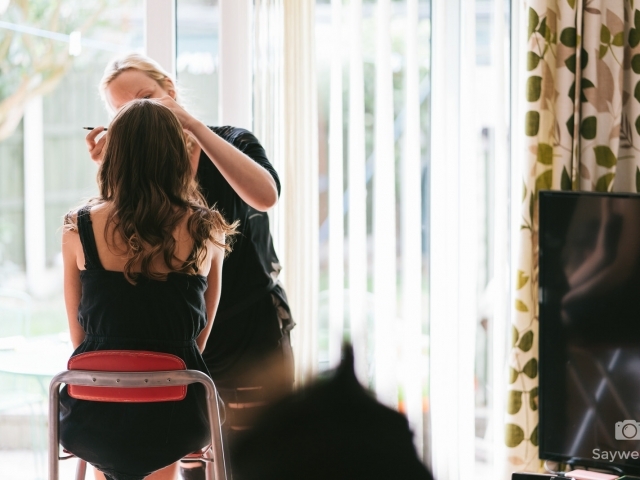 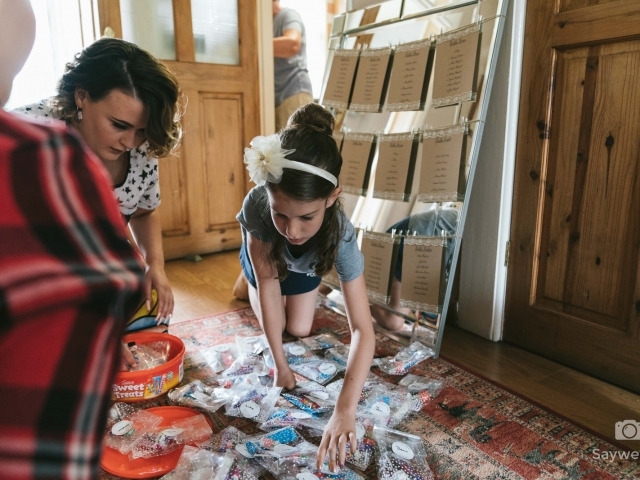 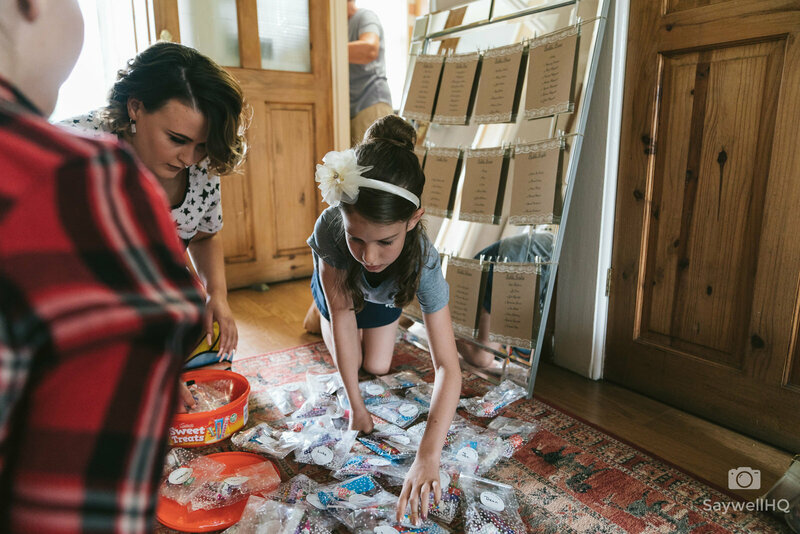 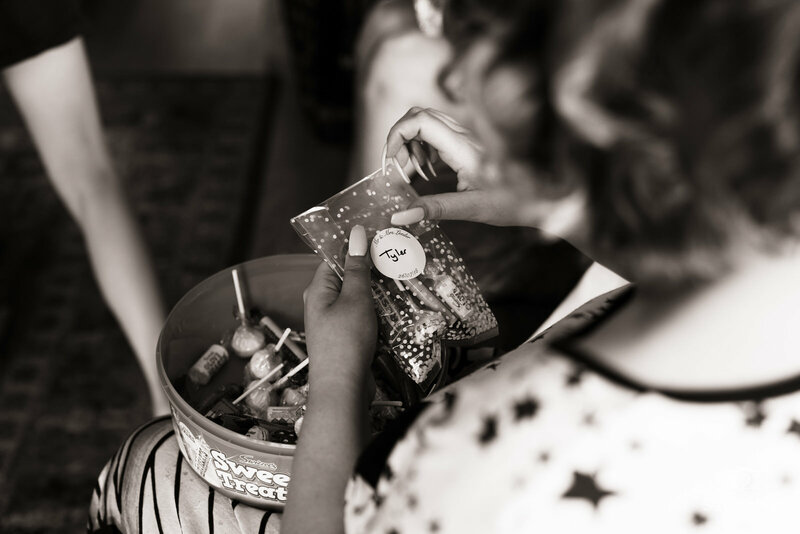 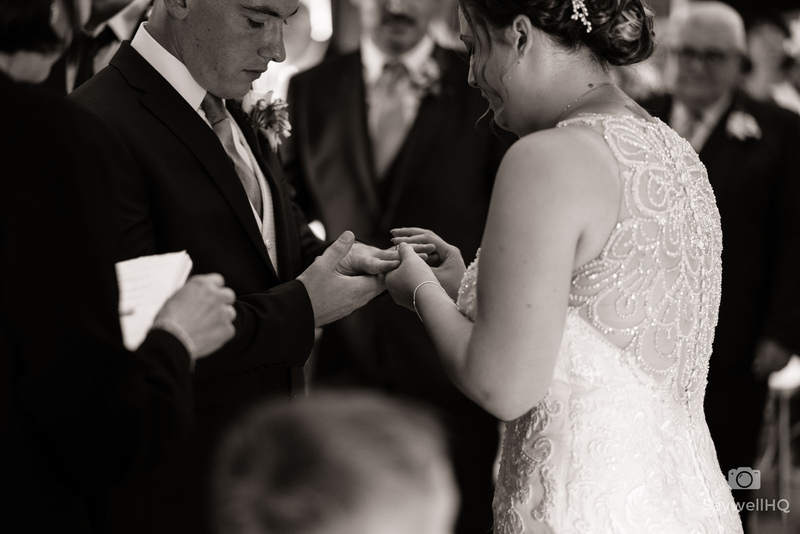 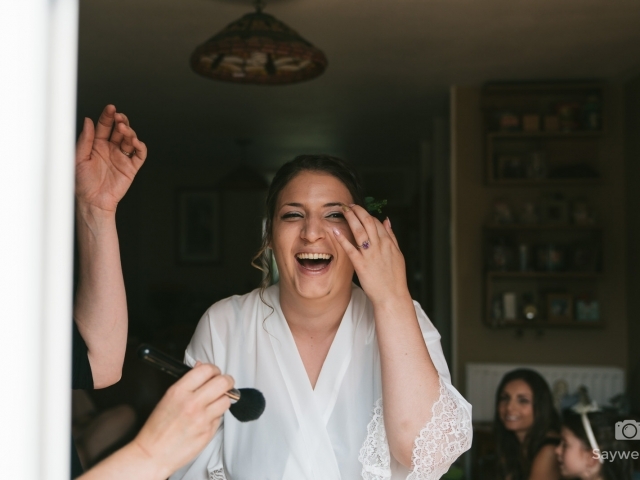 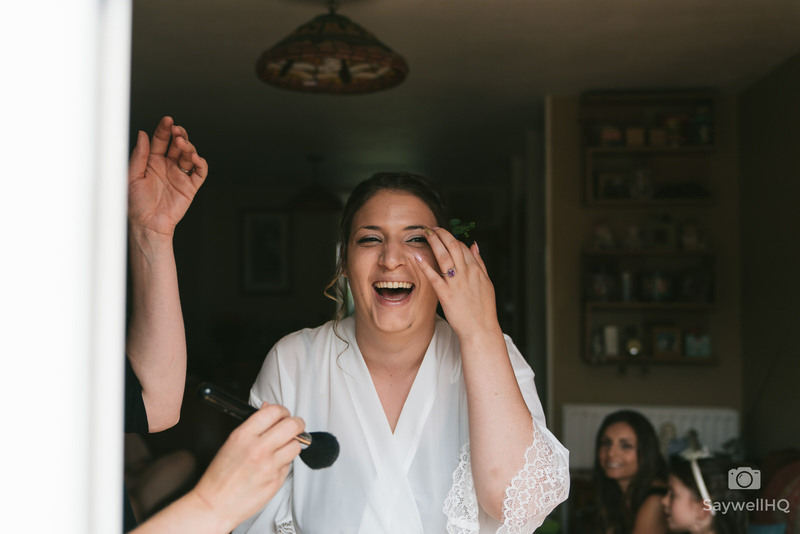 There was plenty kicking off in the morning with the cake being finished, makeup being done, hair being done along with the bridesmaids finishing off the sweet gifts for the wedding tables. 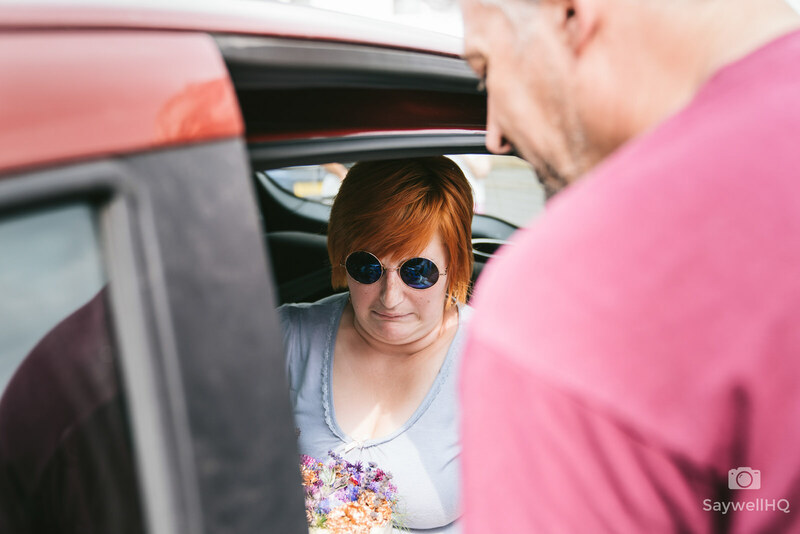 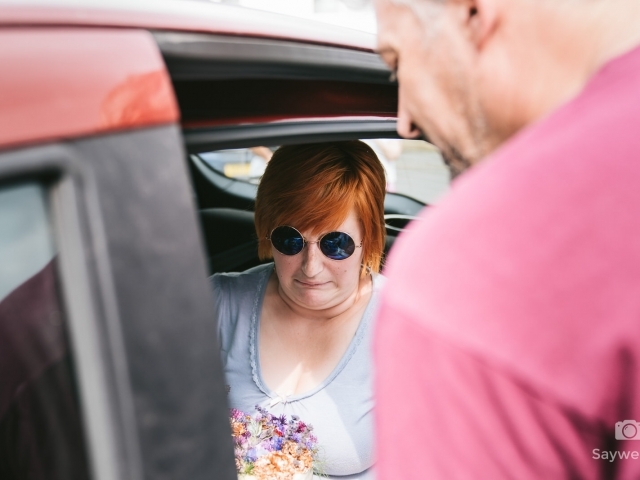 There was a fun series of images from the morning where the cake was being transported from the house to the car, then onto the venue. 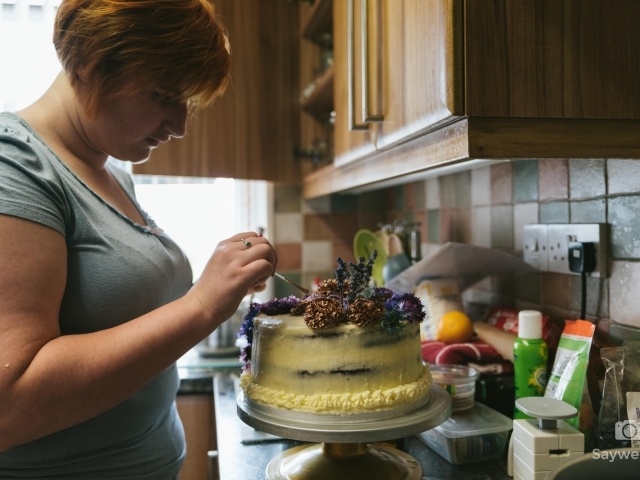 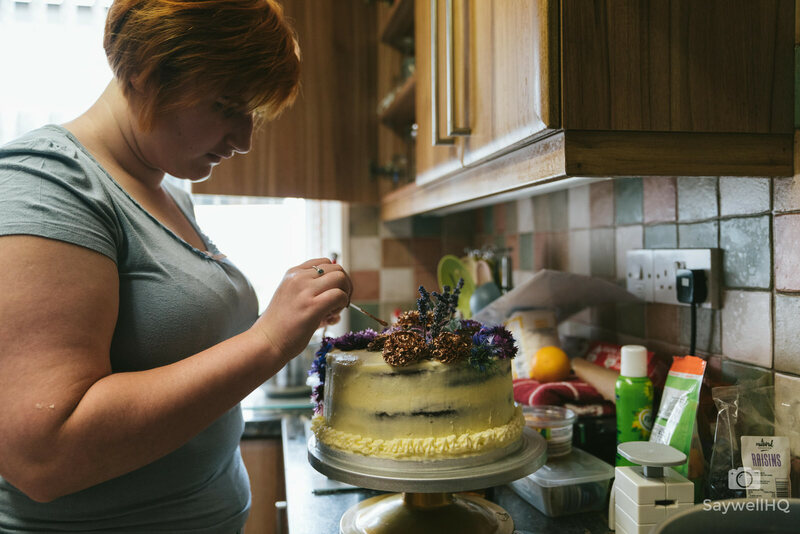 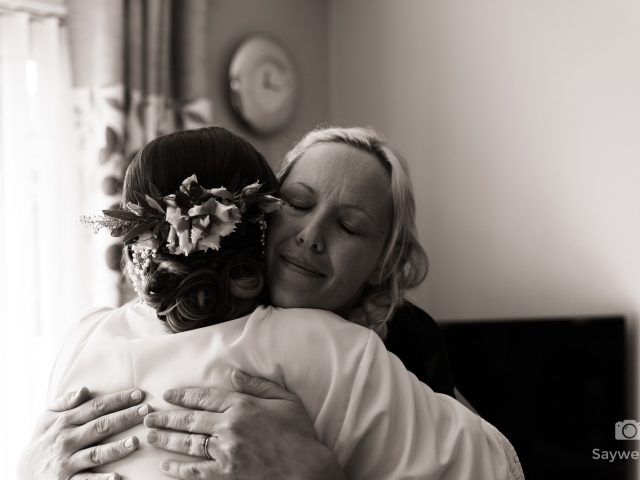 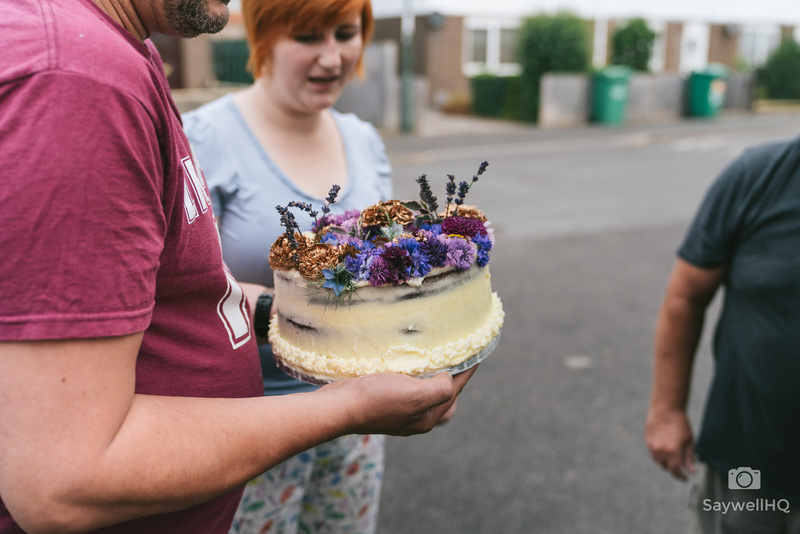 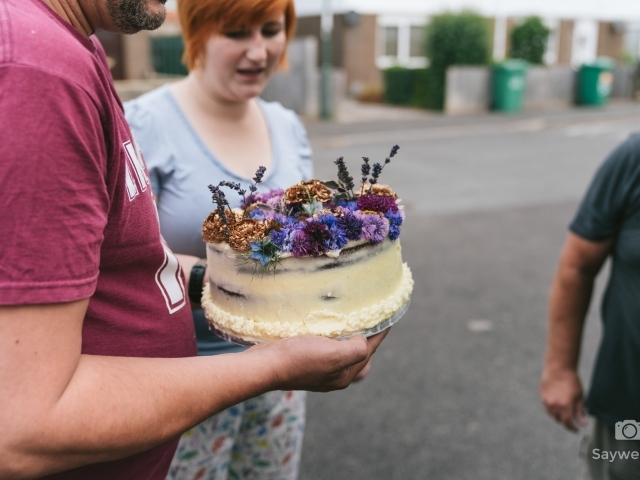 The pressure of having to carry a wedding cake on your lap in the back of the car was written on the face of a couple of the bridesmaids who were given the important responsibility of making sure the cake made it to the venue in one piece. 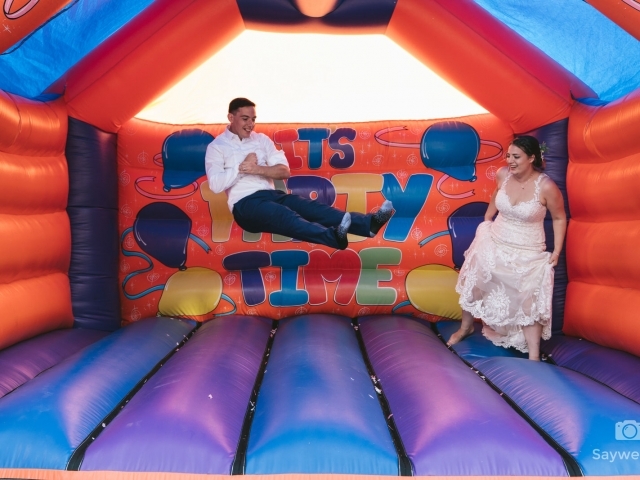 A really cool surprise when I got to the wedding venue was the bouncy castle! 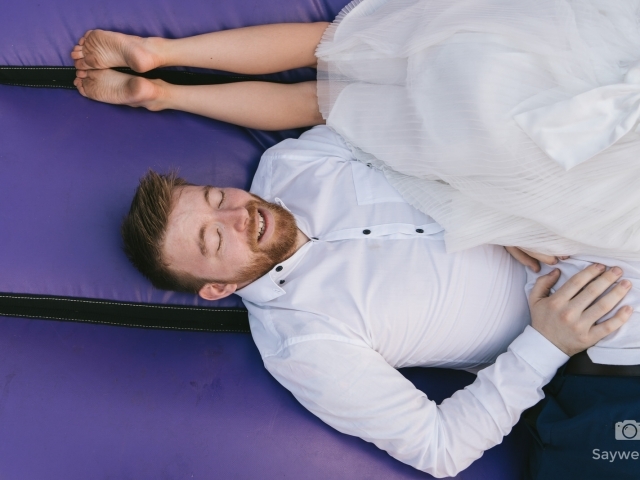 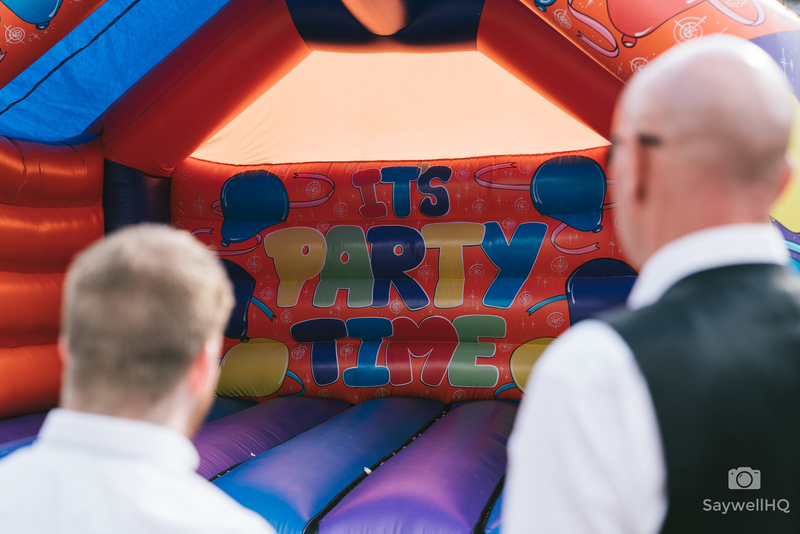 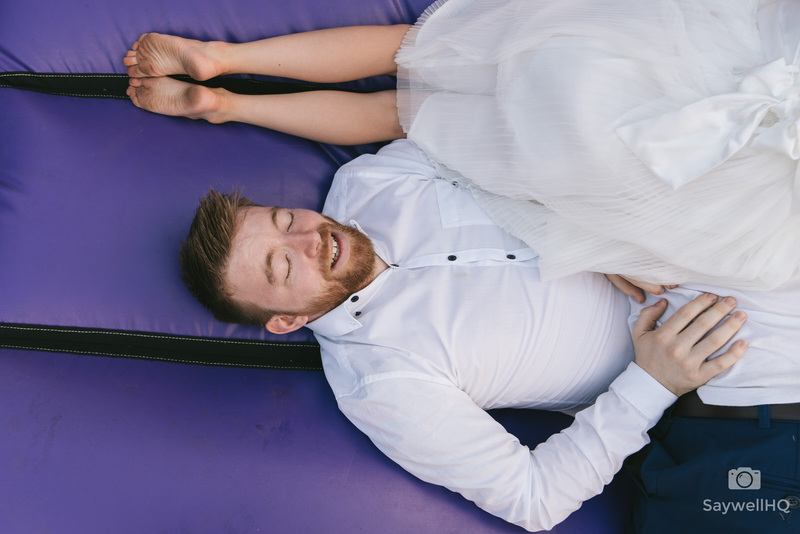 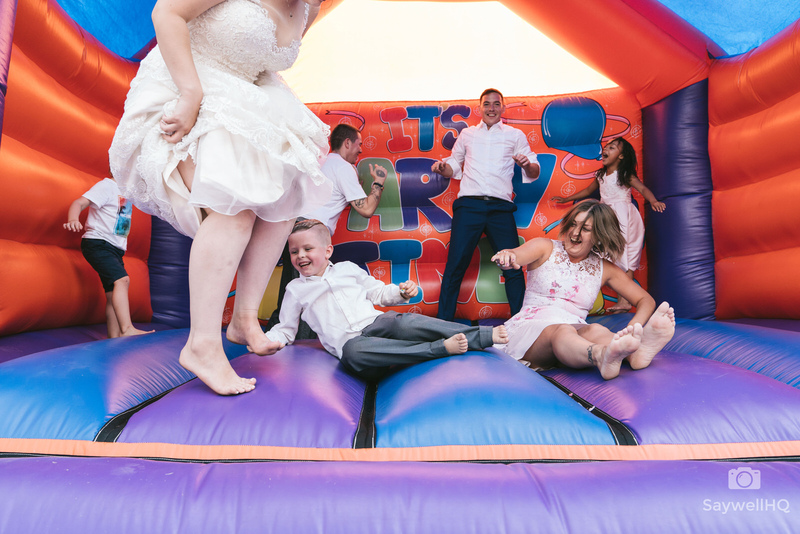 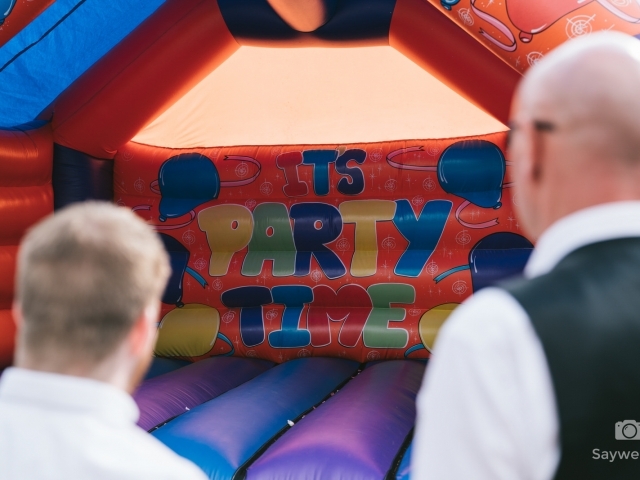 bouncy castle’s at any wedding instantly make any wedding amazing! 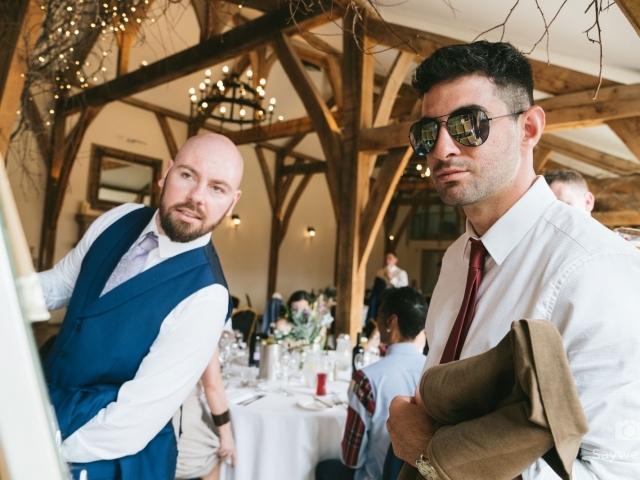 First thing I did when I got to the wedding venue was to find Peppe to see how he was getting on. 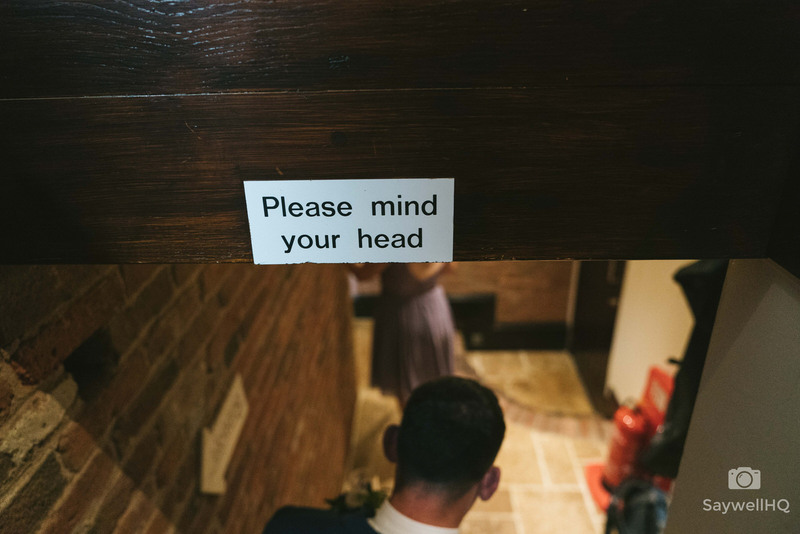 After that, it was off to find the ceremony room to see how it was coping with the weather, and when I mean whether – I mean the crazy heat. 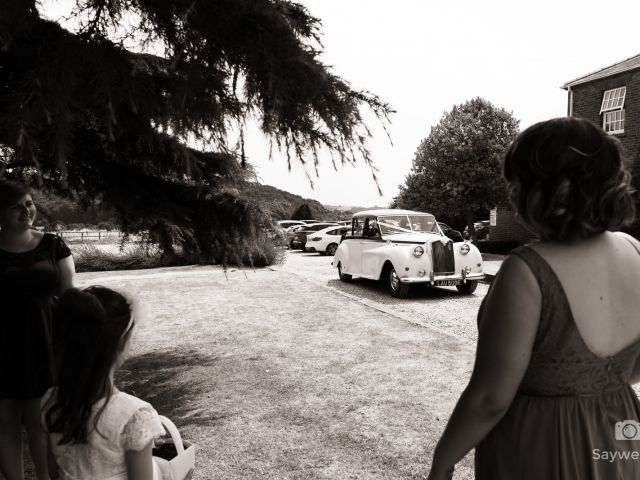 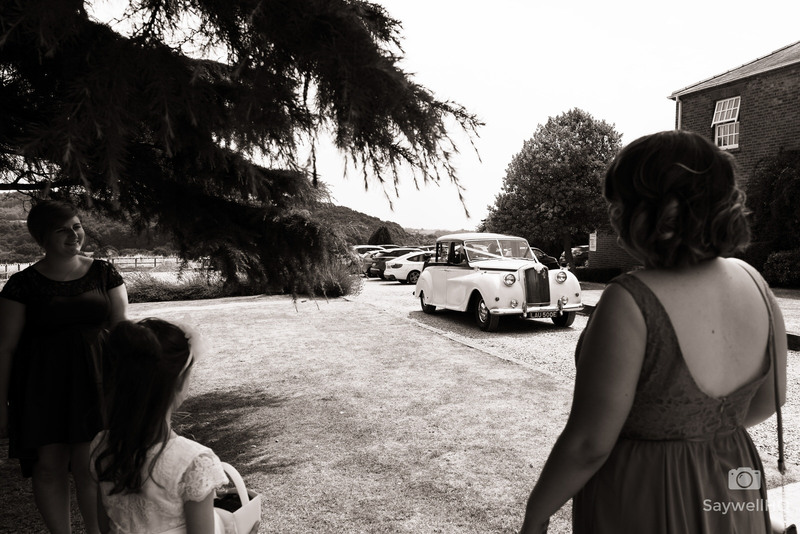 It wasn’t long after I arrived that the guests were moved into the ceremony room and Lilli arrived by car. 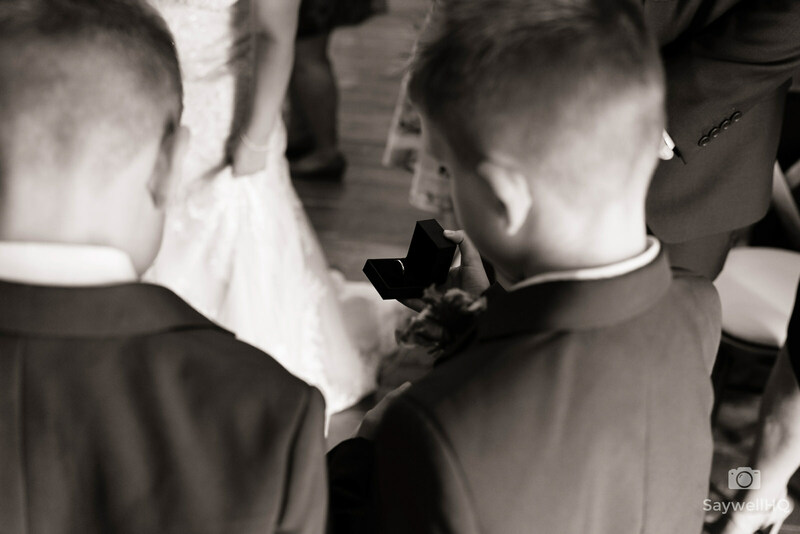 The ceremony itself was good fun, the registrars were on fine form and there was a great little moment during the ceremony with the two boys who were responsible for the rings couldn’t decide between them who had the grooms ring and who had the brides ring, there is a couple of the images from that moment that are shown in the gallery below. 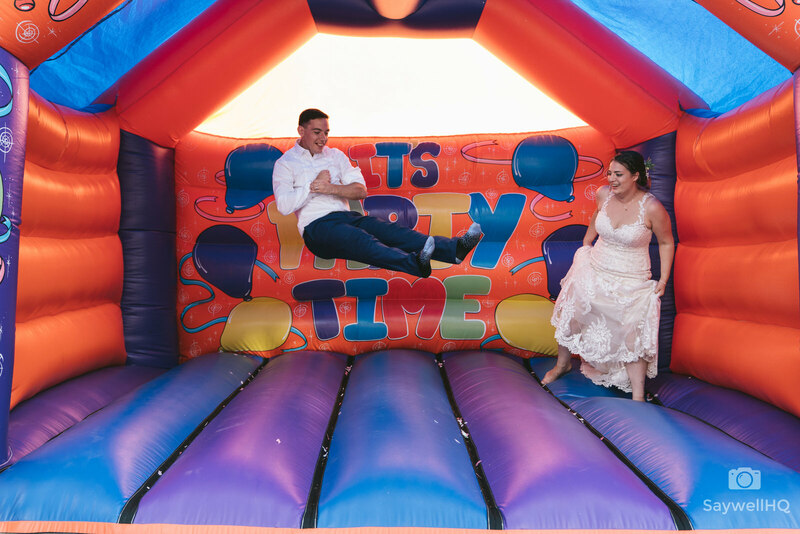 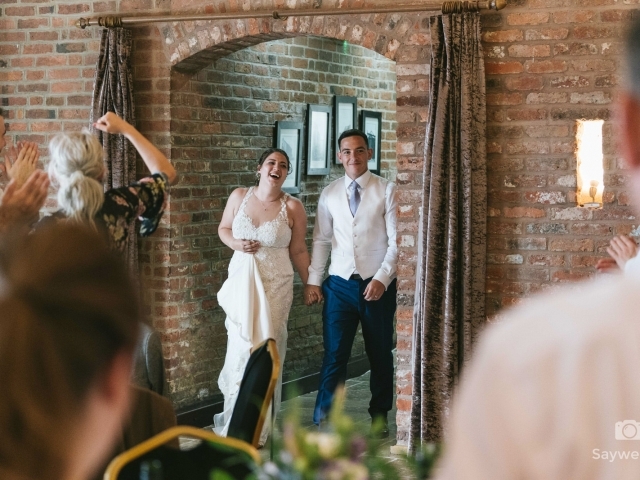 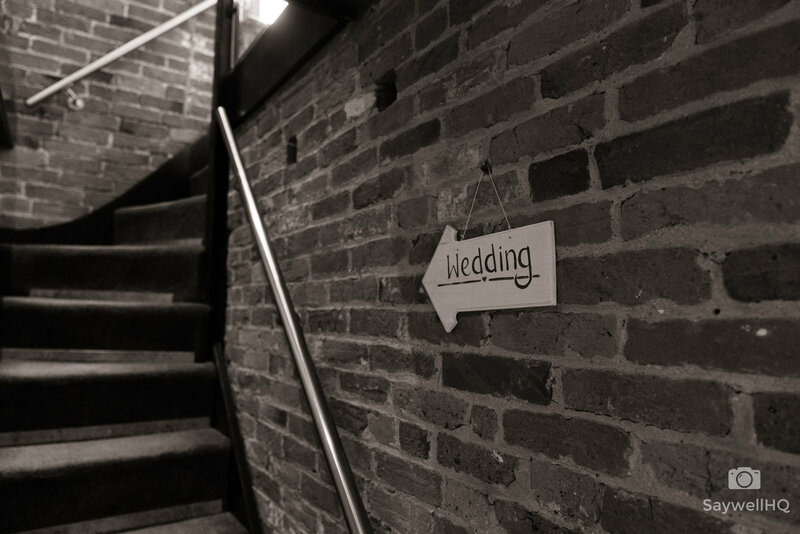 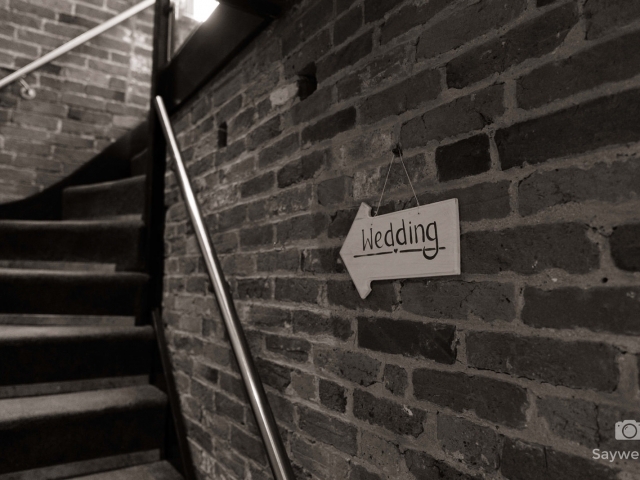 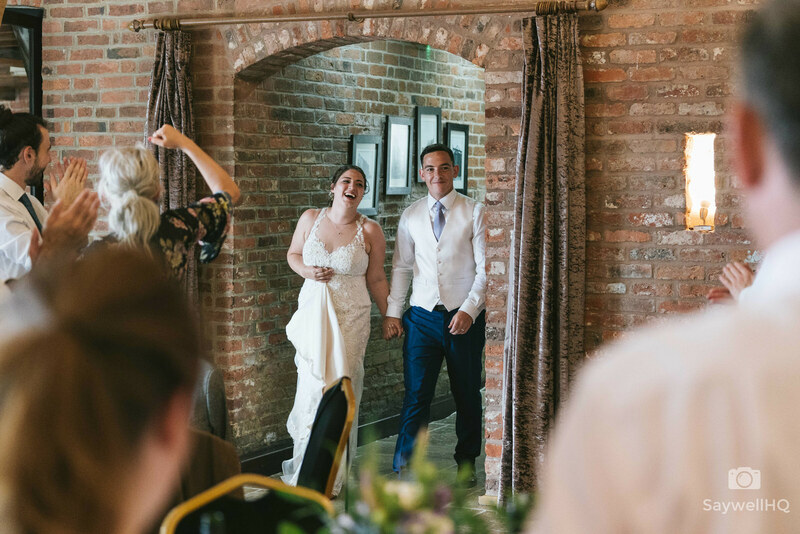 After the ceremony, it was downstairs to enjoy drinks, hugs, some food nibbles and of course that bouncy castle! 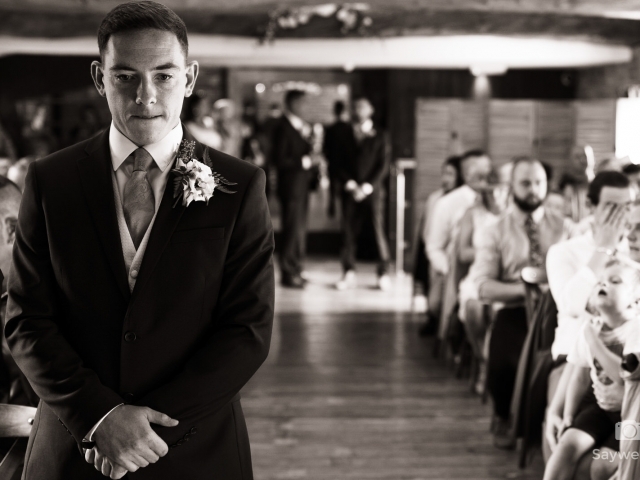 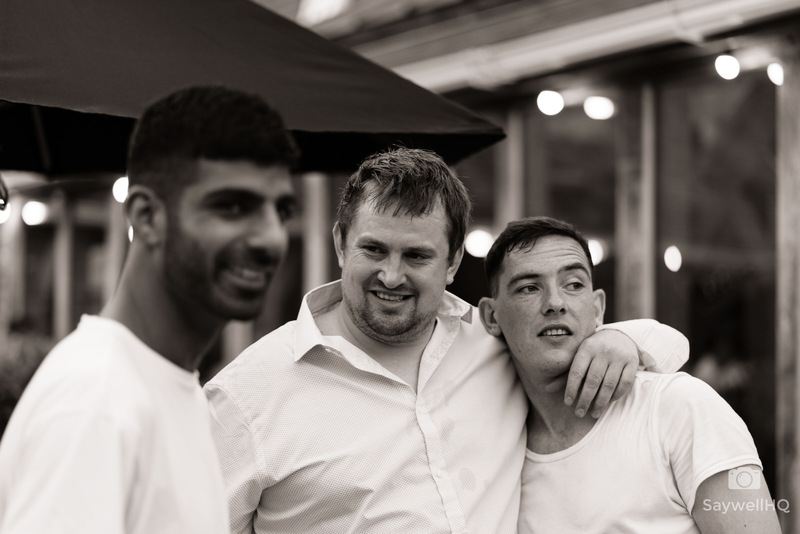 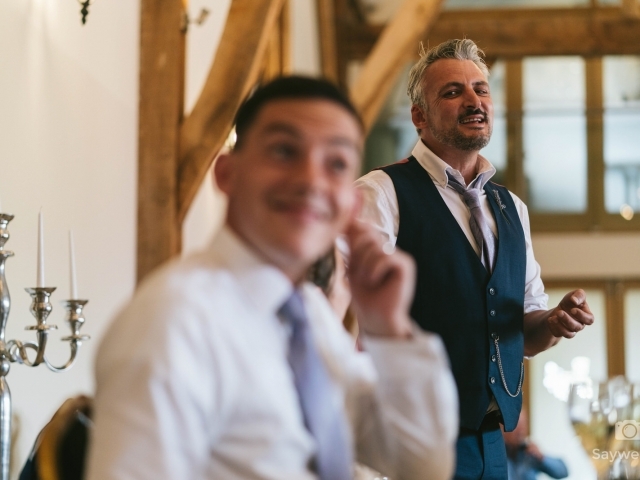 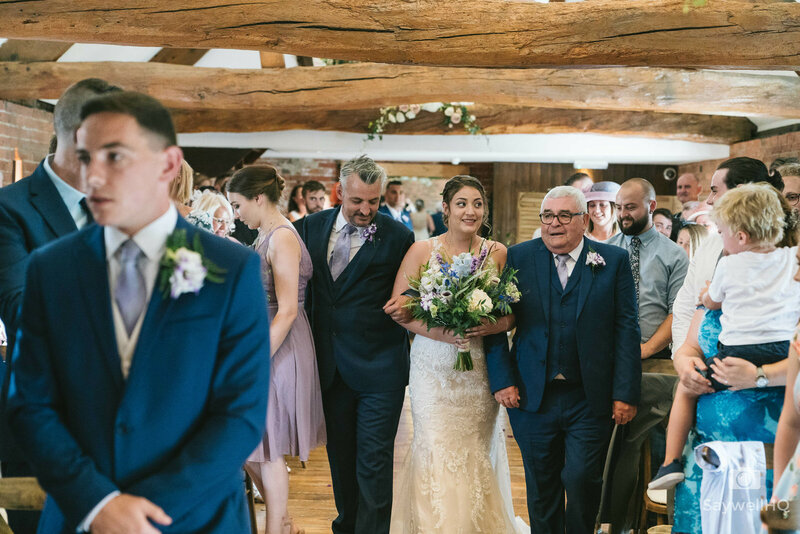 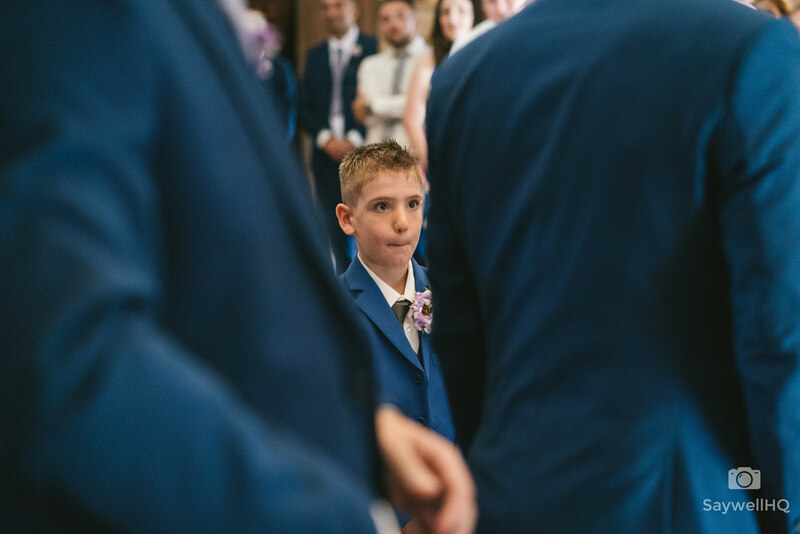 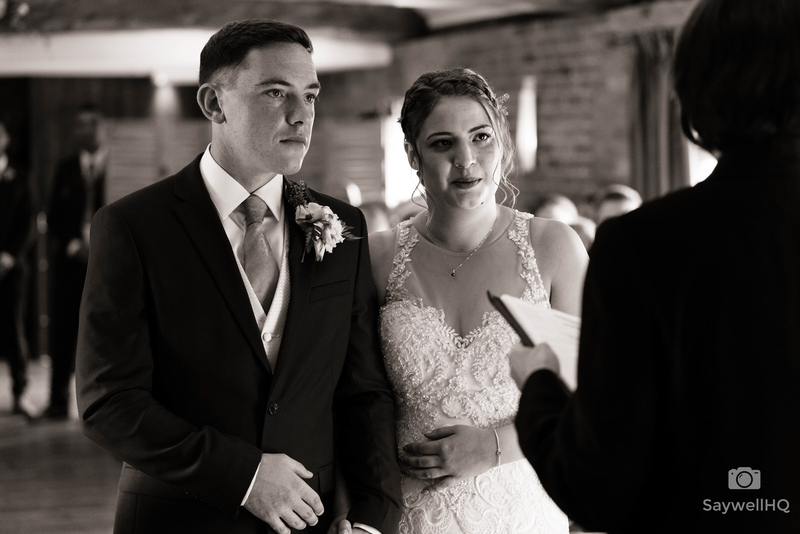 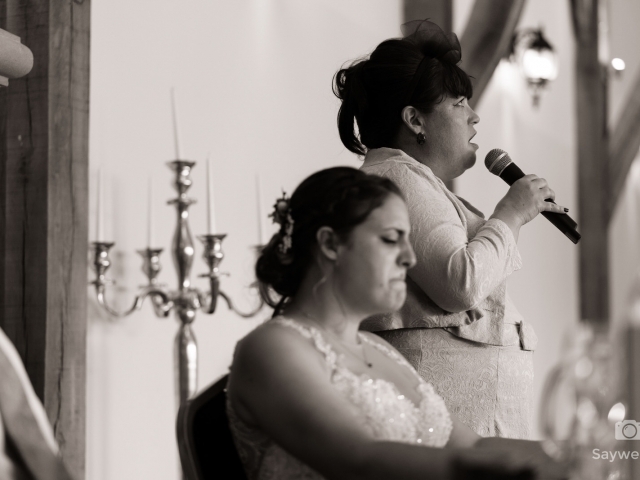 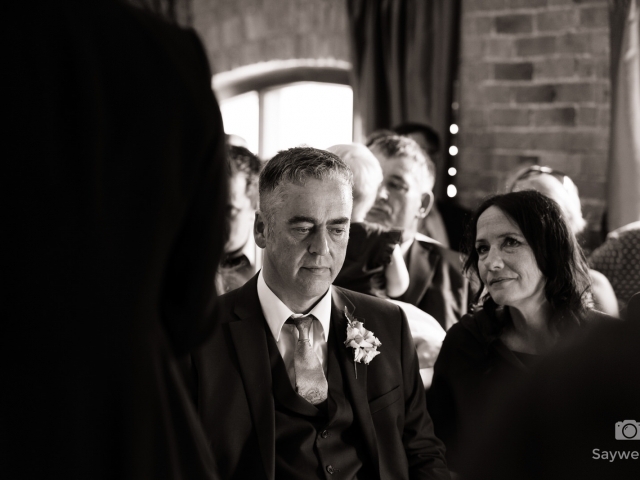 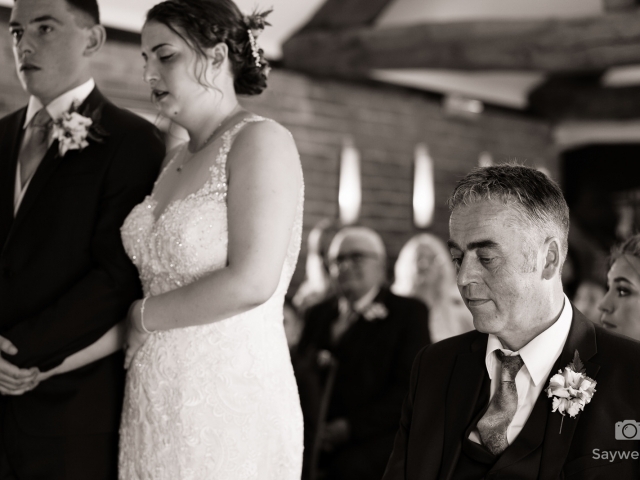 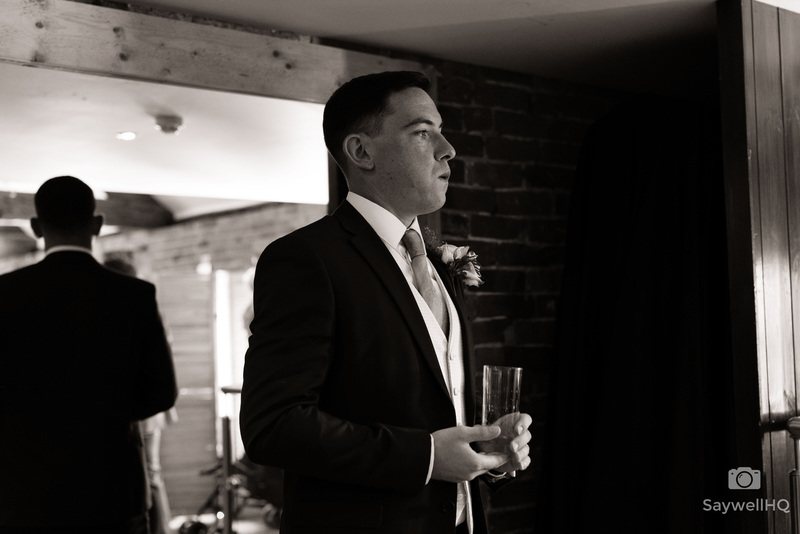 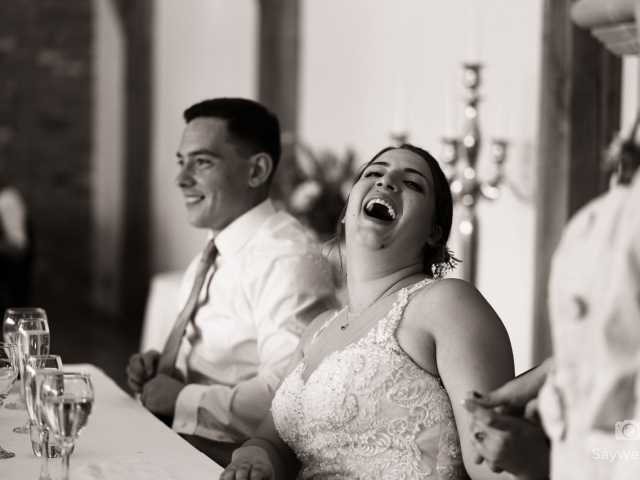 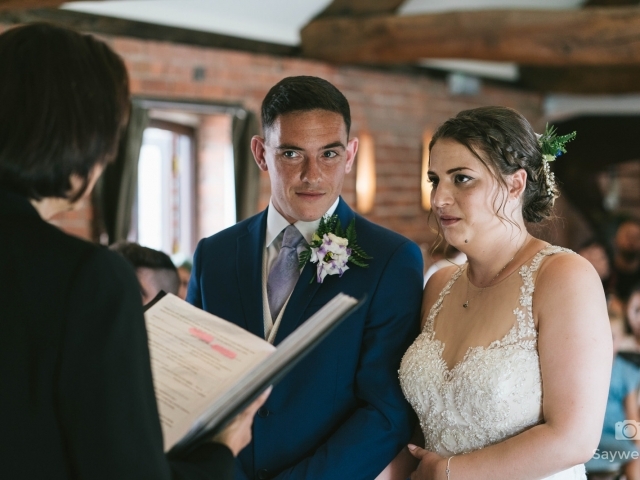 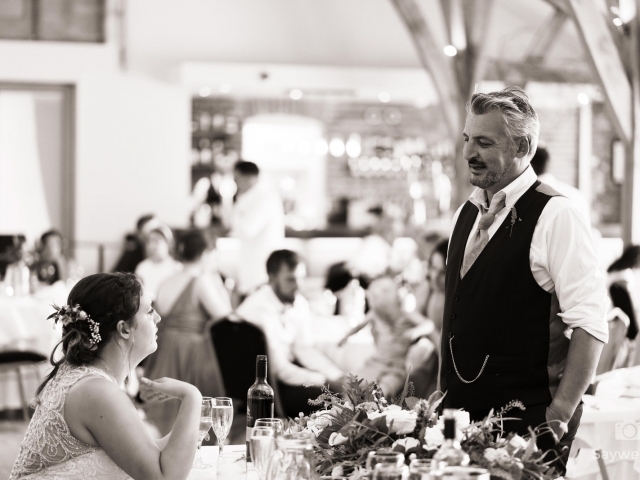 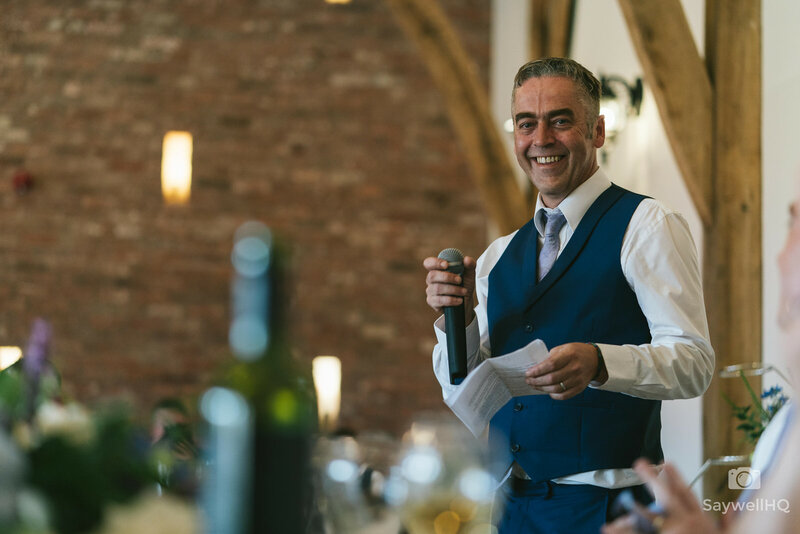 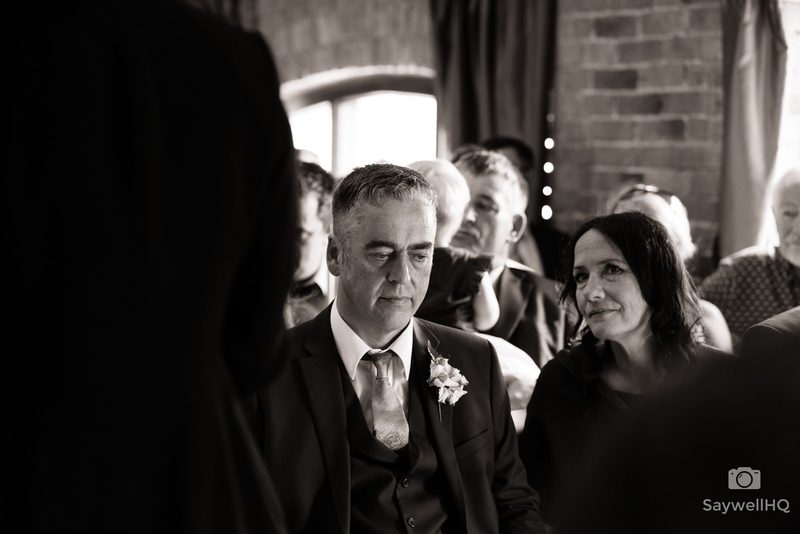 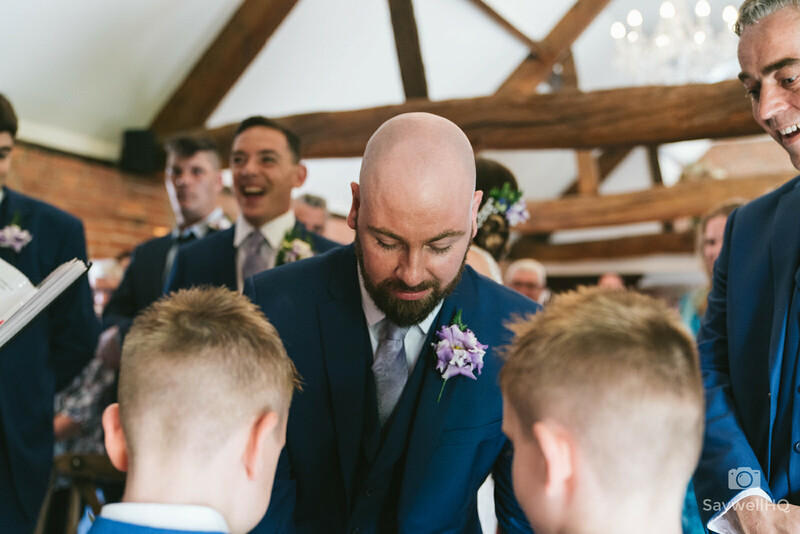 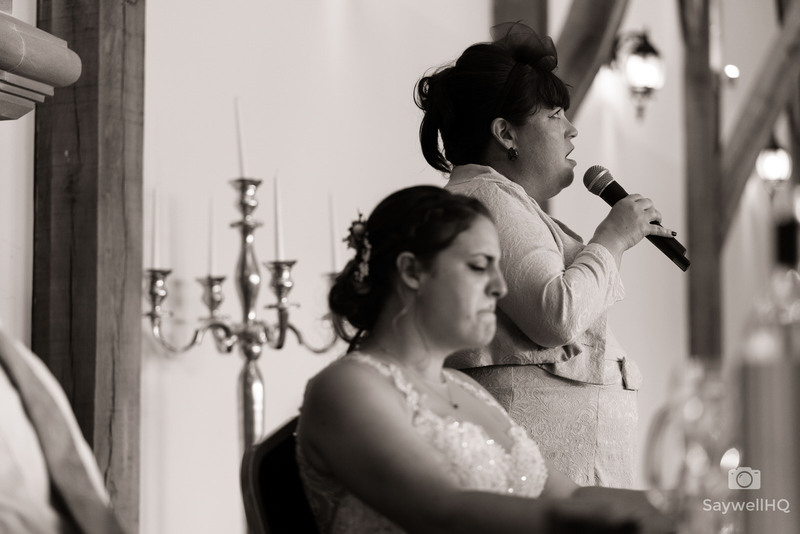 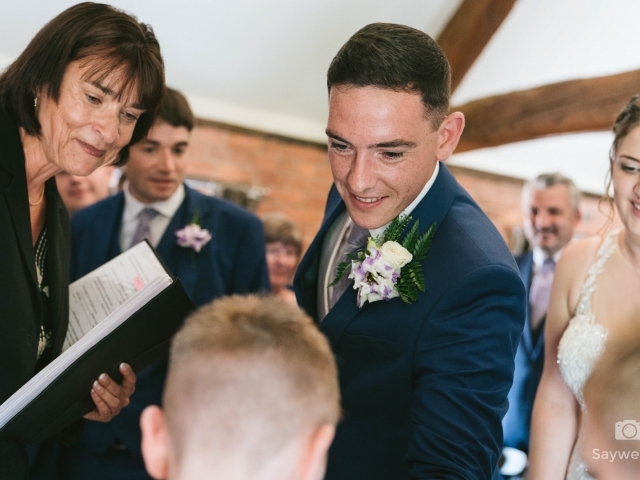 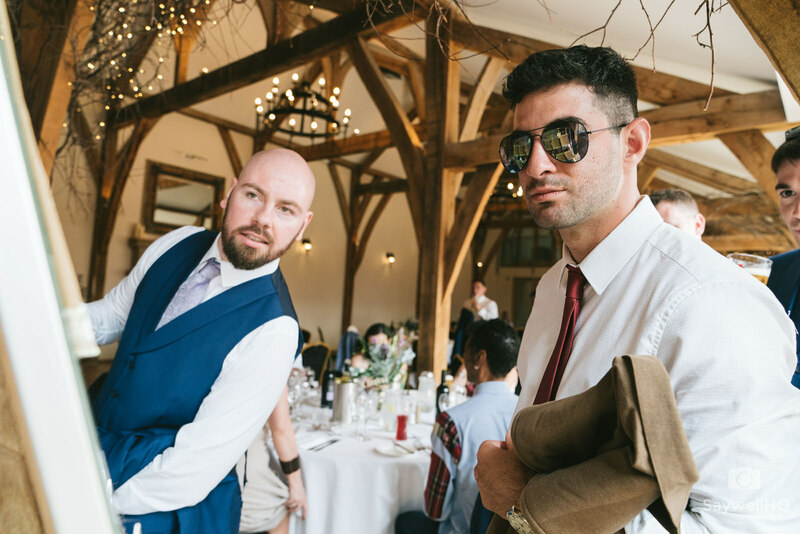 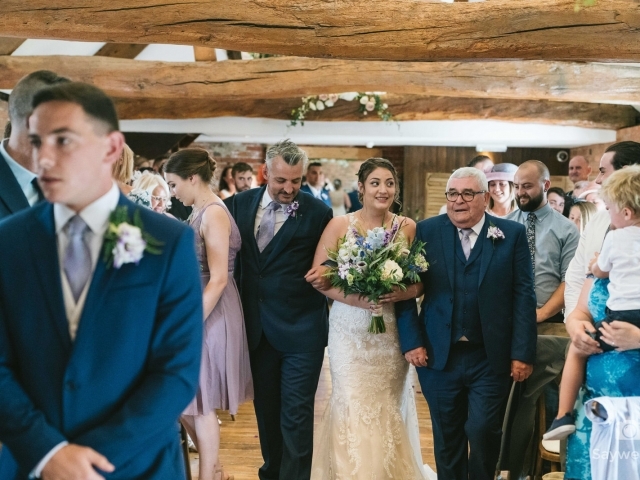 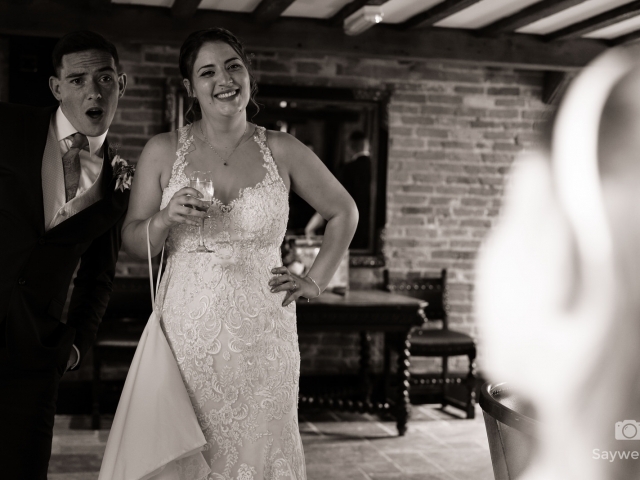 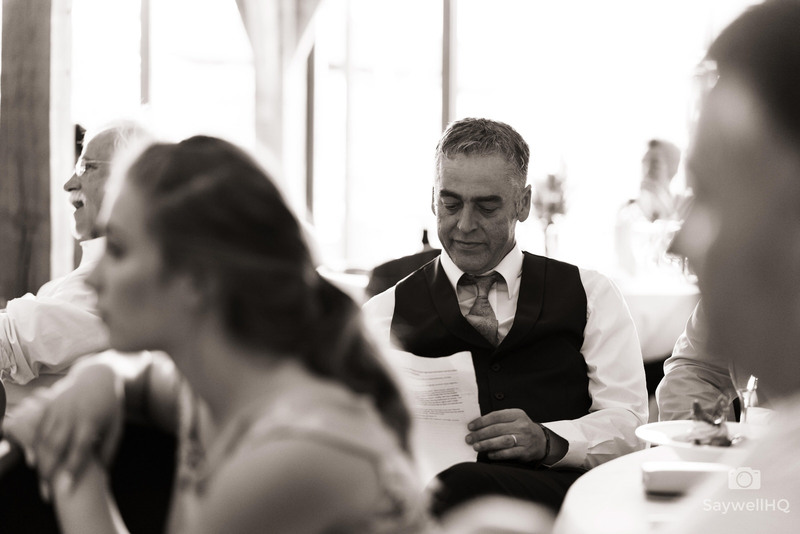 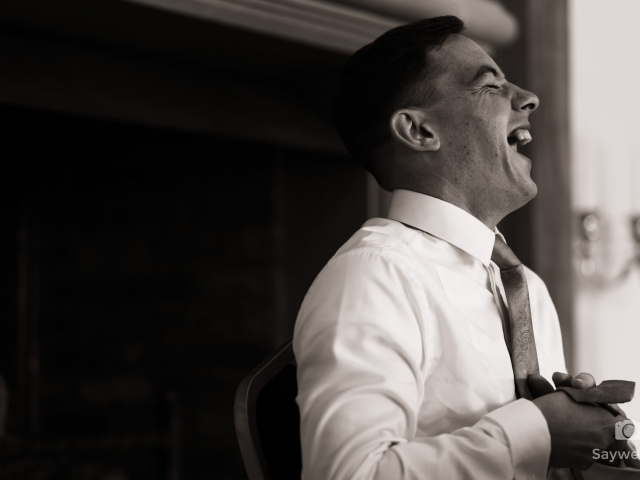 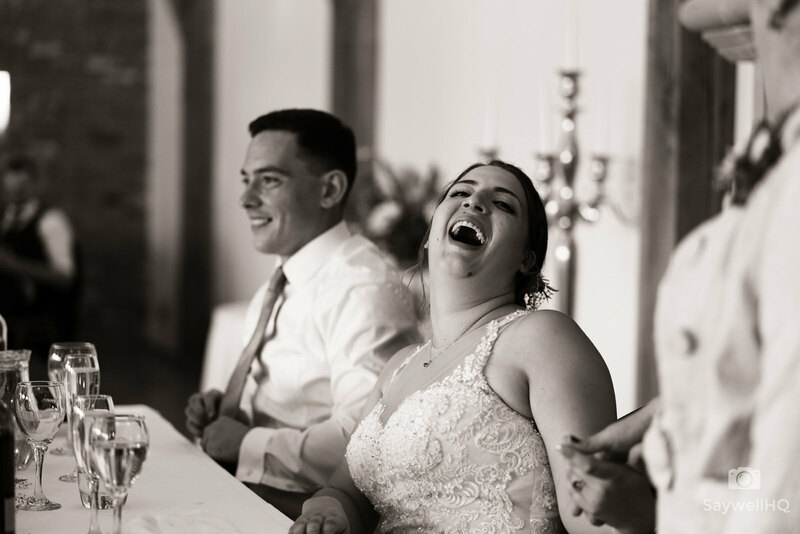 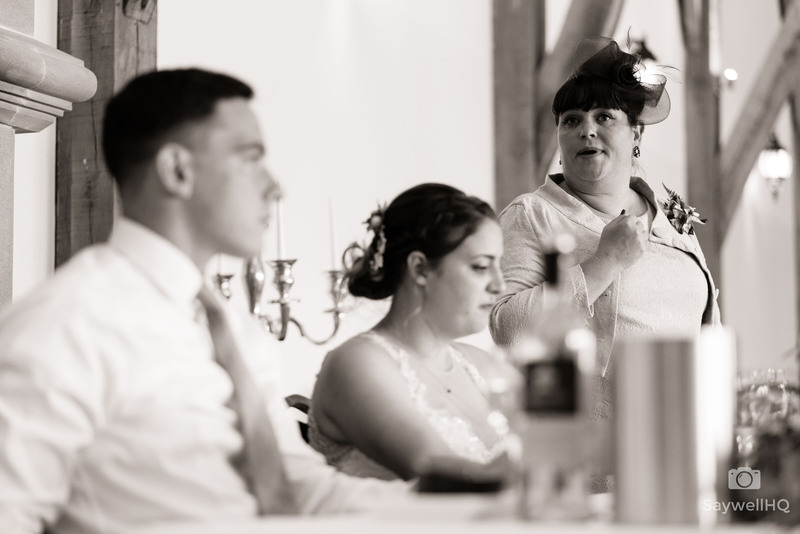 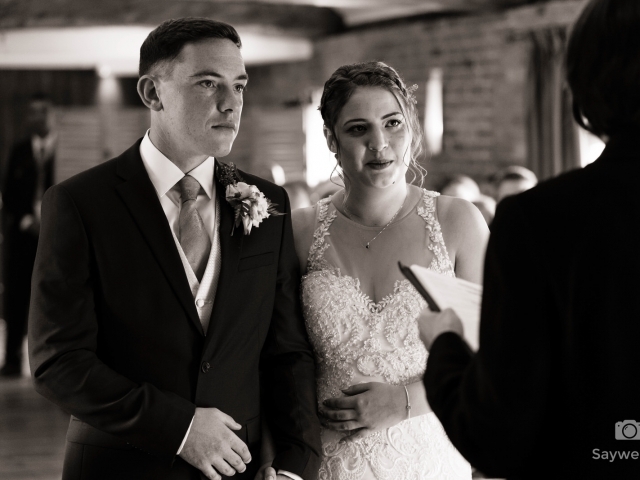 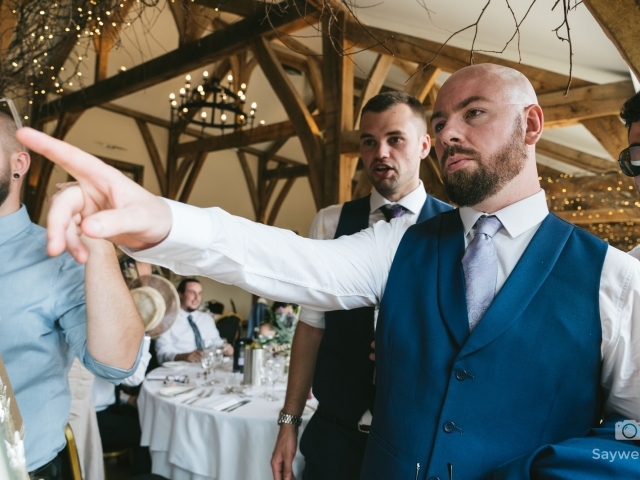 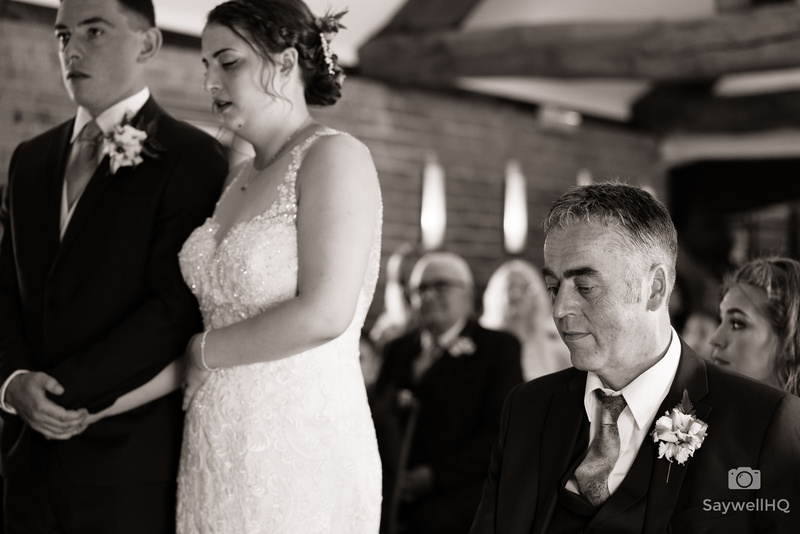 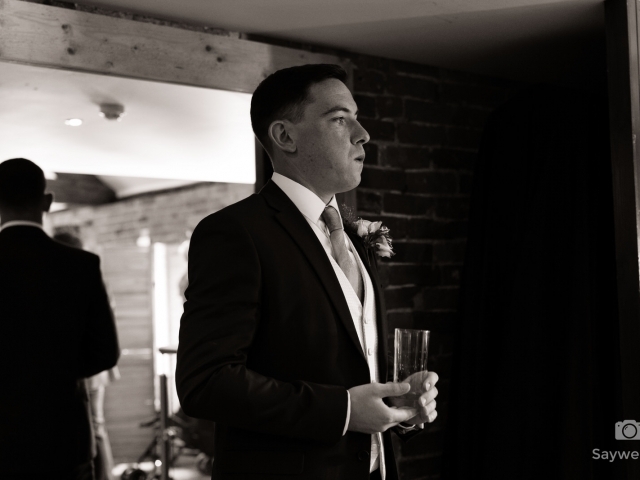 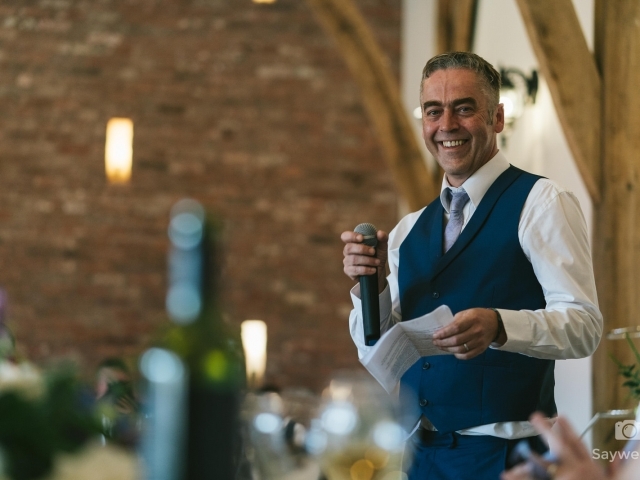 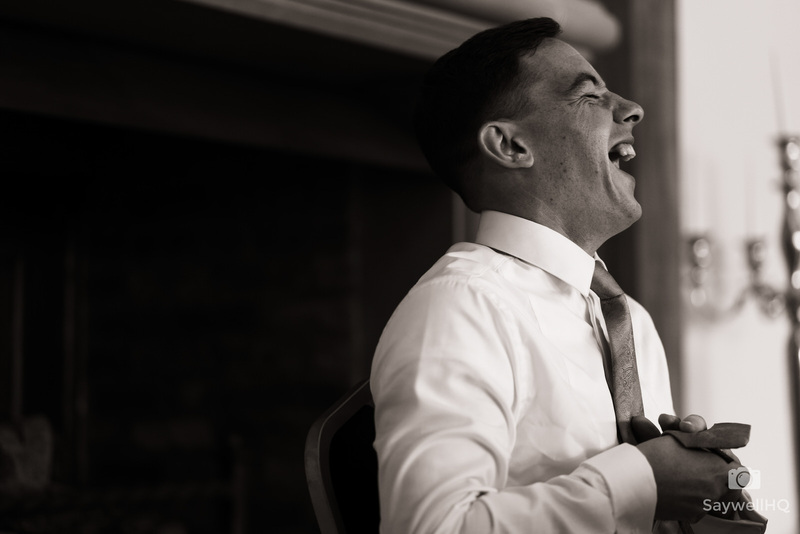 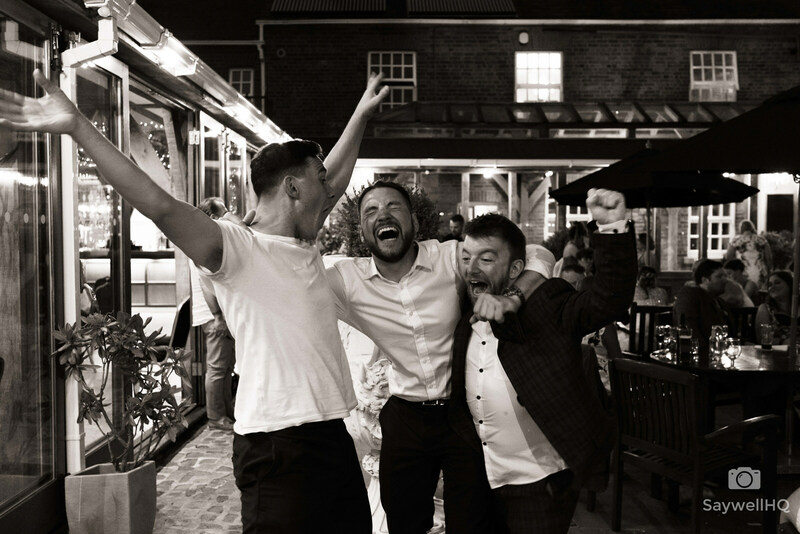 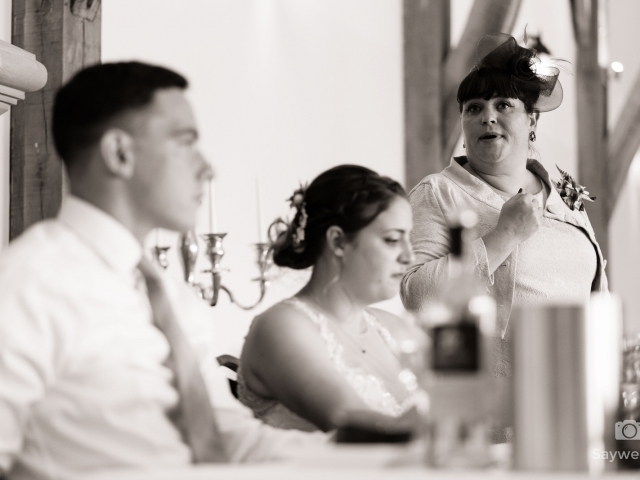 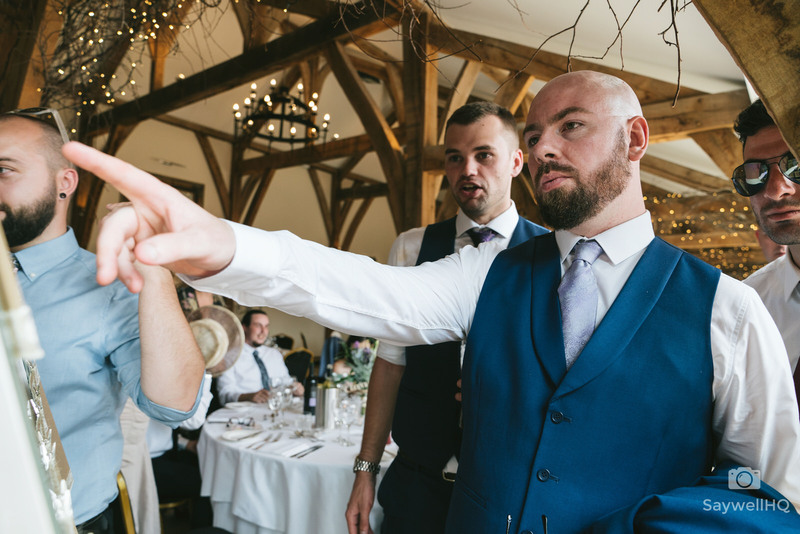 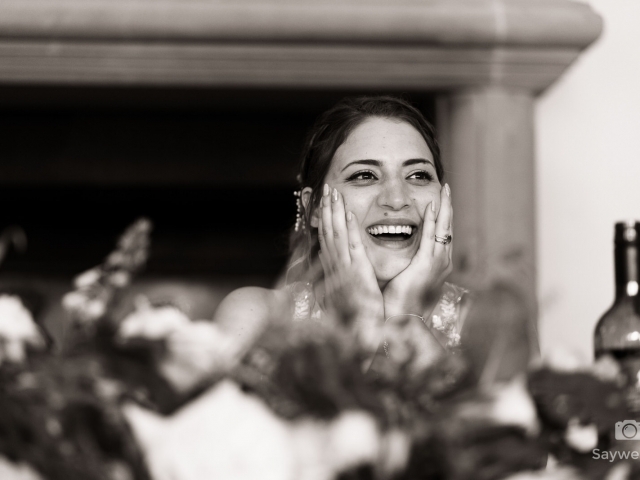 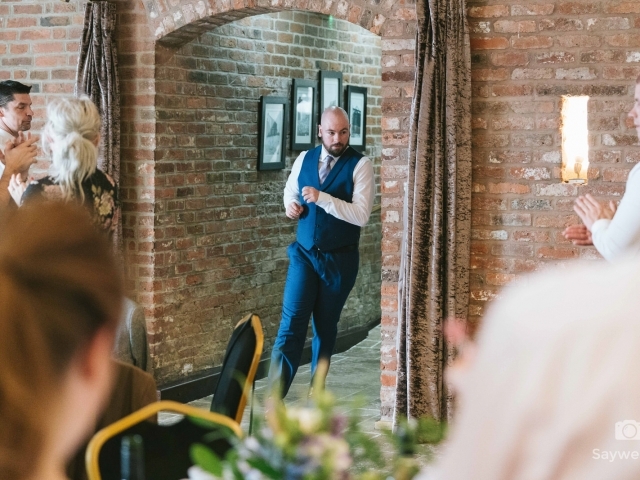 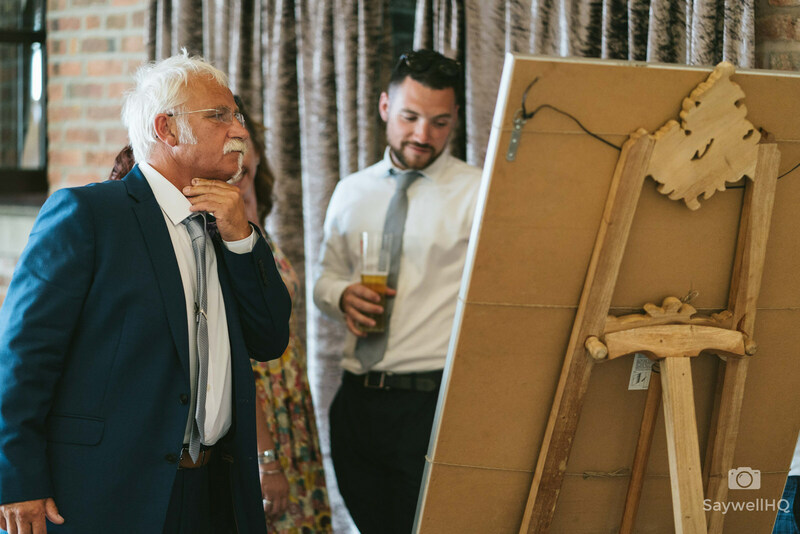 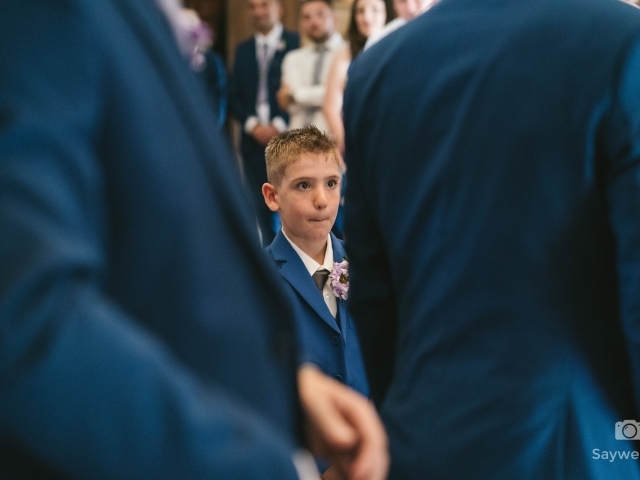 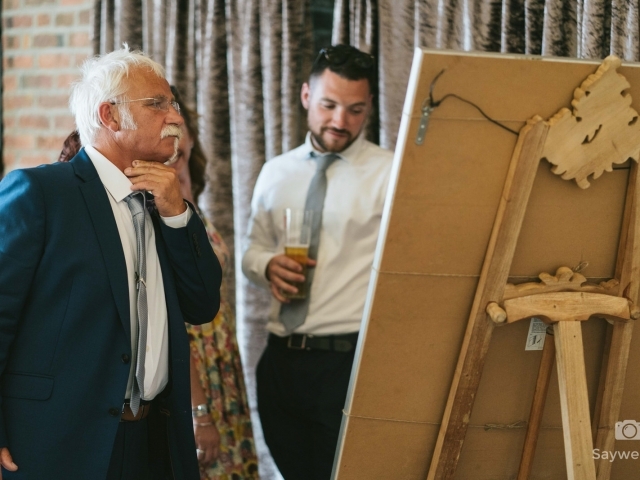 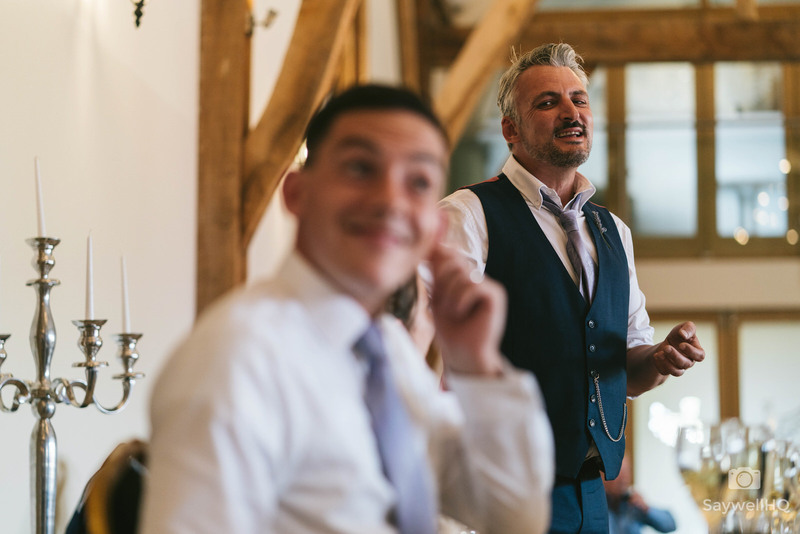 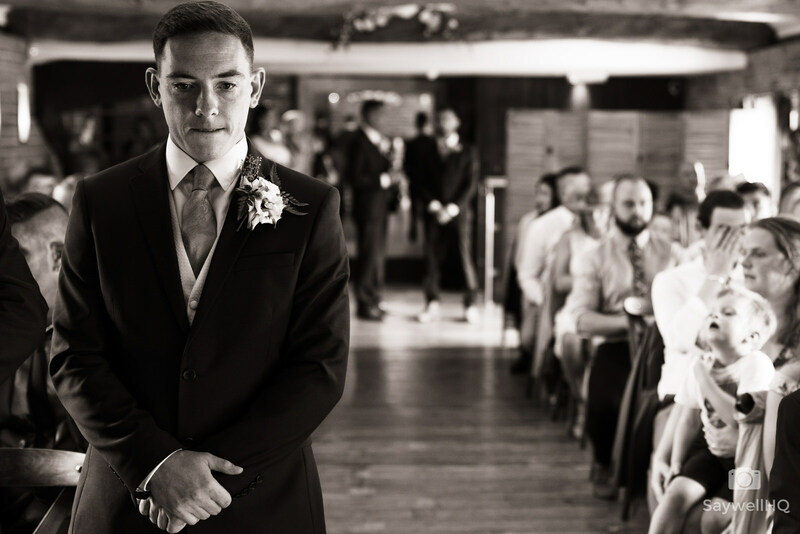 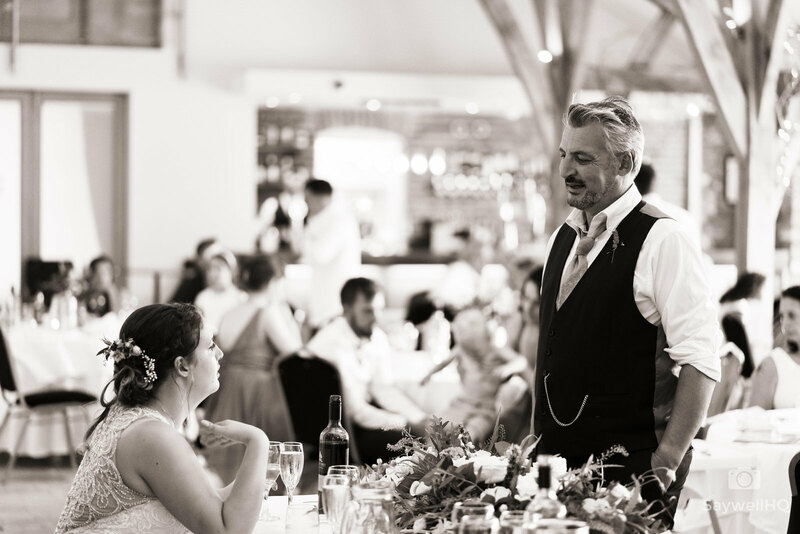 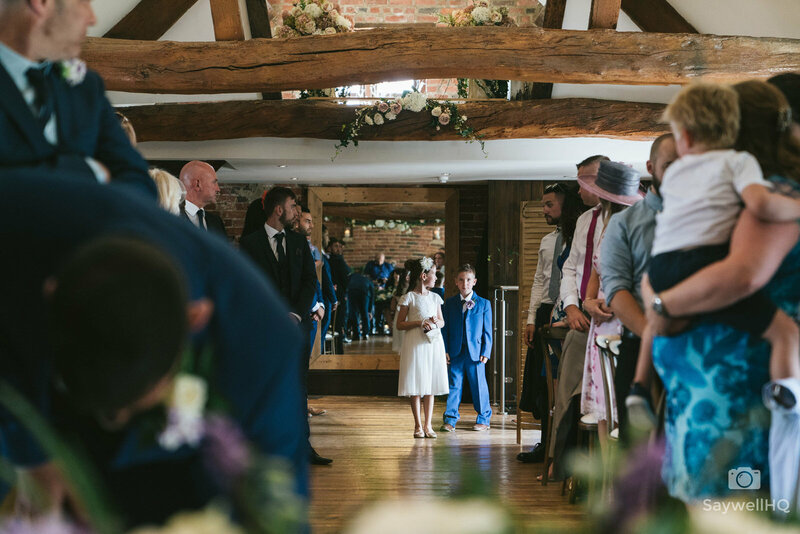 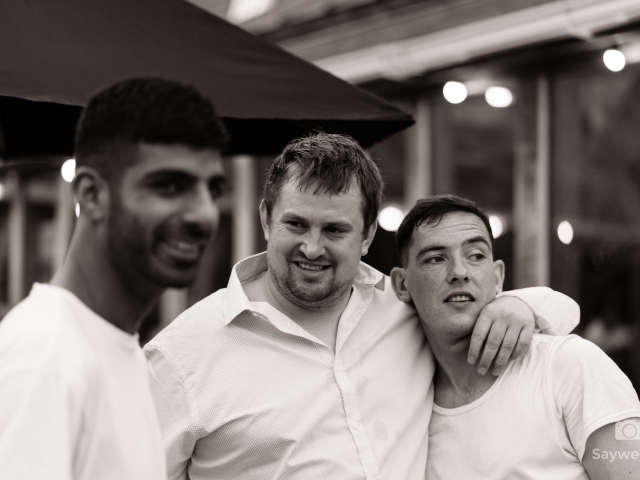 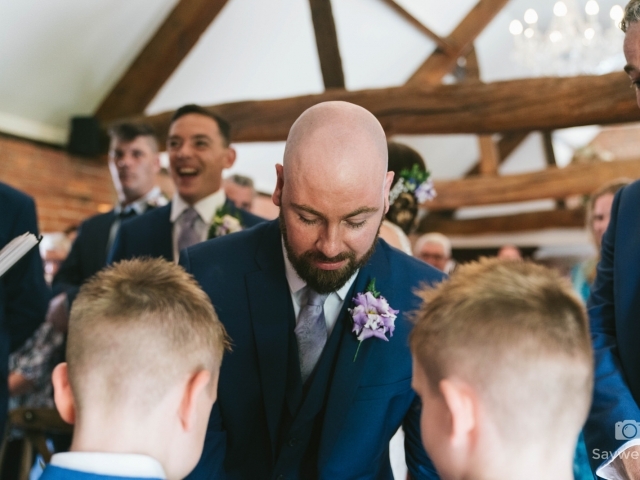 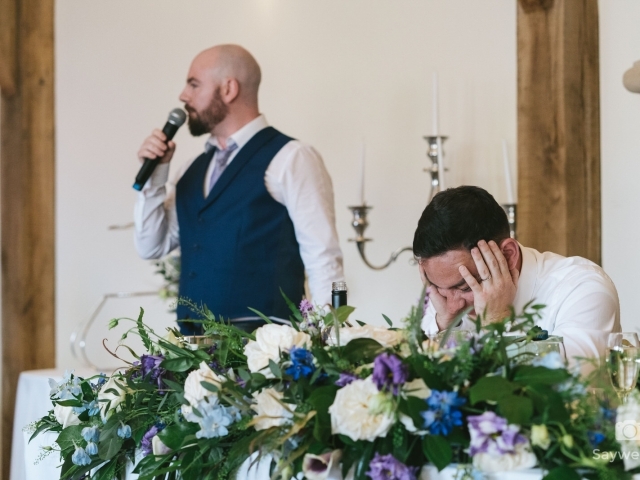 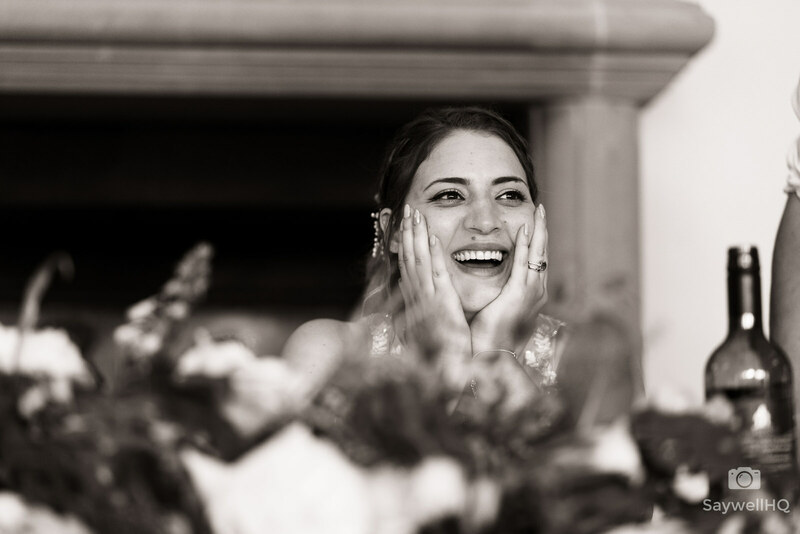 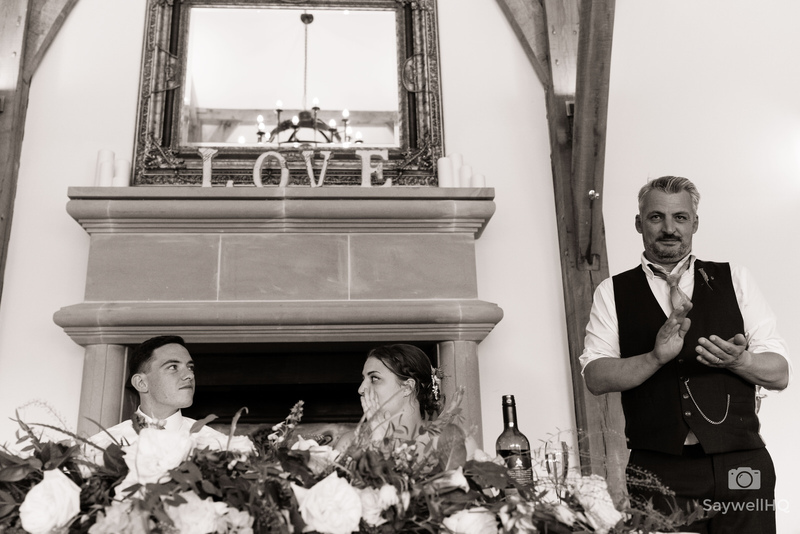 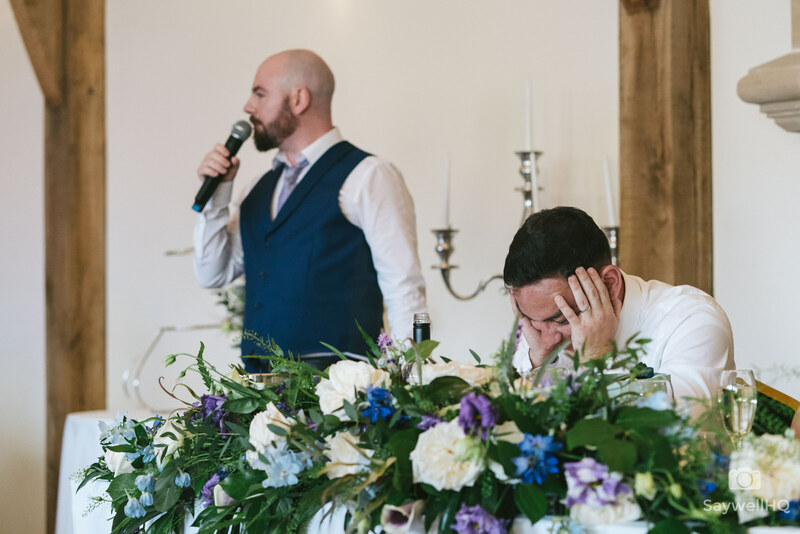 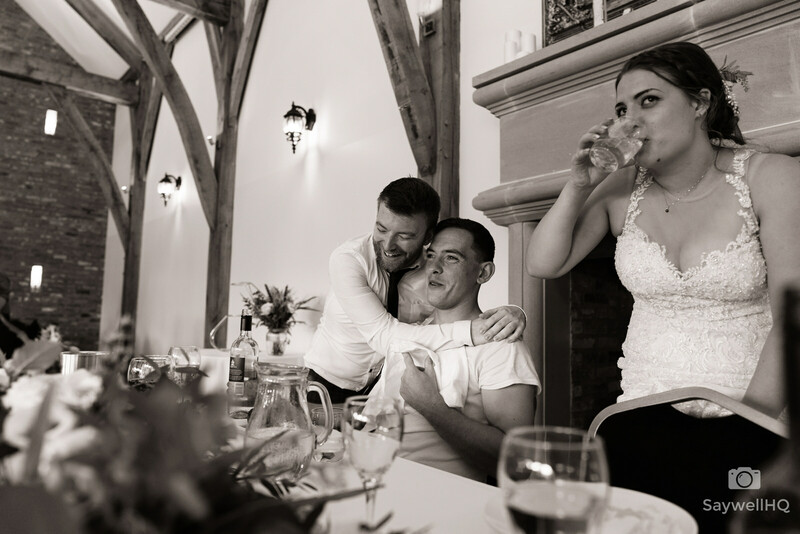 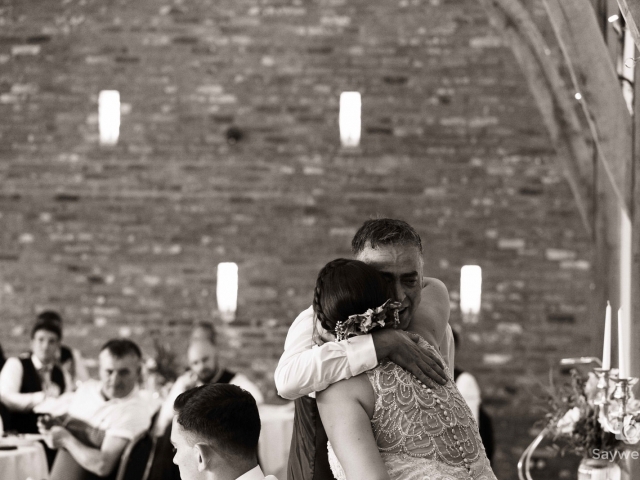 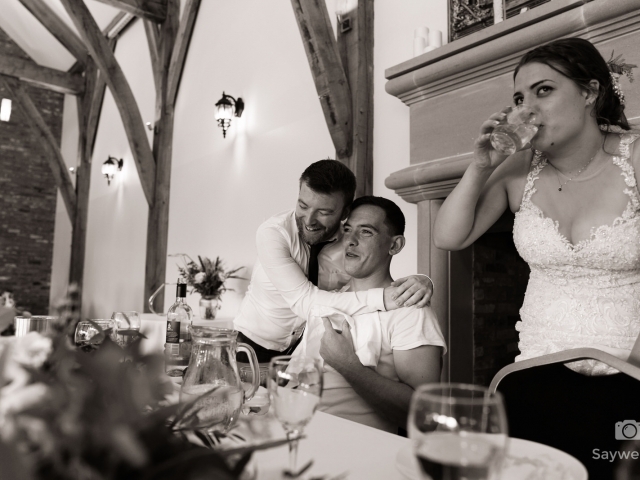 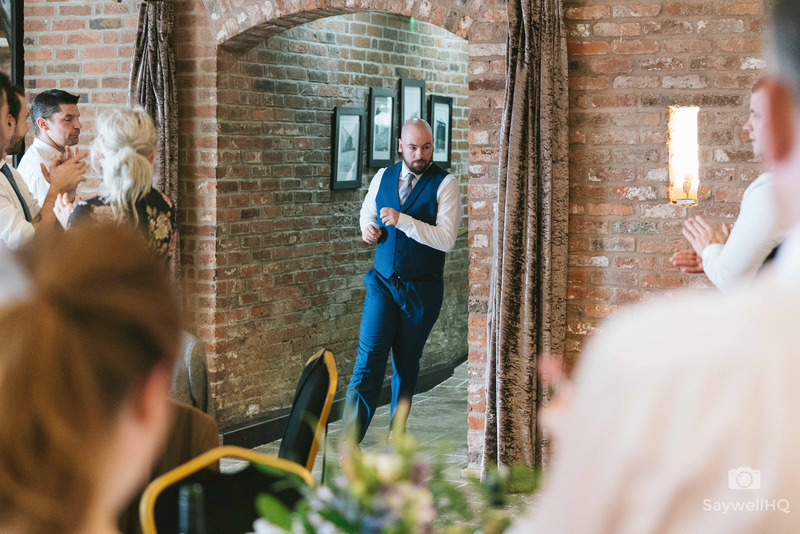 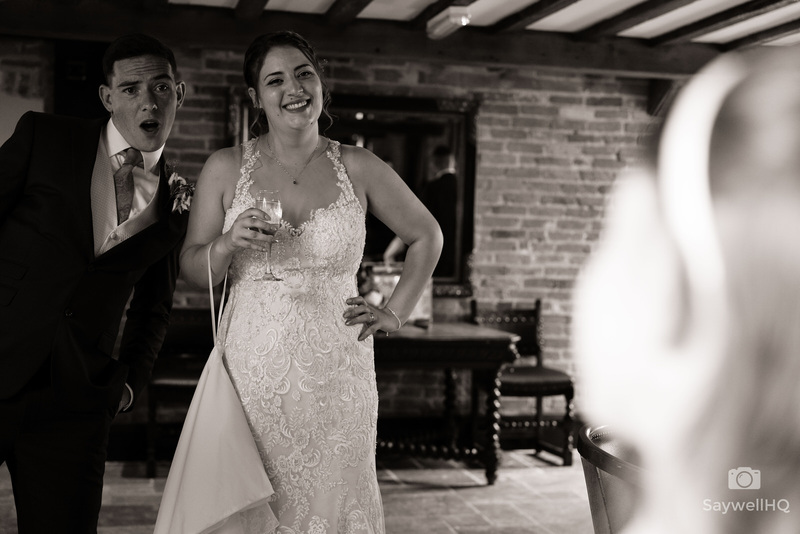 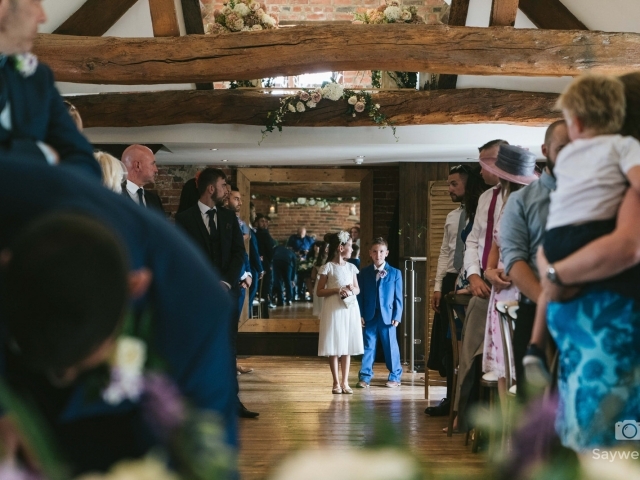 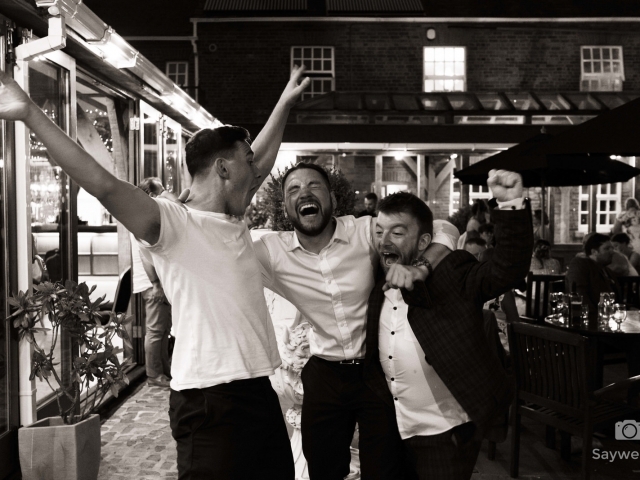 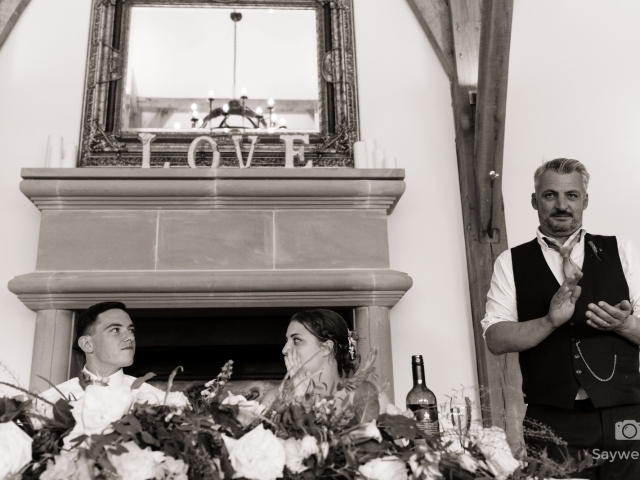 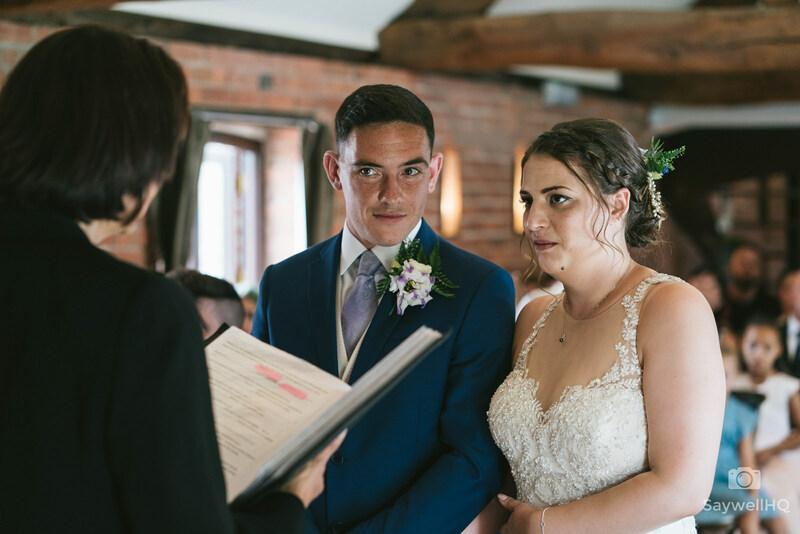 Once the main food was served it was onto the speeches and as always this is where the best men get their own back on the groom and you can see by Peppe’s face in some images below, some of the stories were embarrassing – but all good fun. 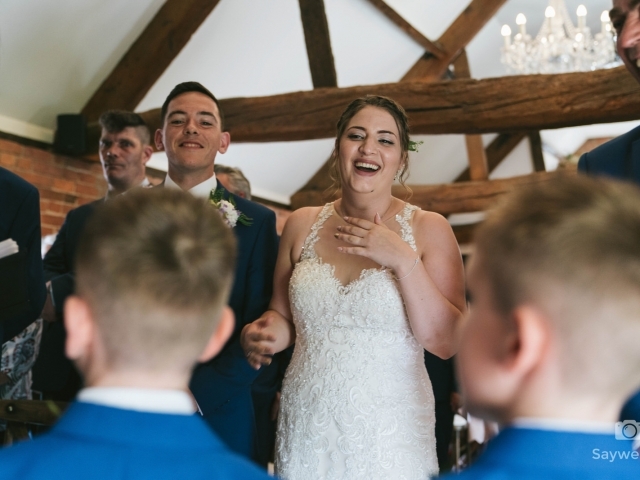 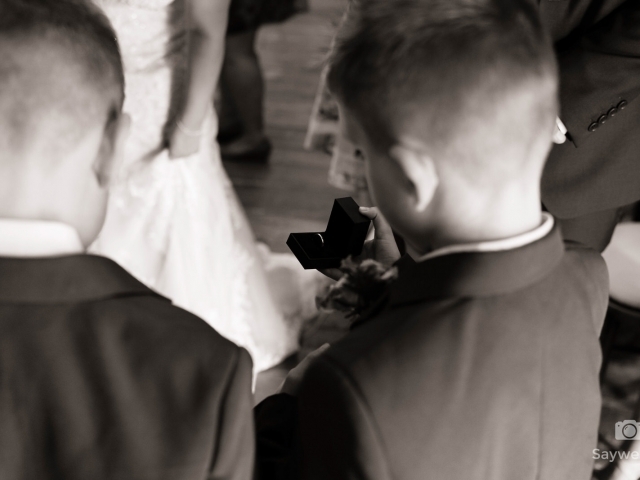 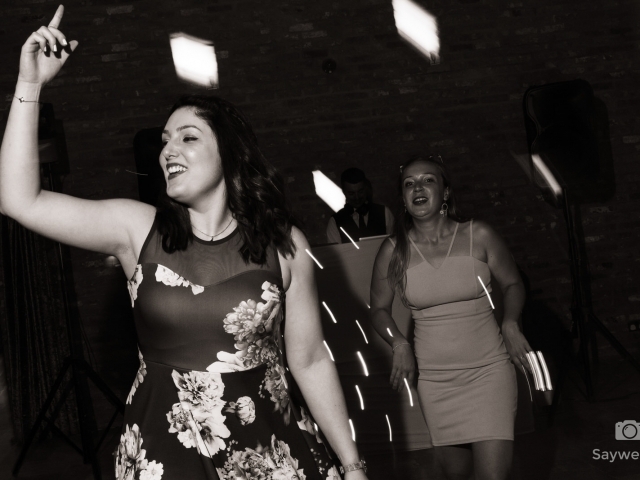 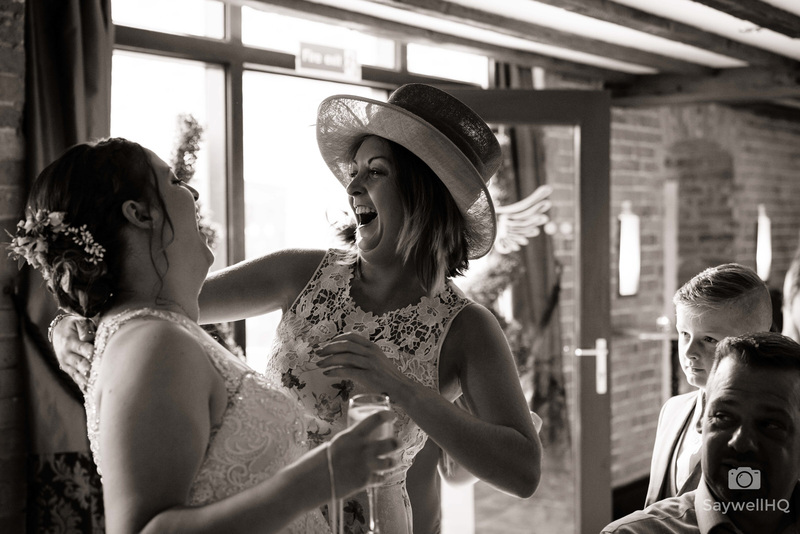 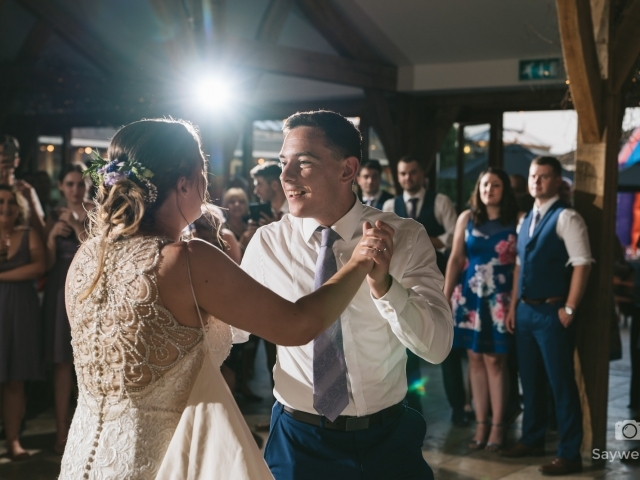 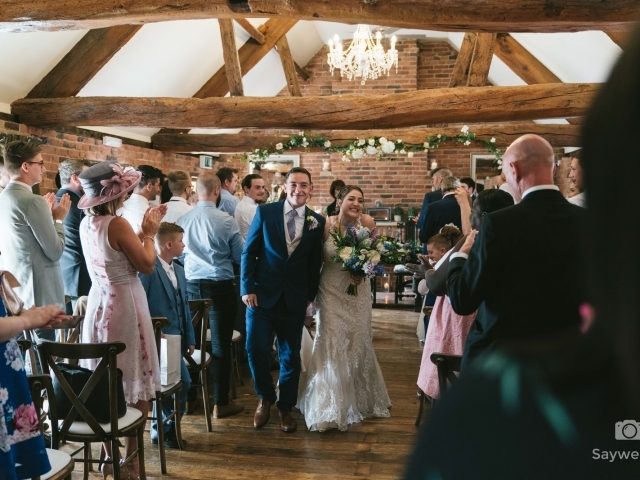 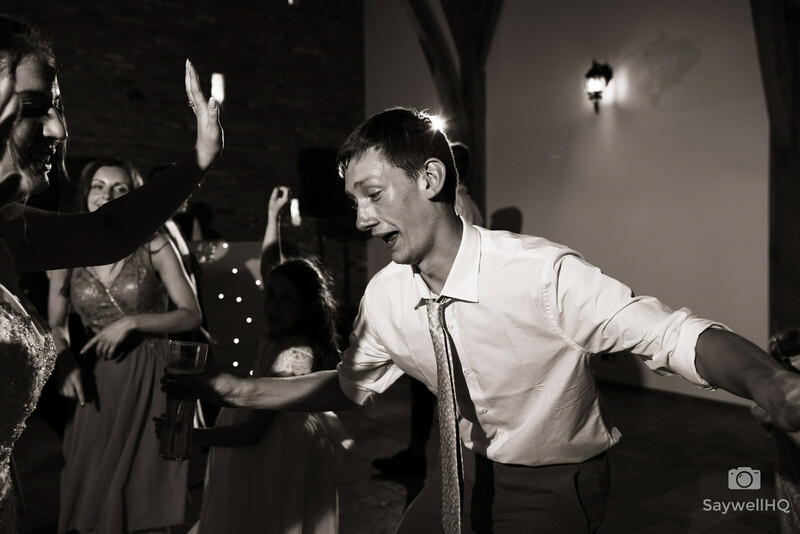 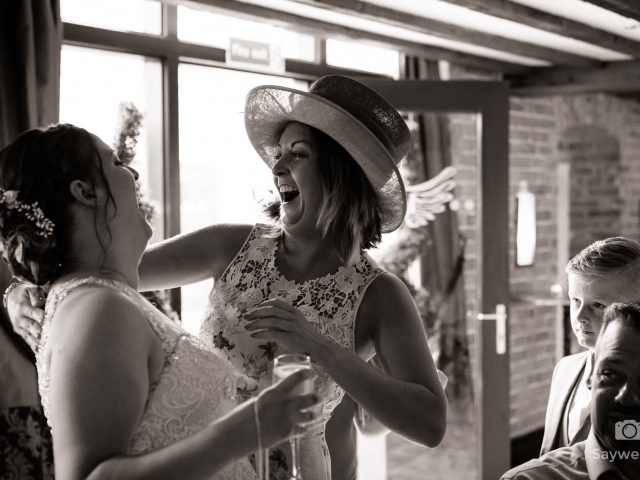 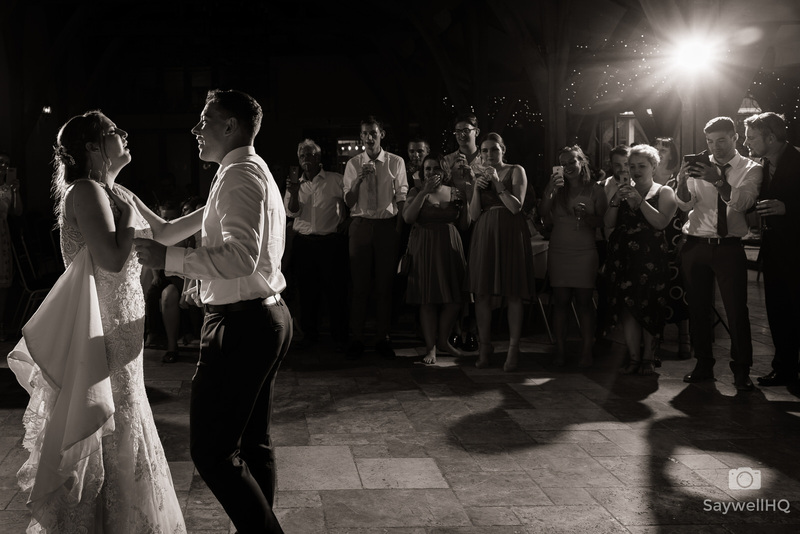 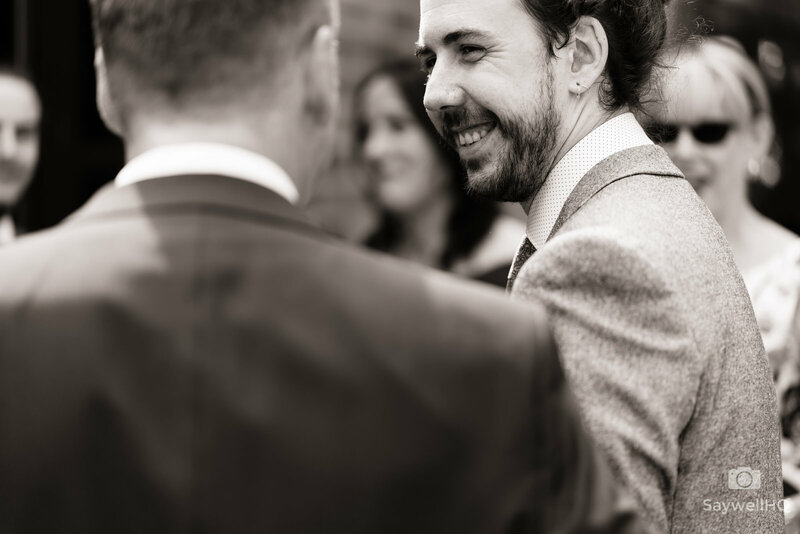 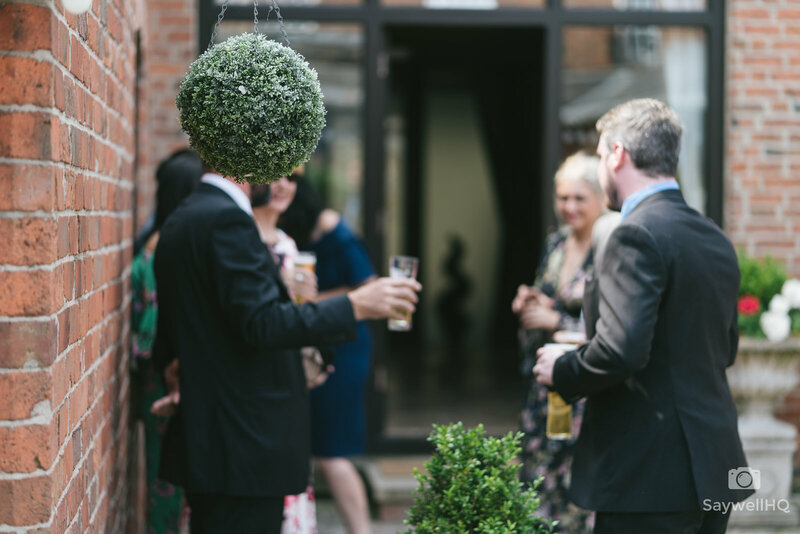 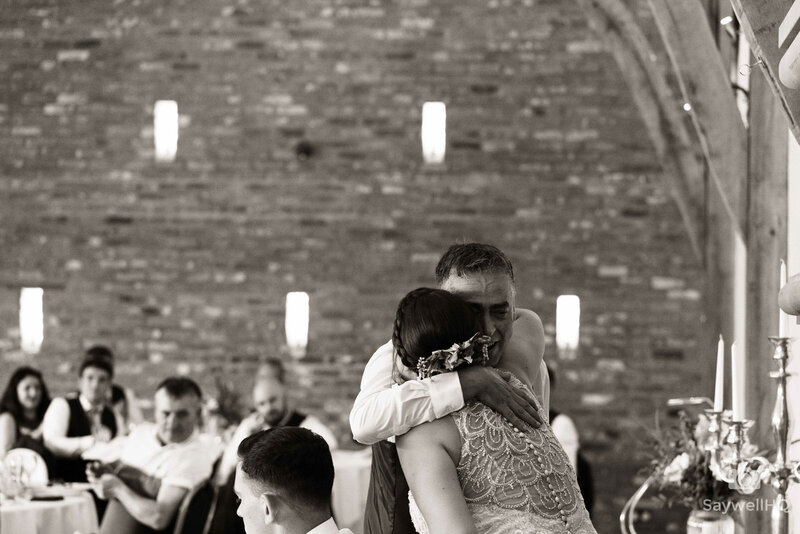 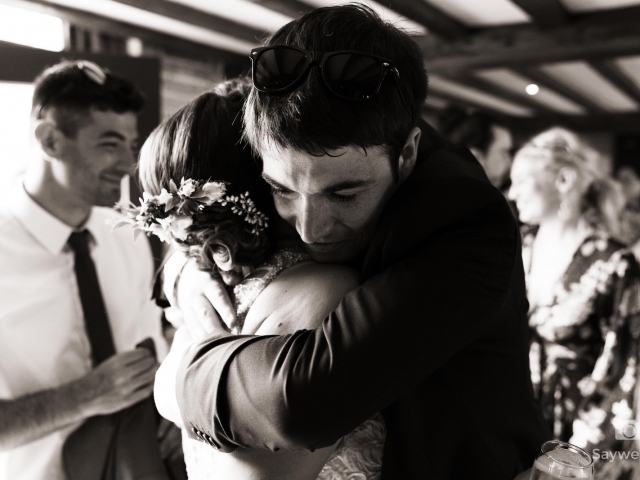 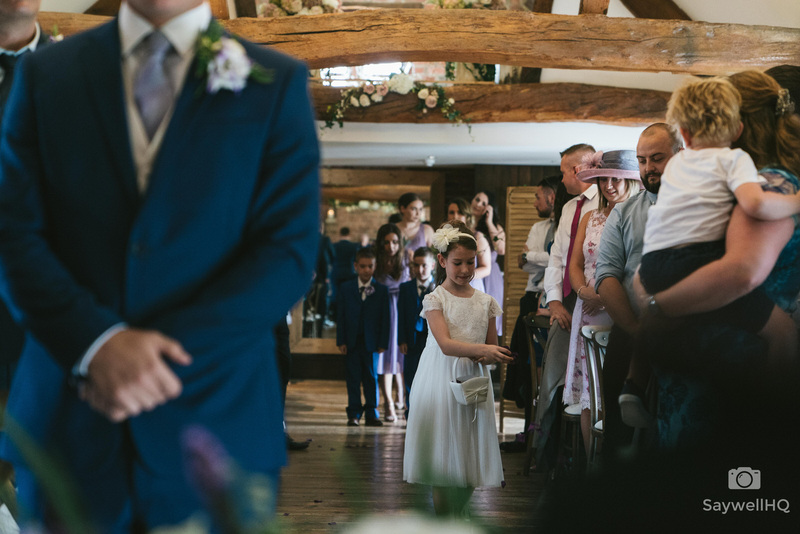 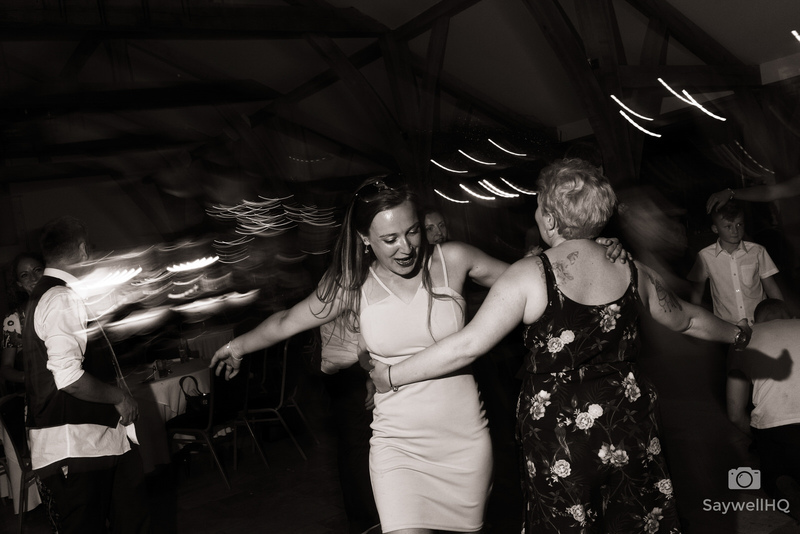 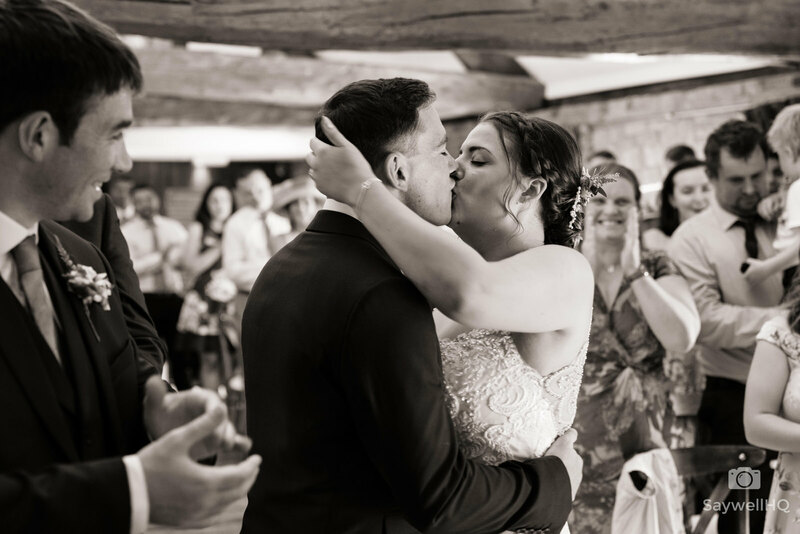 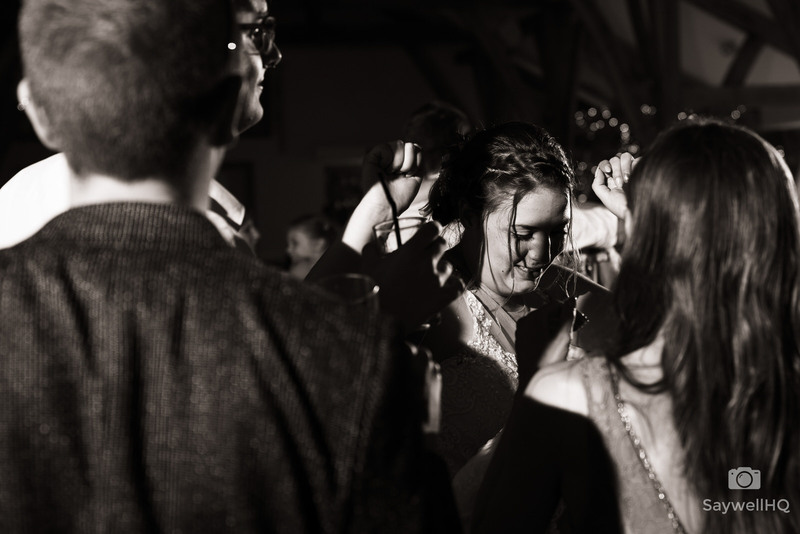 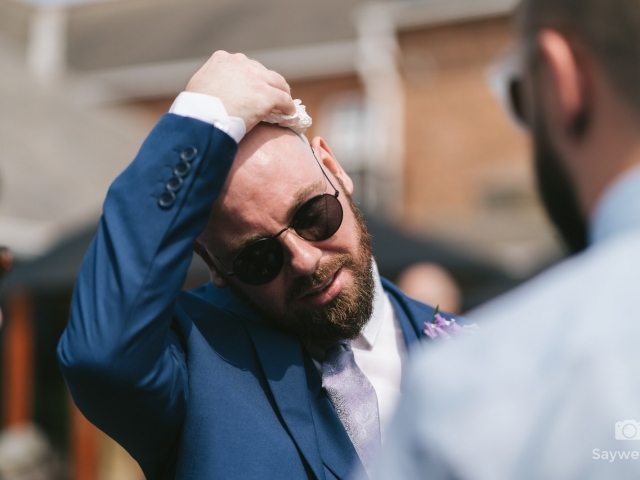 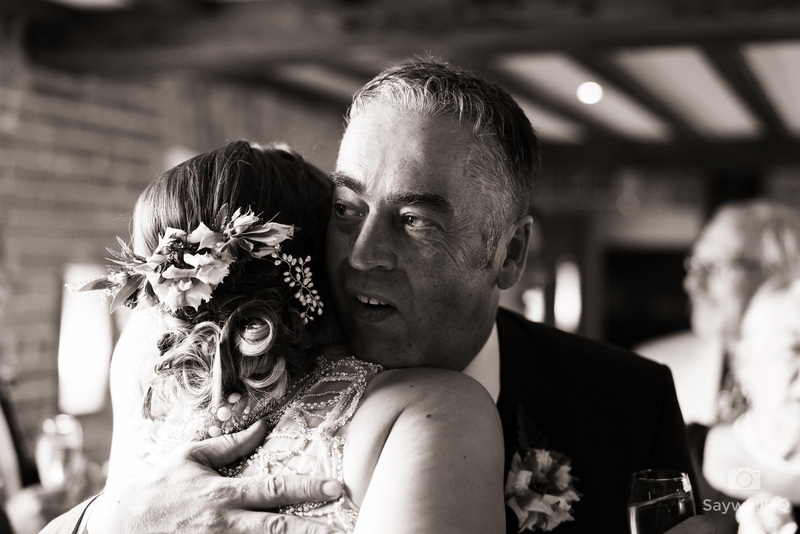 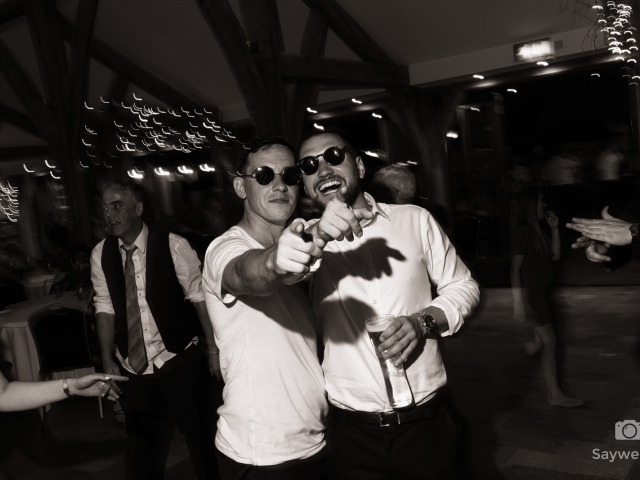 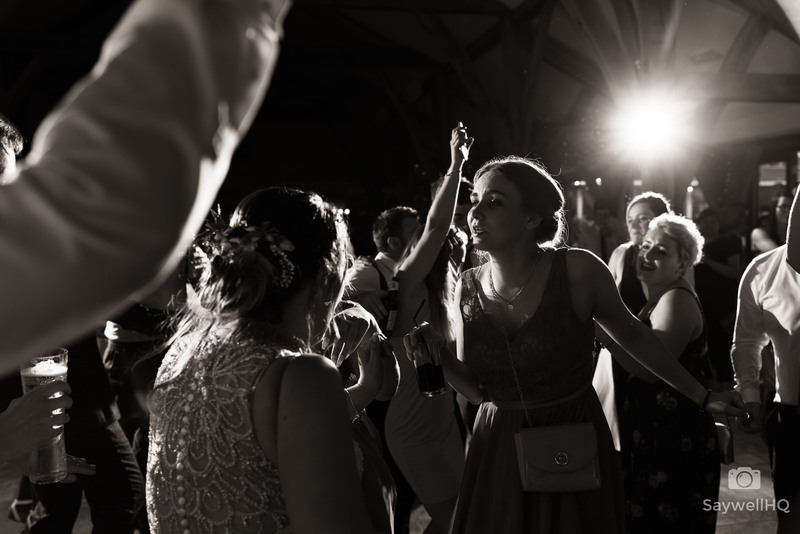 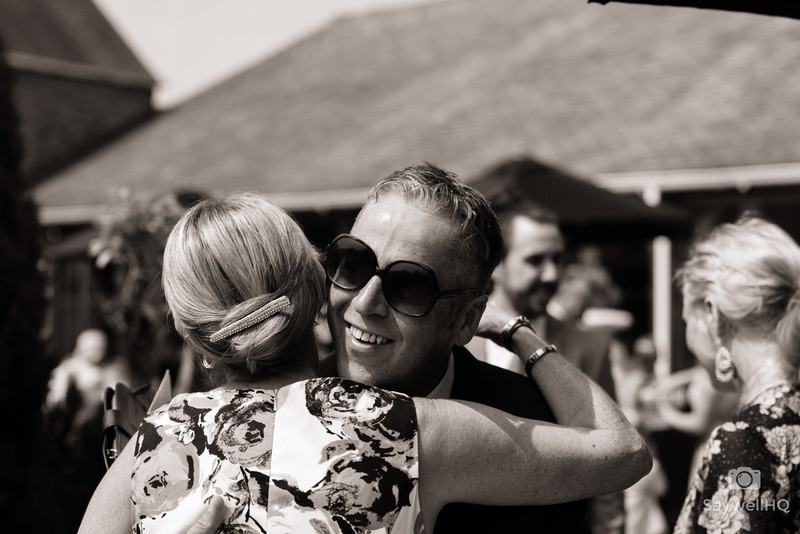 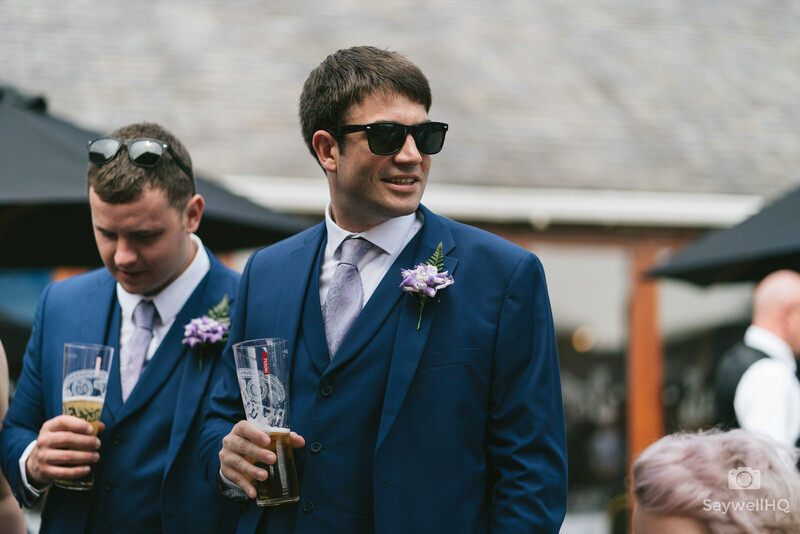 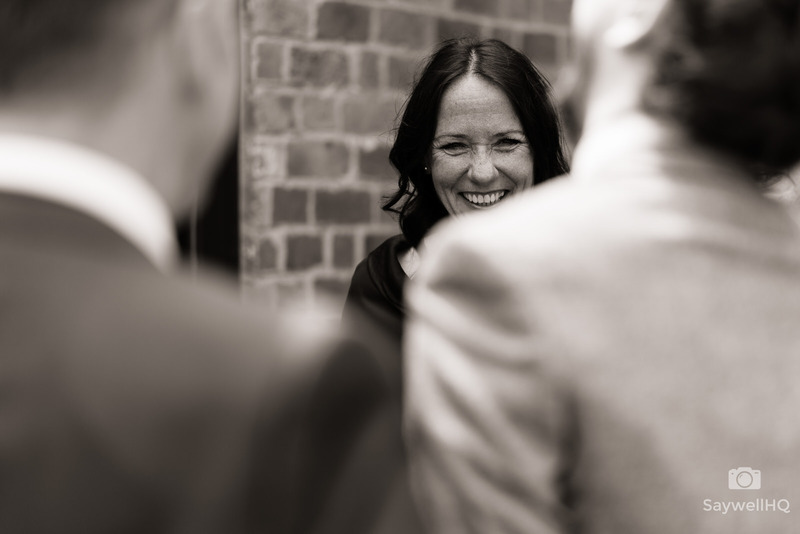 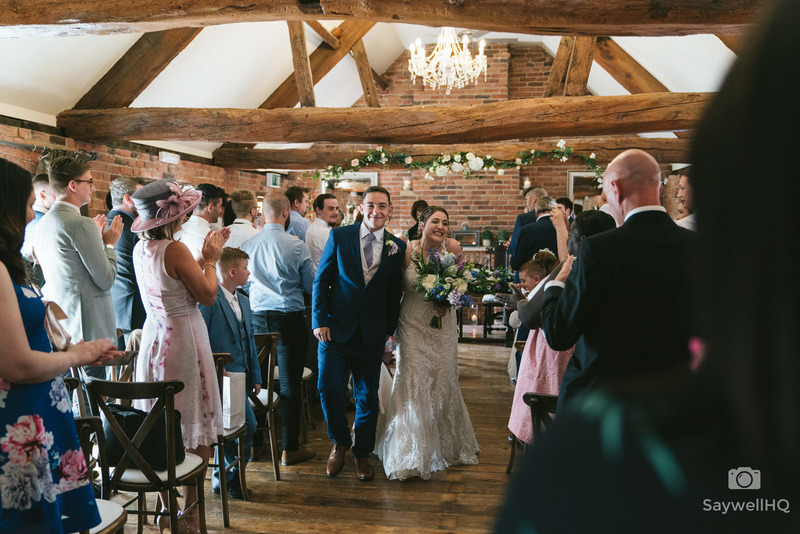 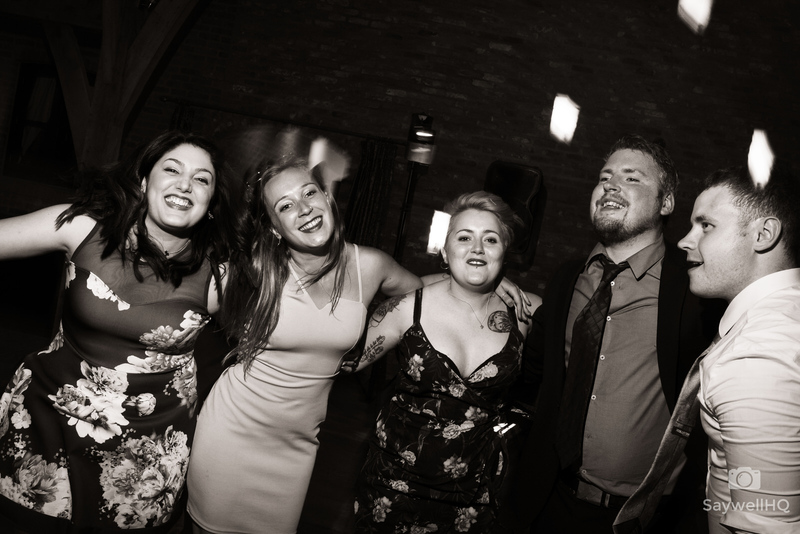 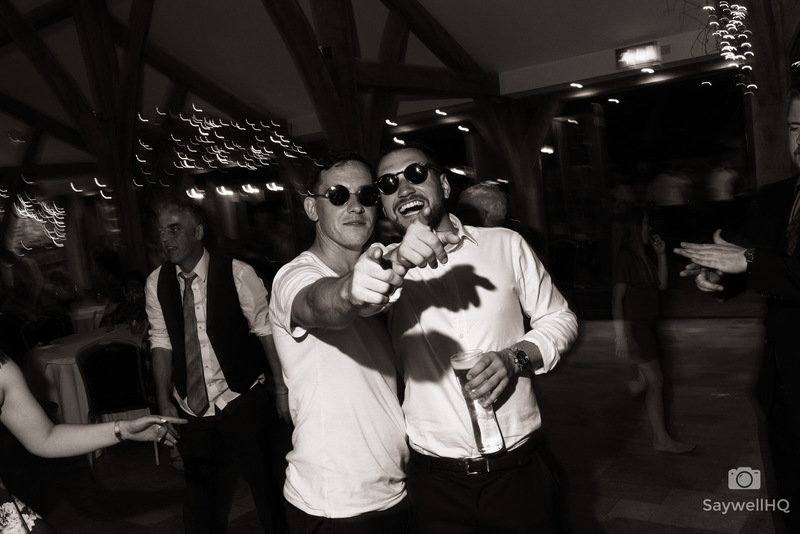 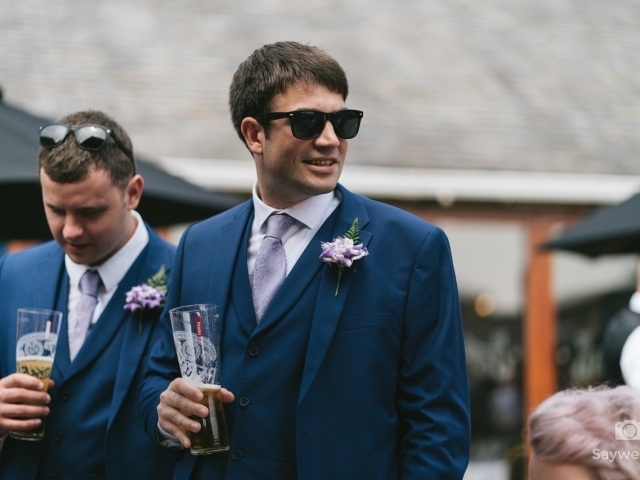 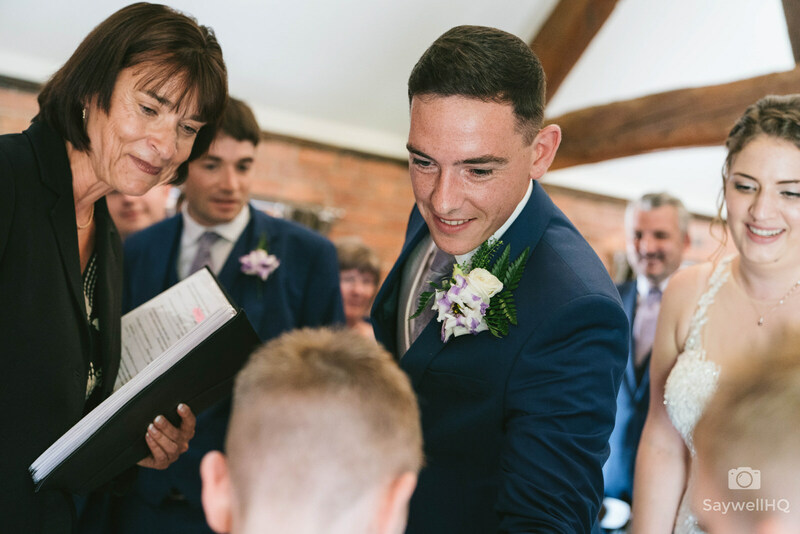 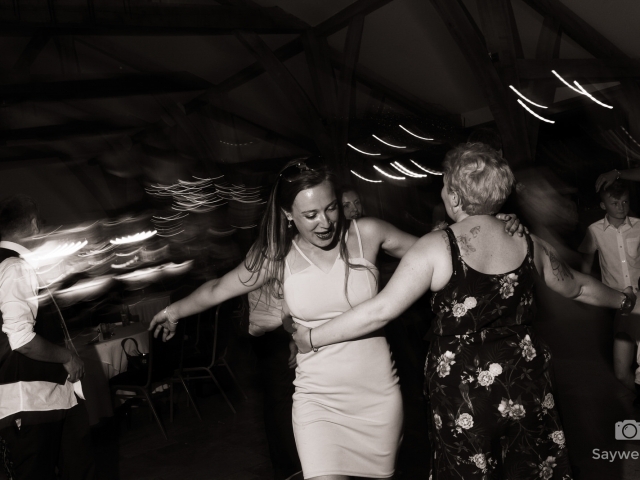 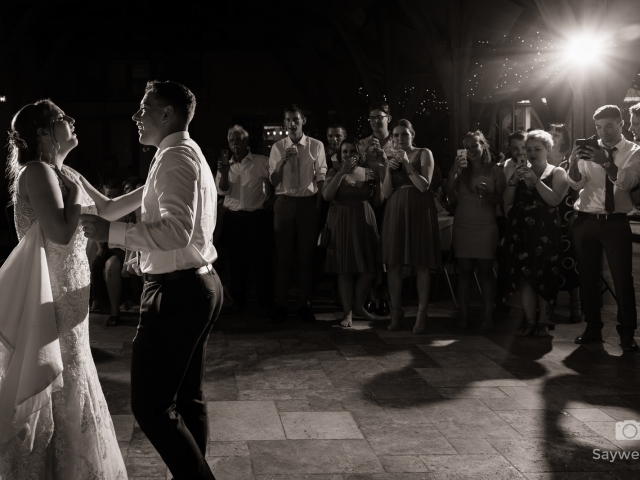 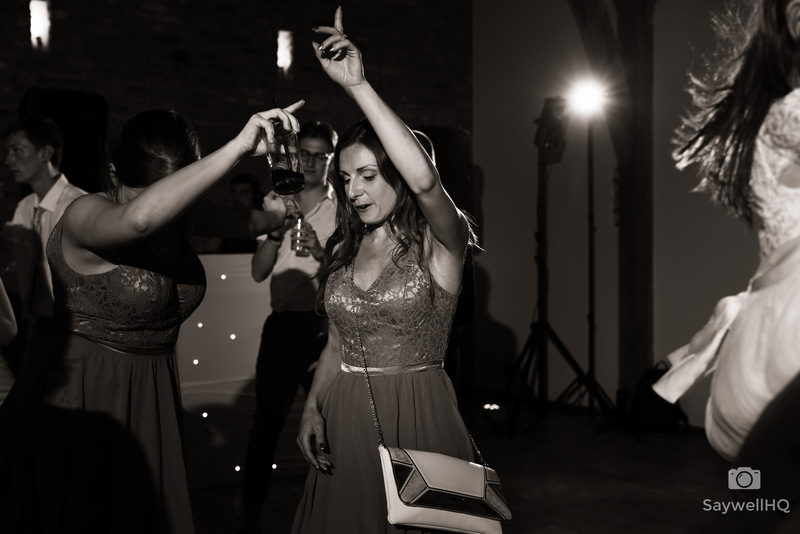 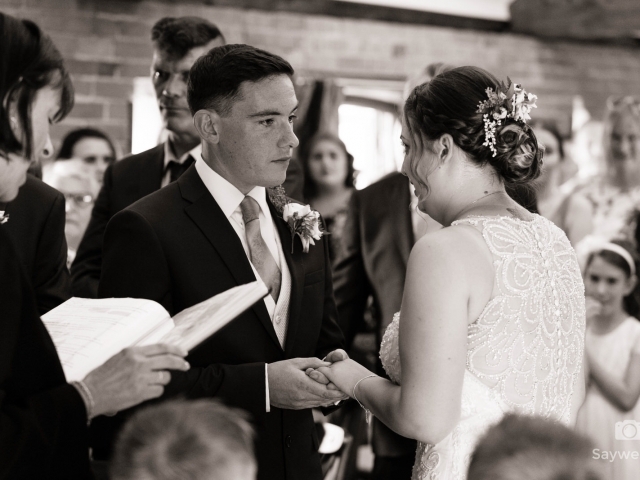 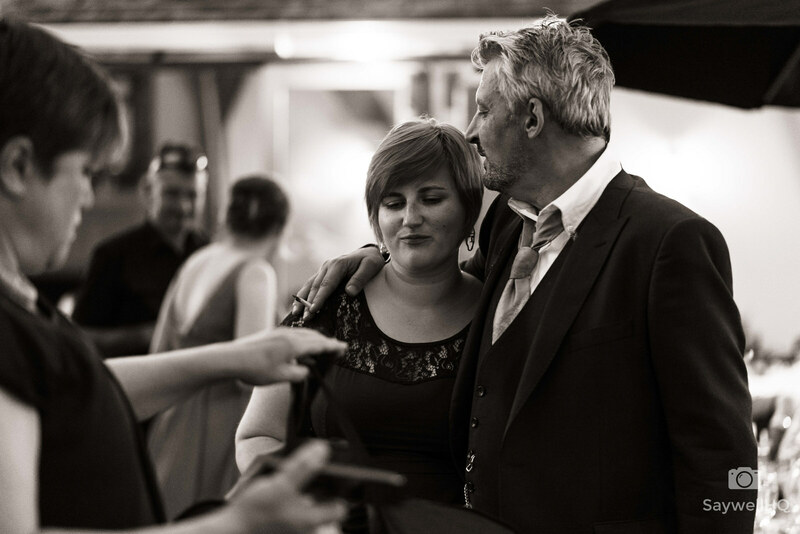 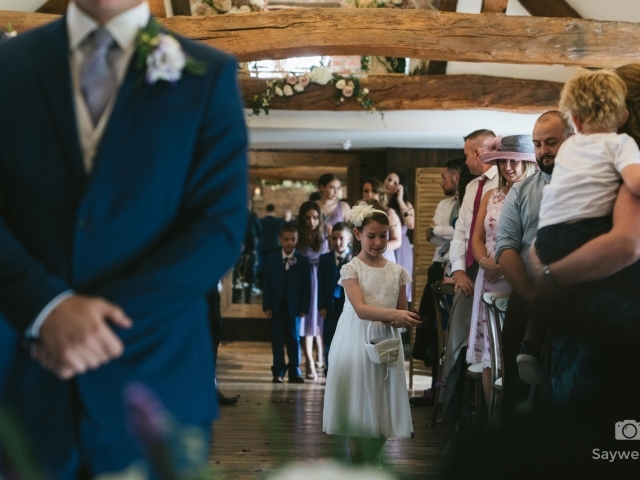 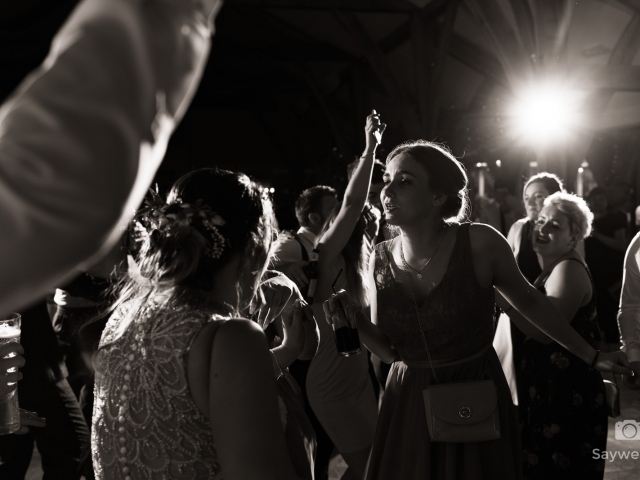 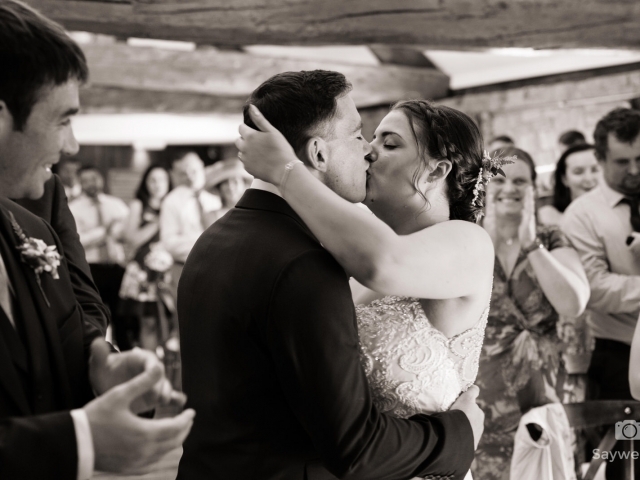 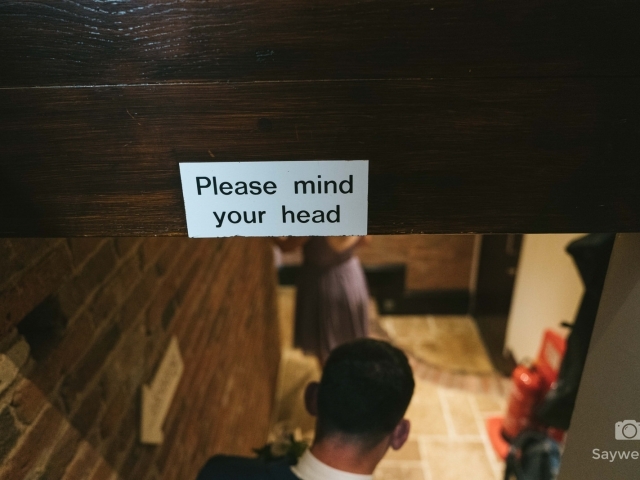 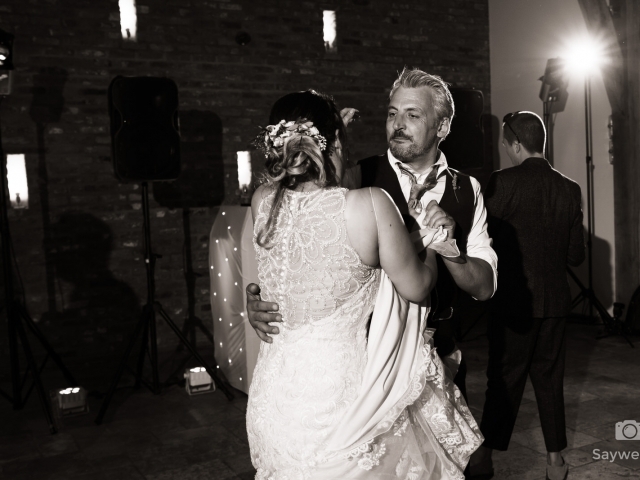 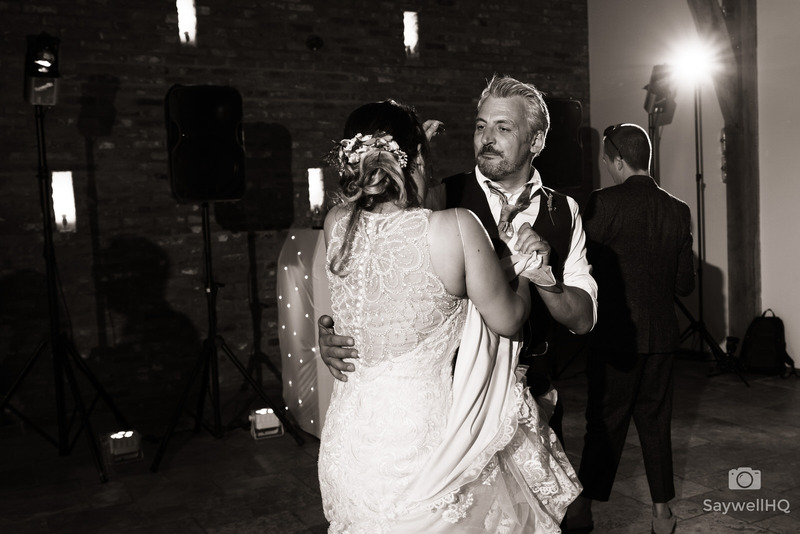 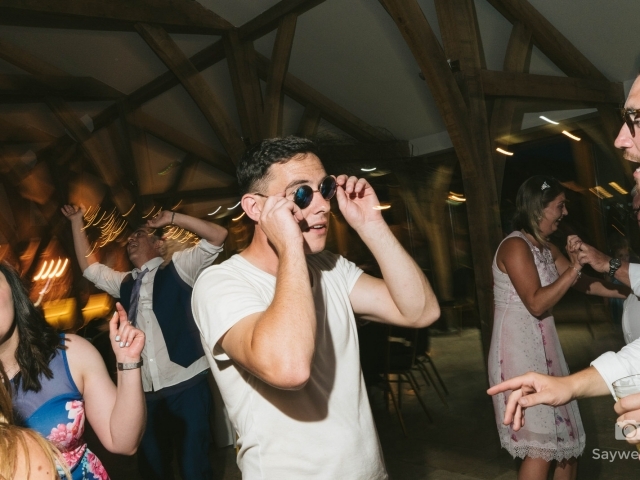 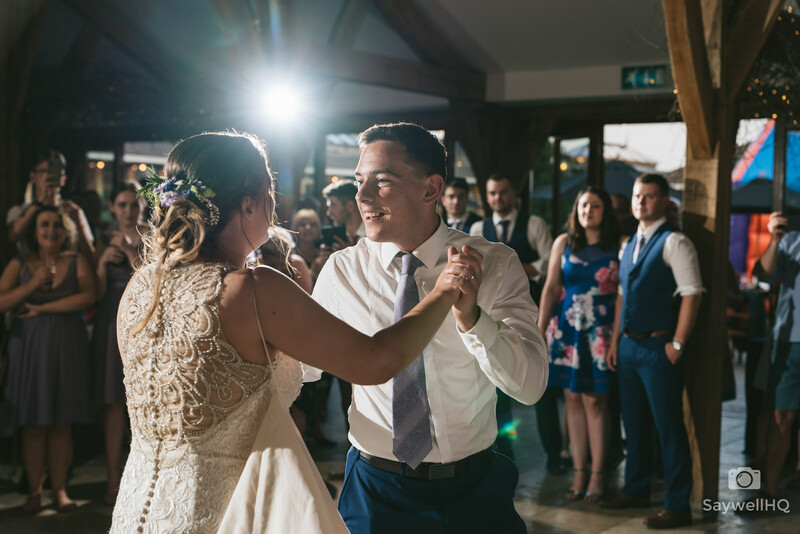 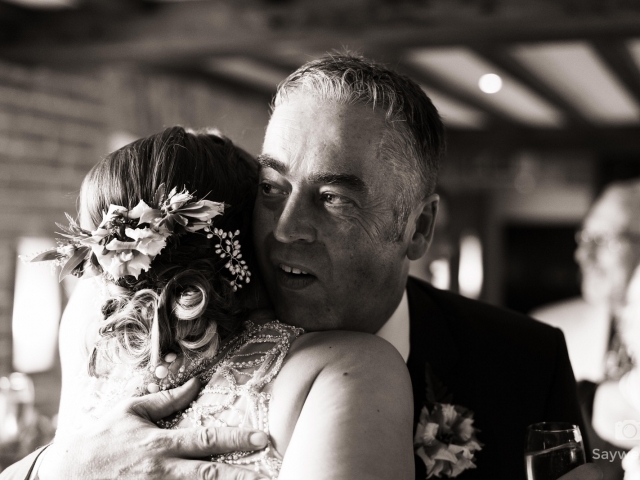 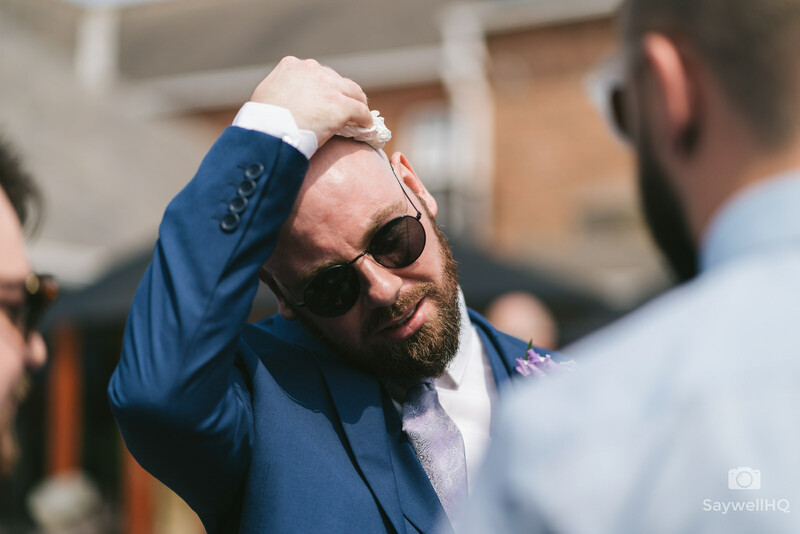 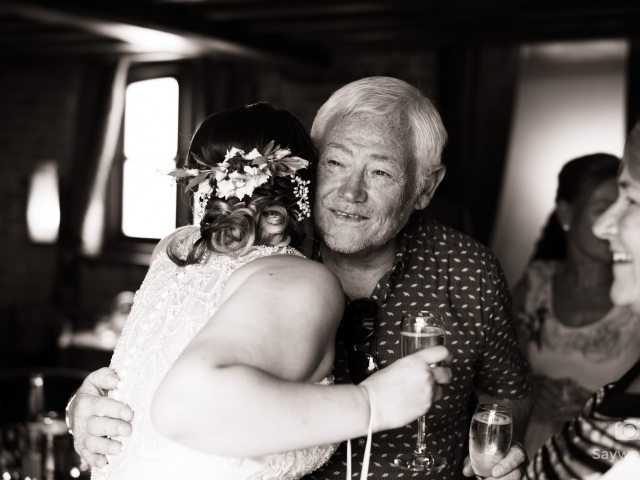 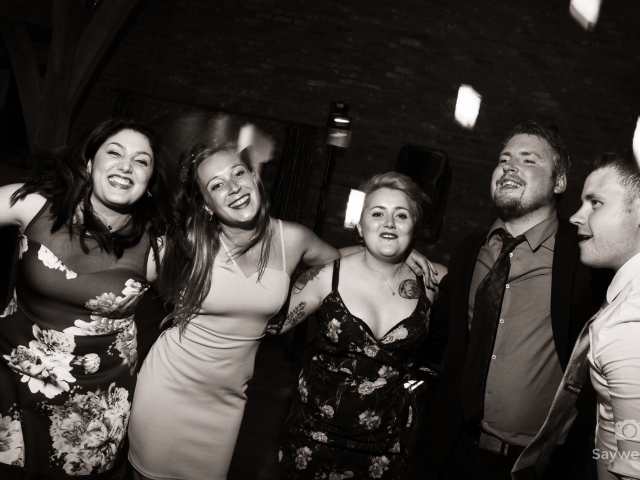 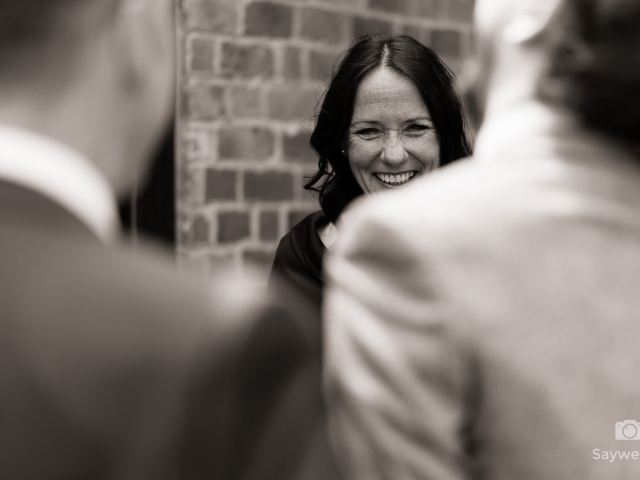 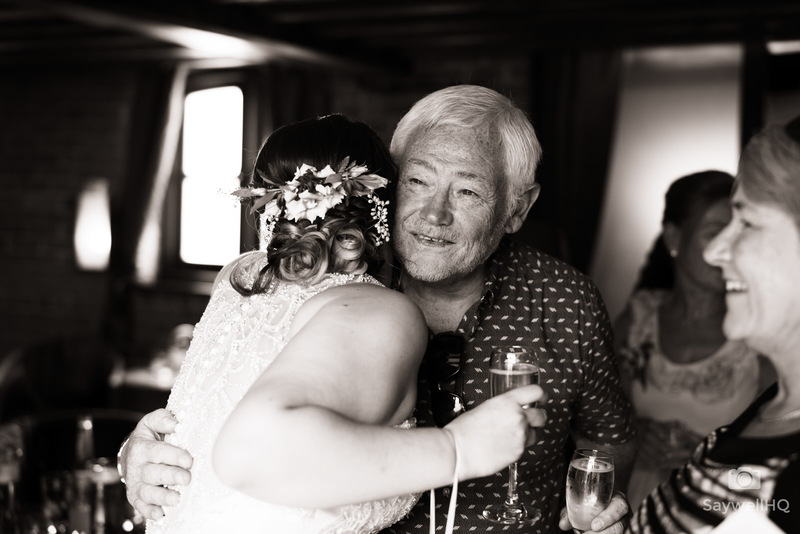 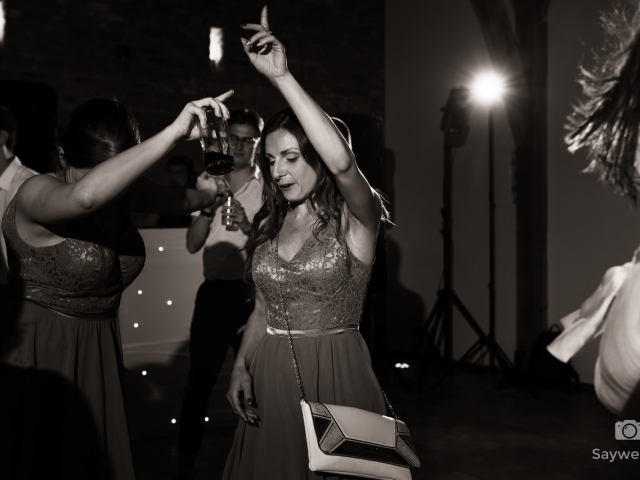 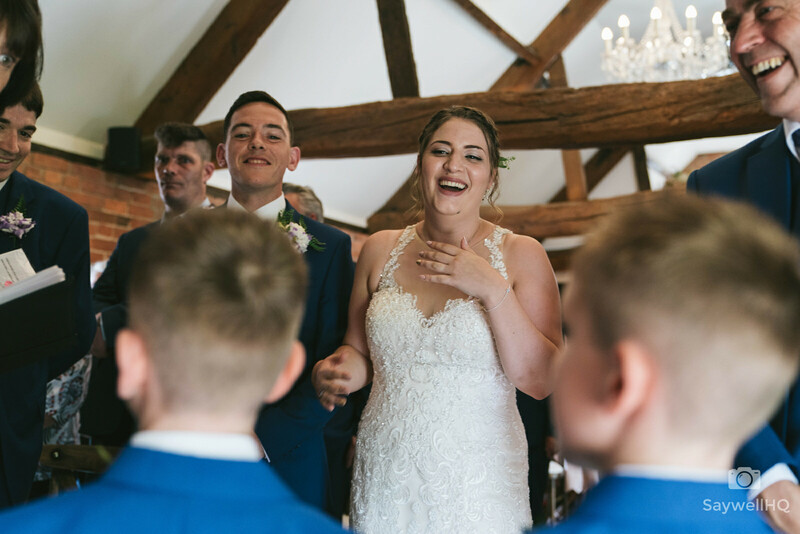 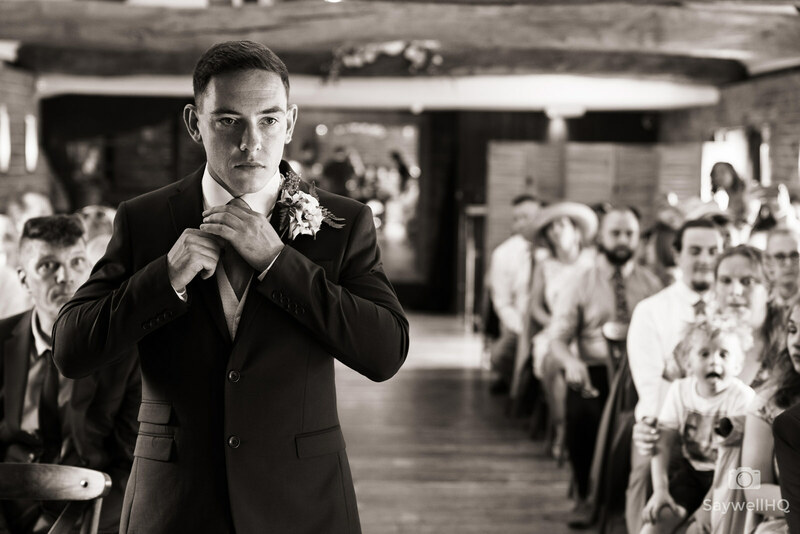 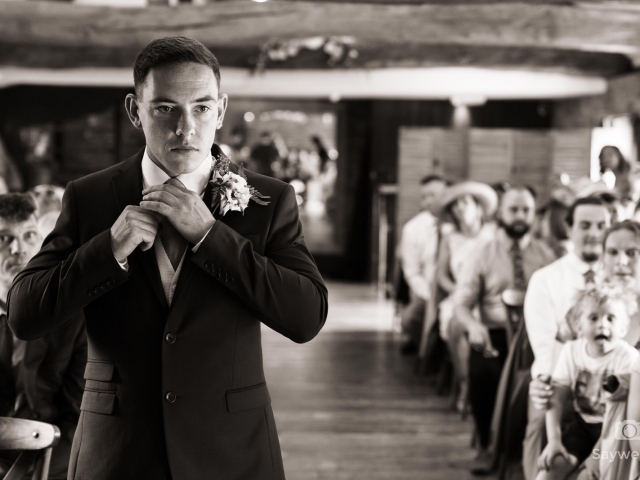 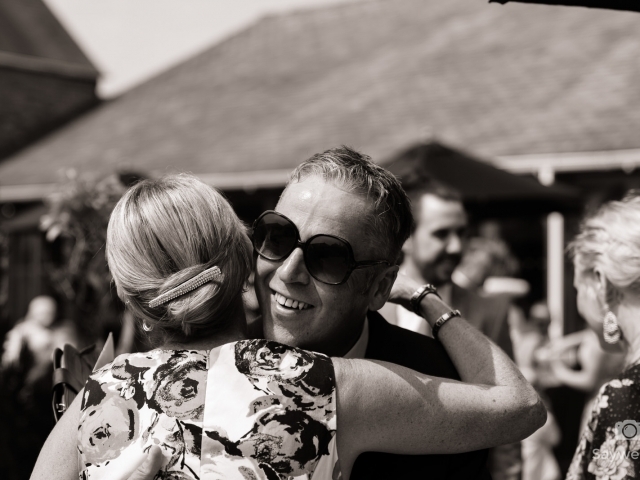 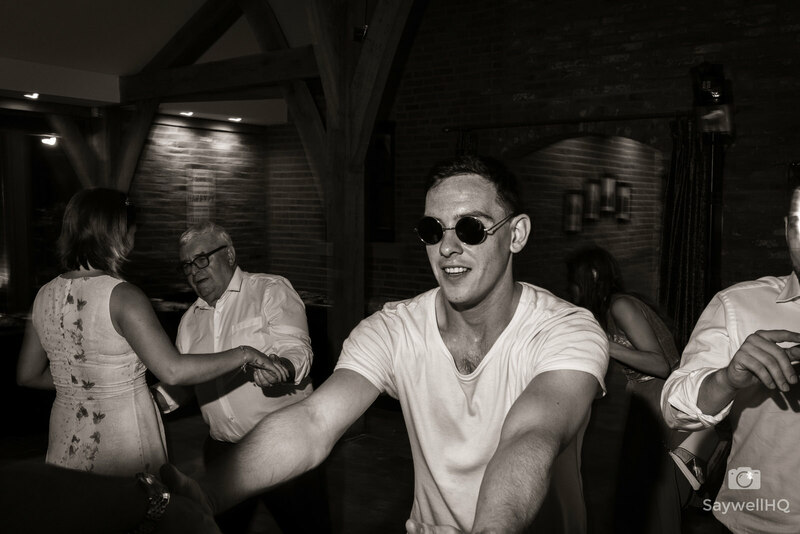 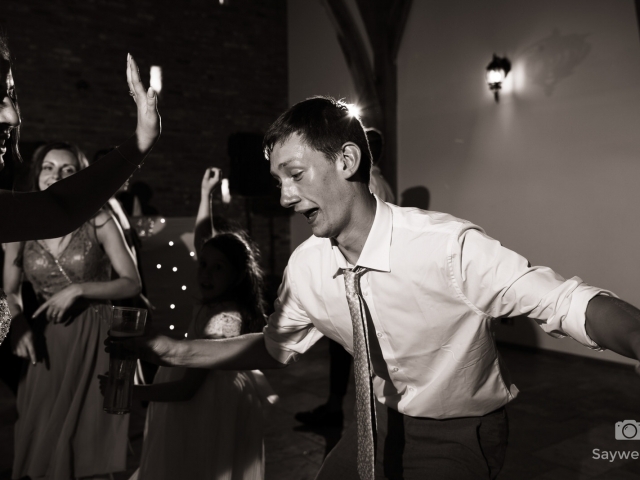 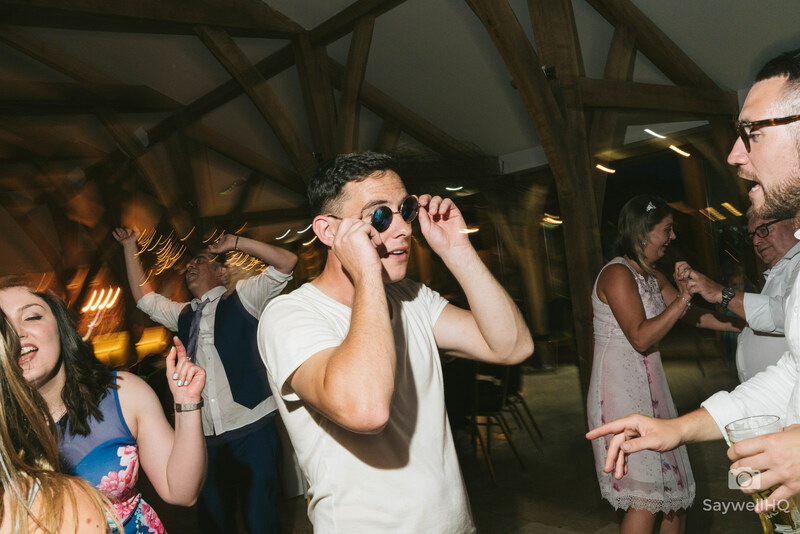 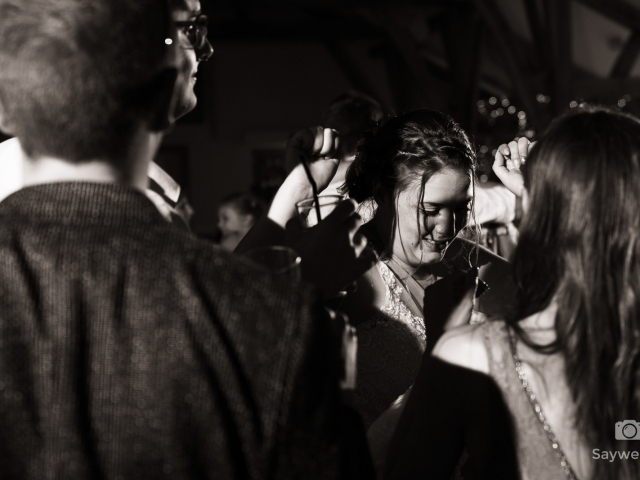 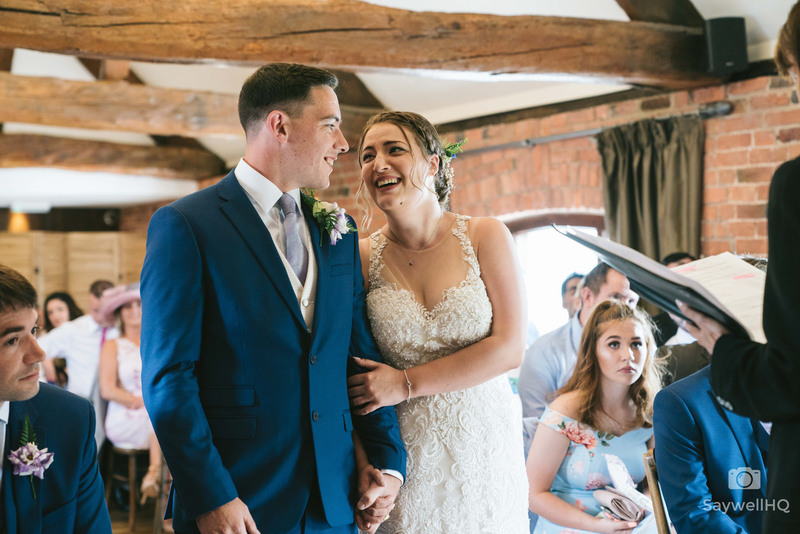 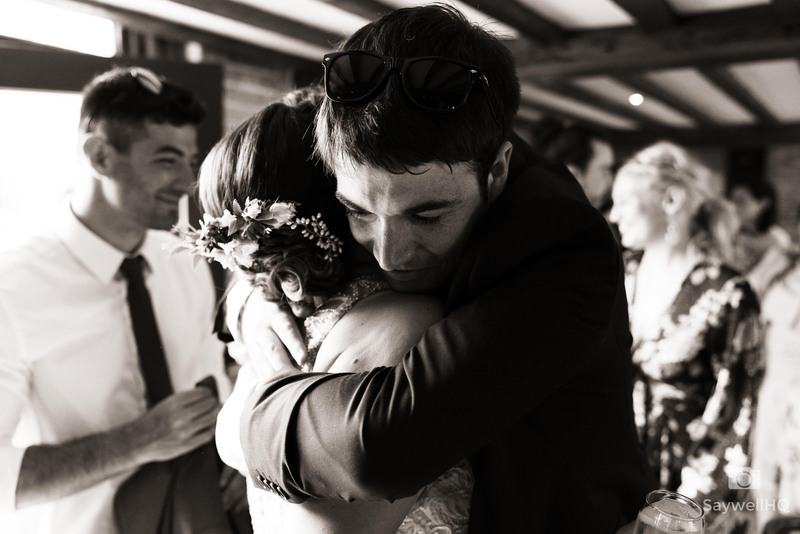 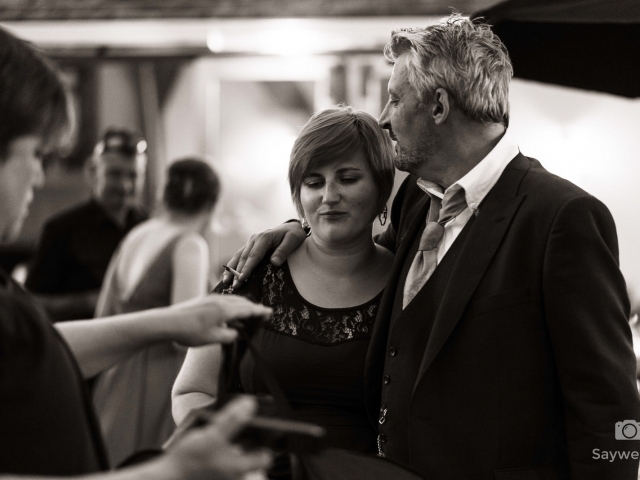 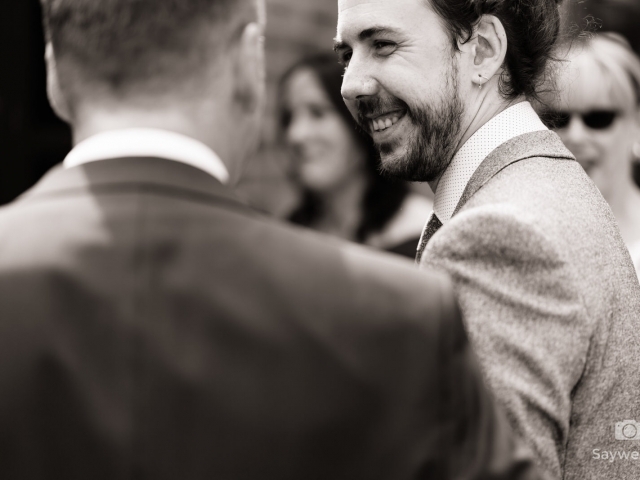 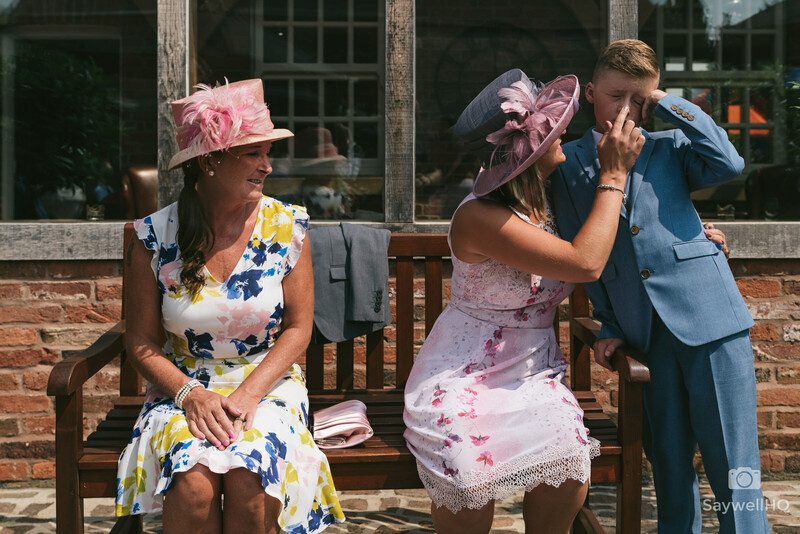 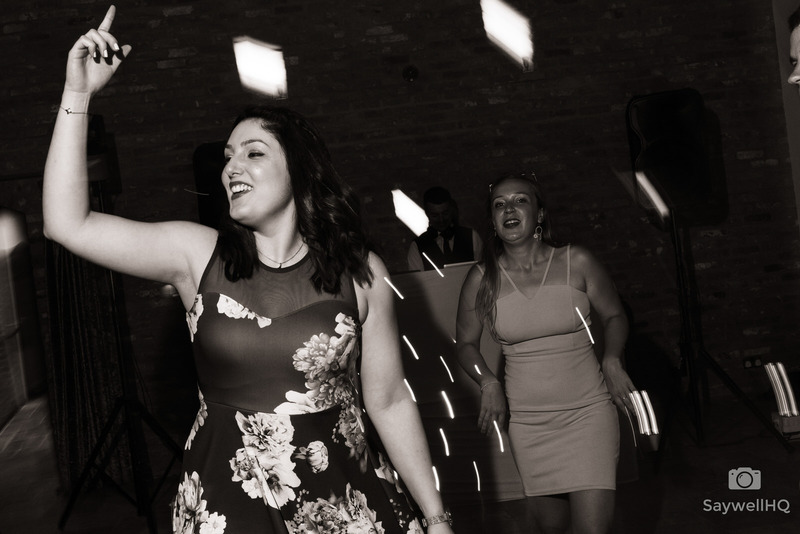 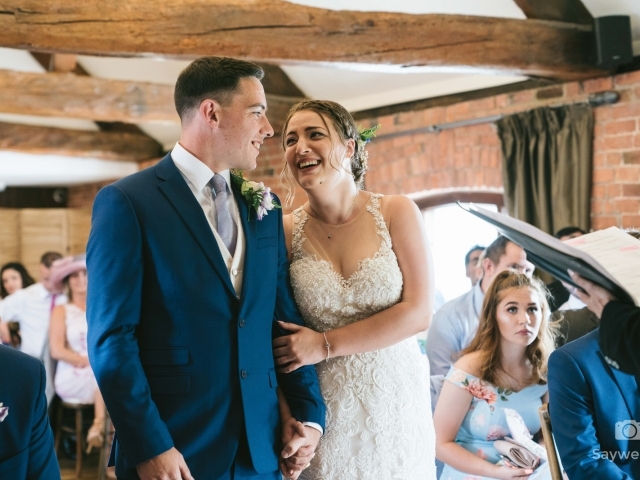 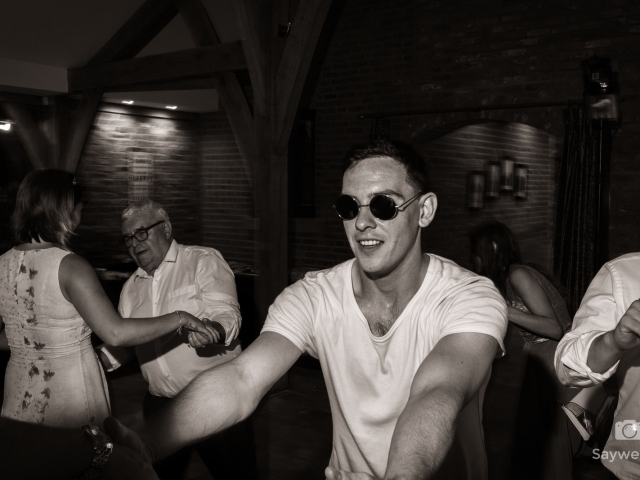 As always for a summer wedding, the disco is great fun; with the sun shining and people knocking back the drink everyone felt comfortable letting their hair down and partied good and proper during the disco. 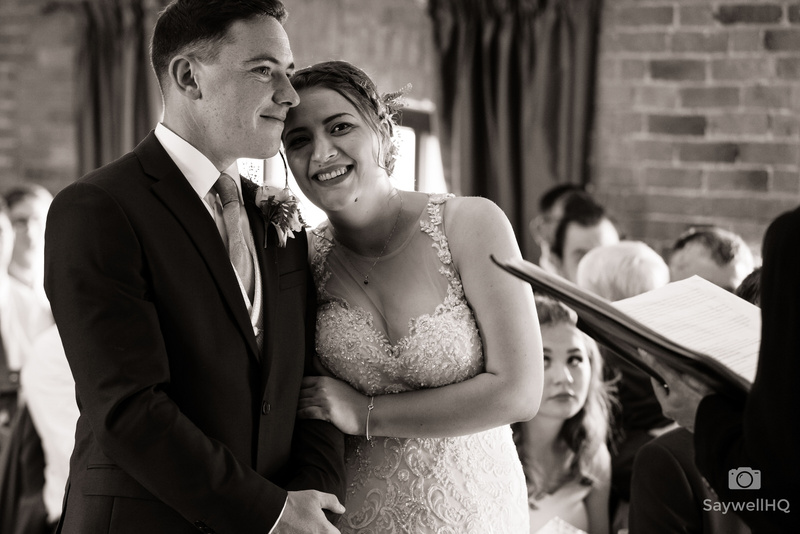 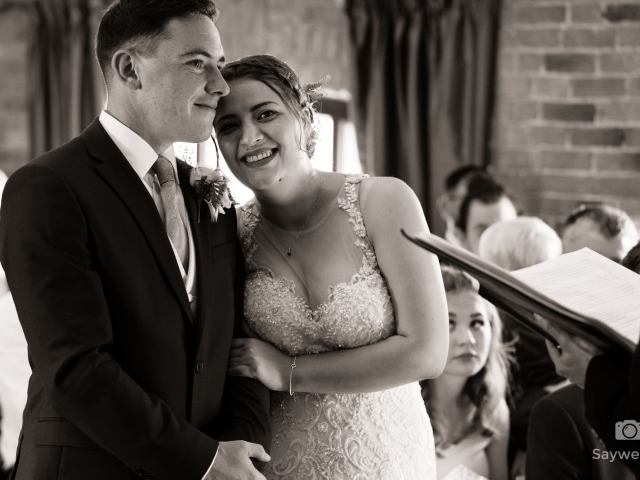 It was my first time photographing at Swancar and it really is a beautiful setting for a wedding, especially as you get exclusive use so no random’s walking around! 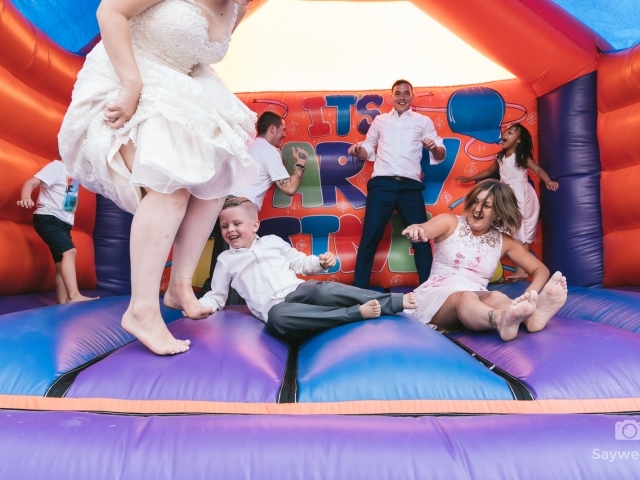 It was a really good fun wedding, lots of laughs, lots of stories and plenty of bouncing on that castle.